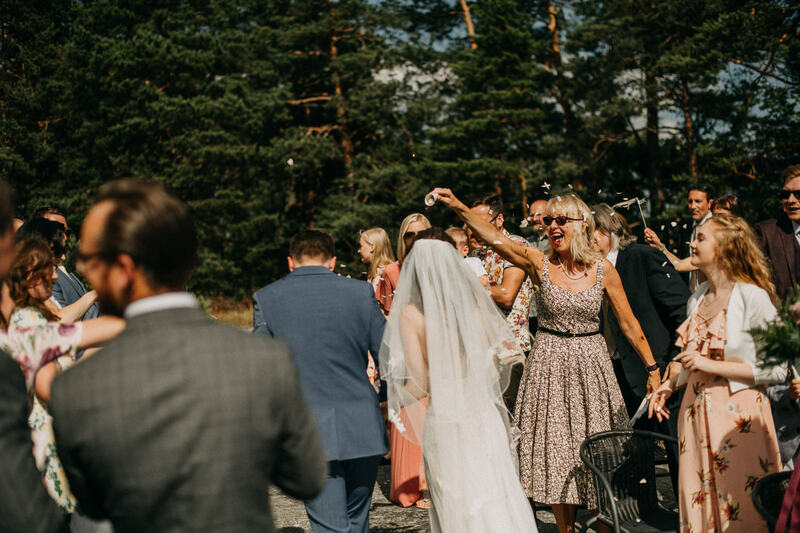 Sarah and Wills wedding is one that I will remember for a long time. 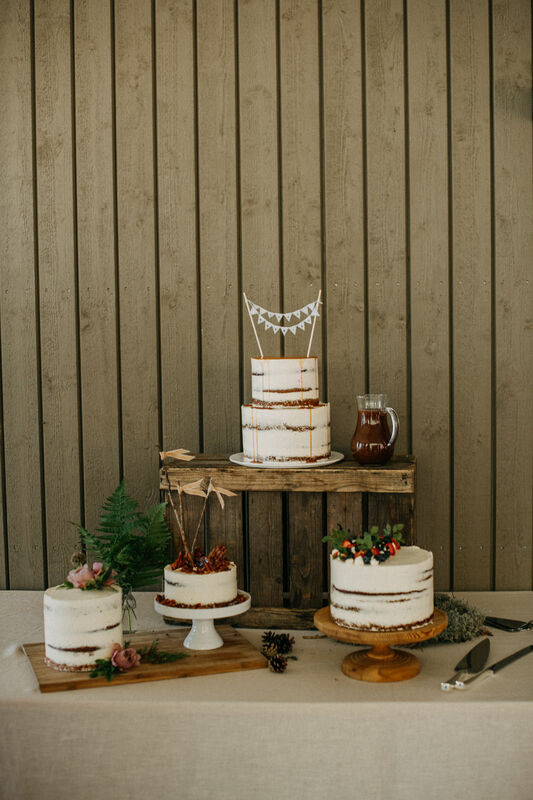 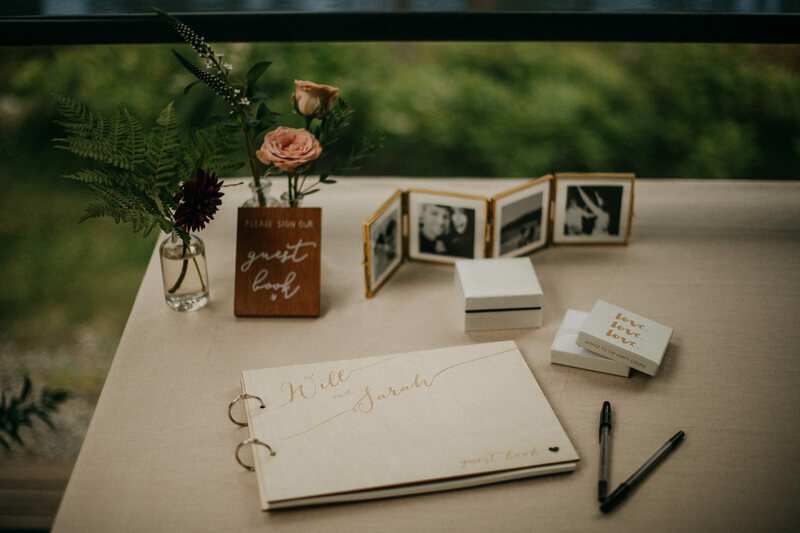 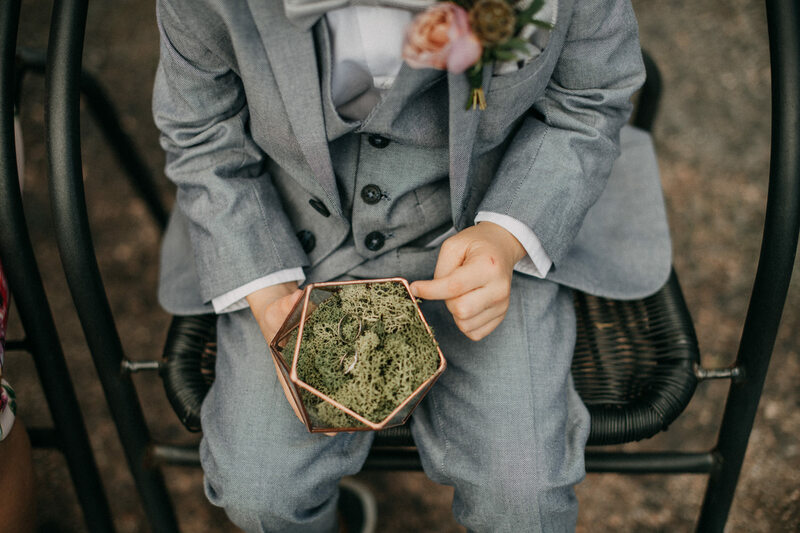 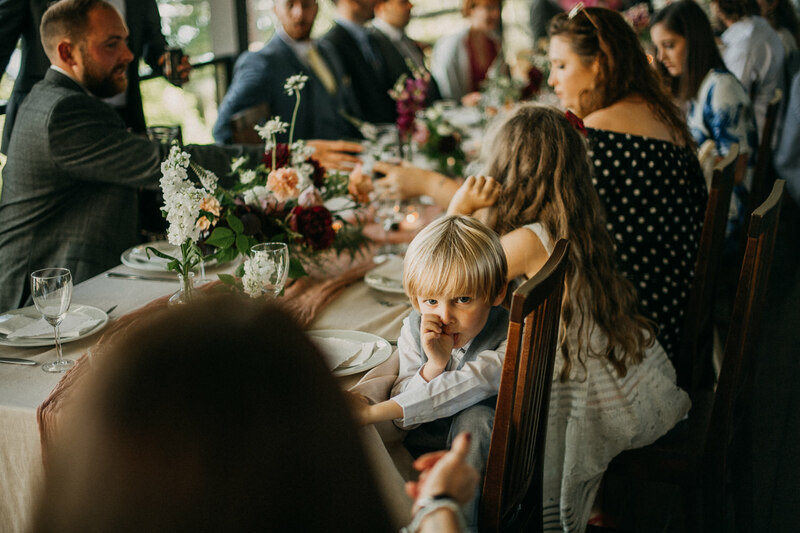 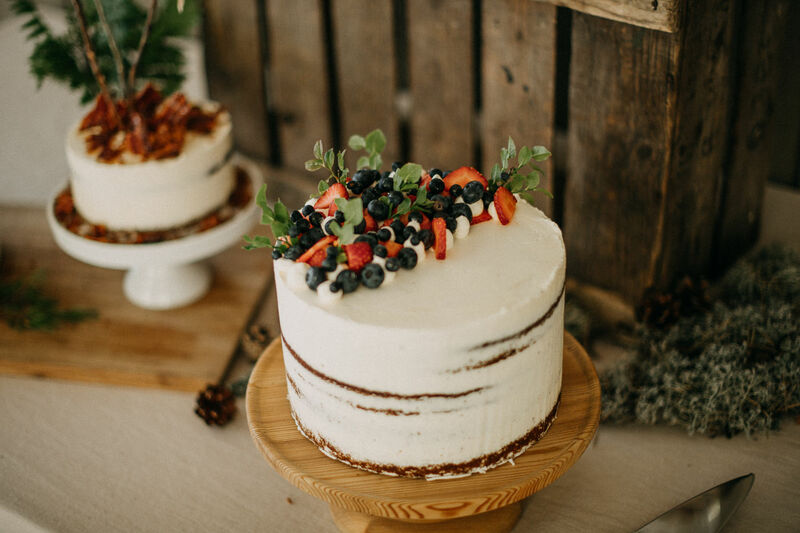 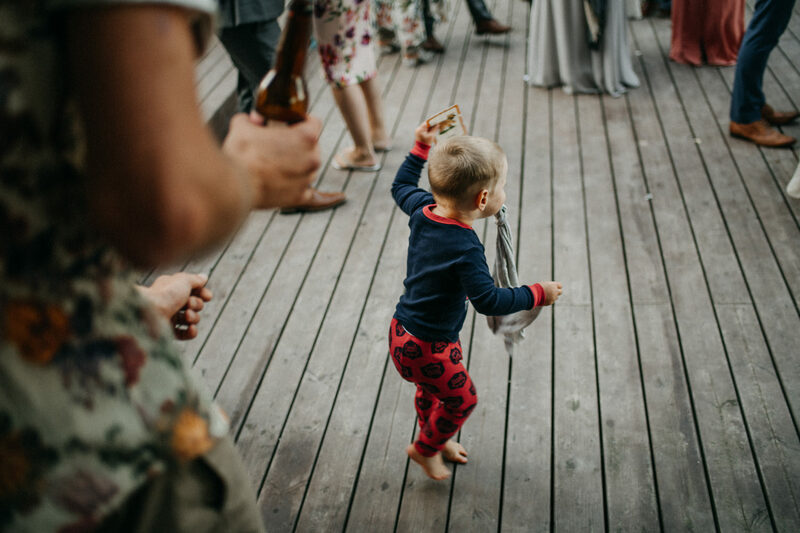 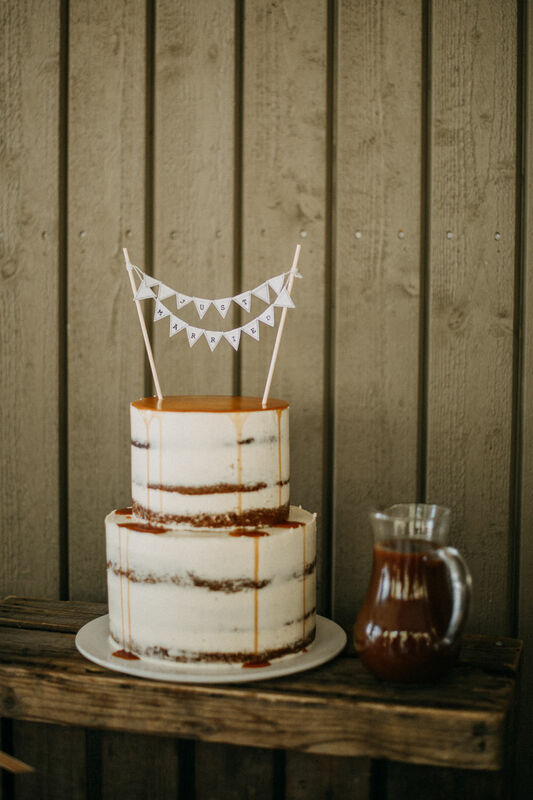 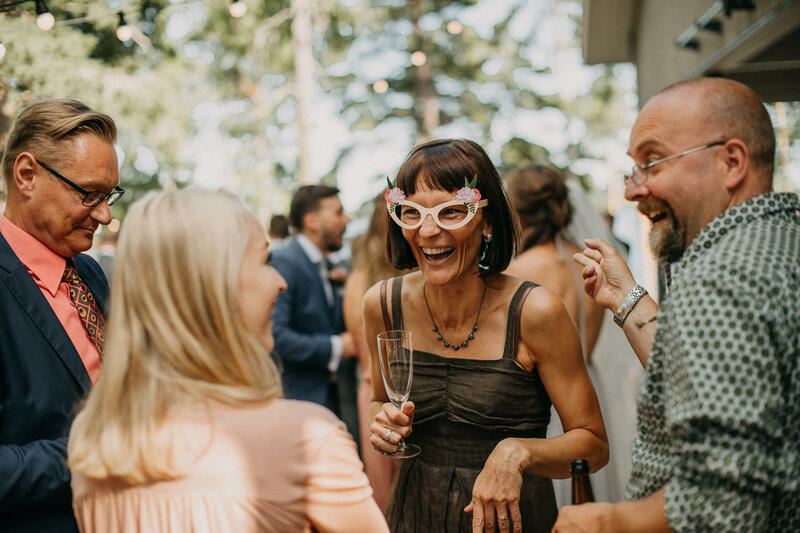 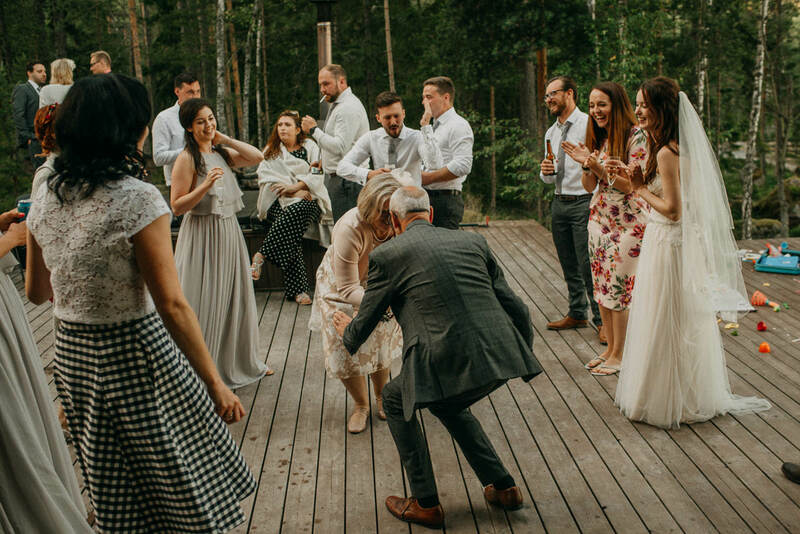 It wasn’t the usual big wedding with a jam-packed schedule, it was something completely different. 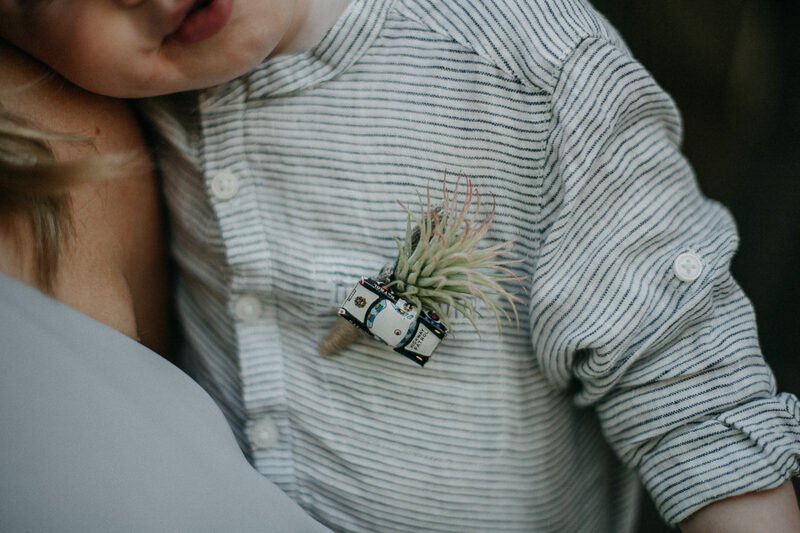 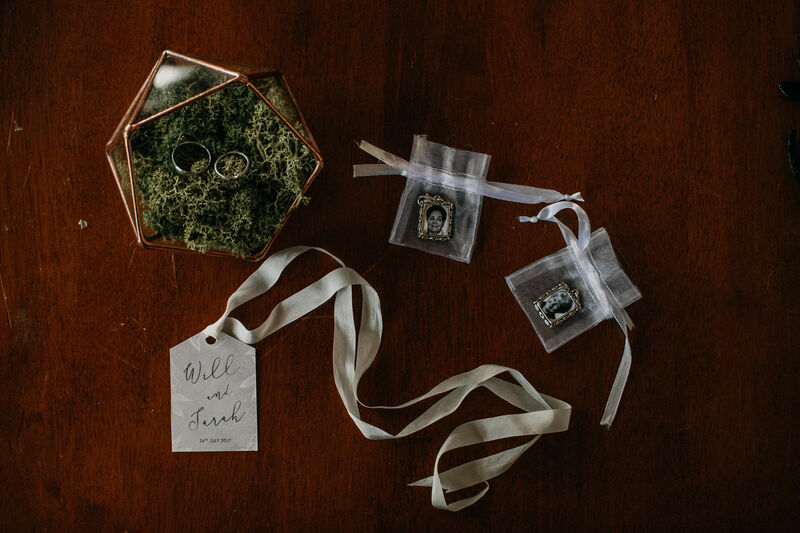 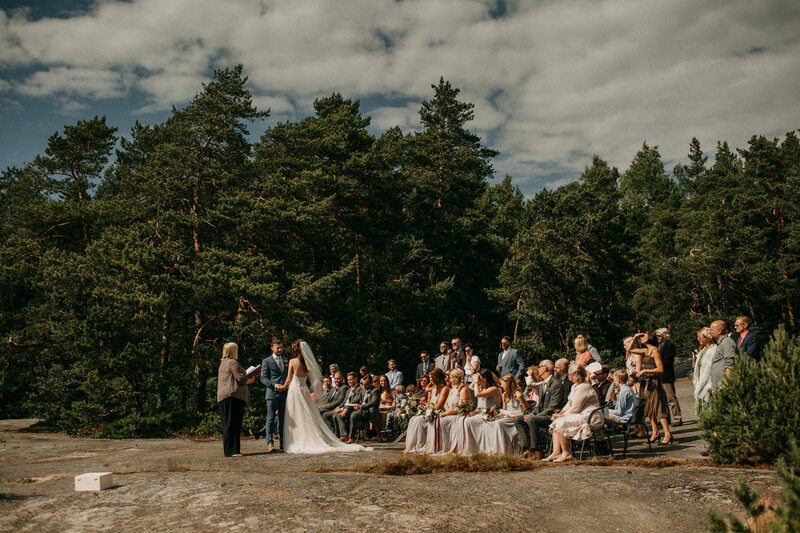 They got married on a beautiful day in July, far away from the hustle and bustle. 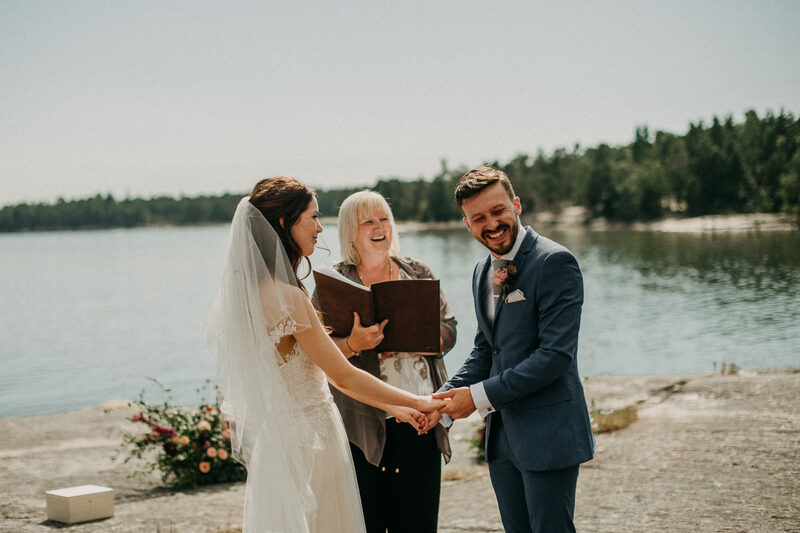 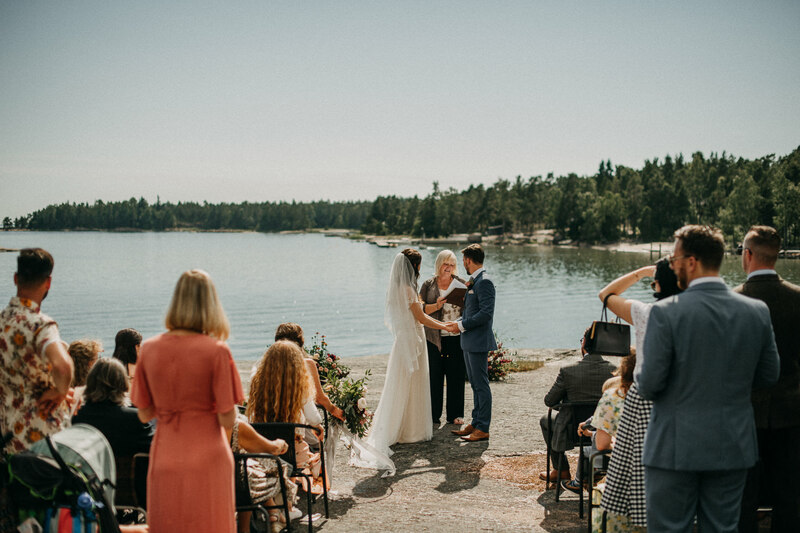 Far away is the right word- as they had come all the way from England to get married in the Finnish Archipelago. 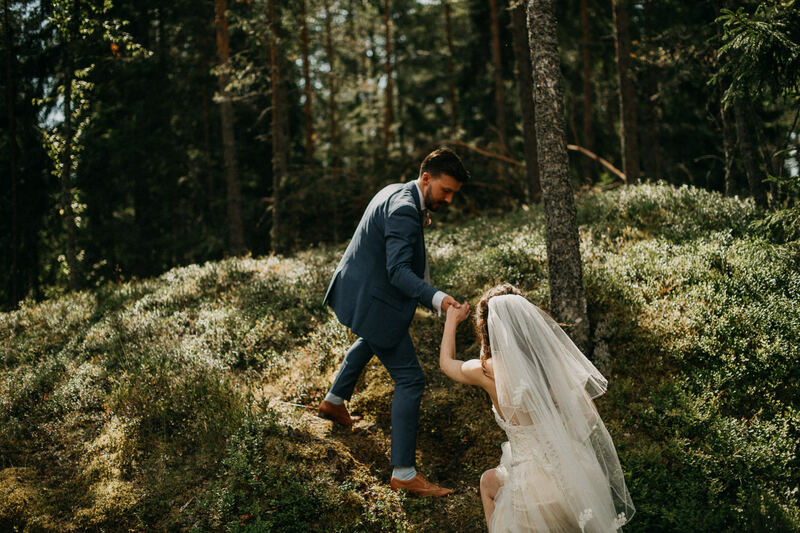 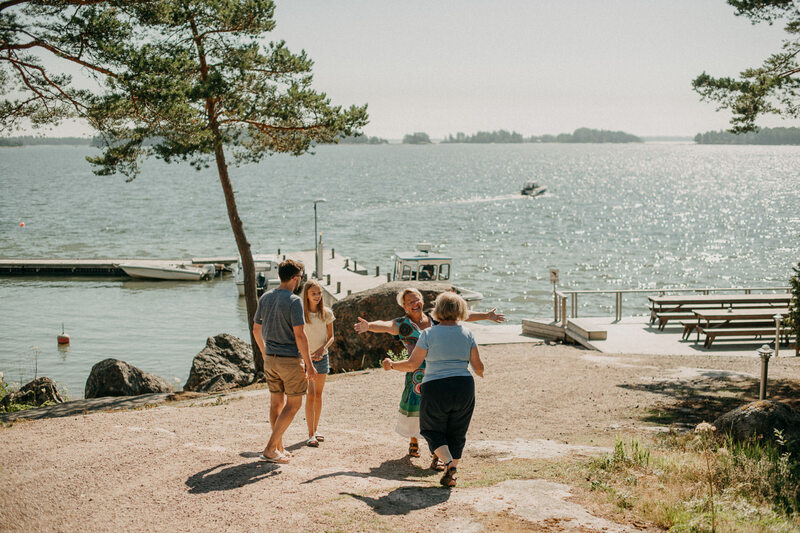 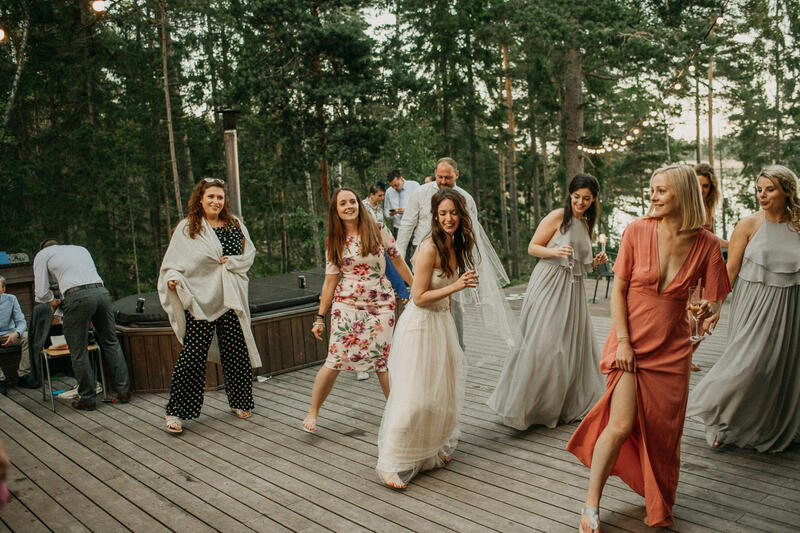 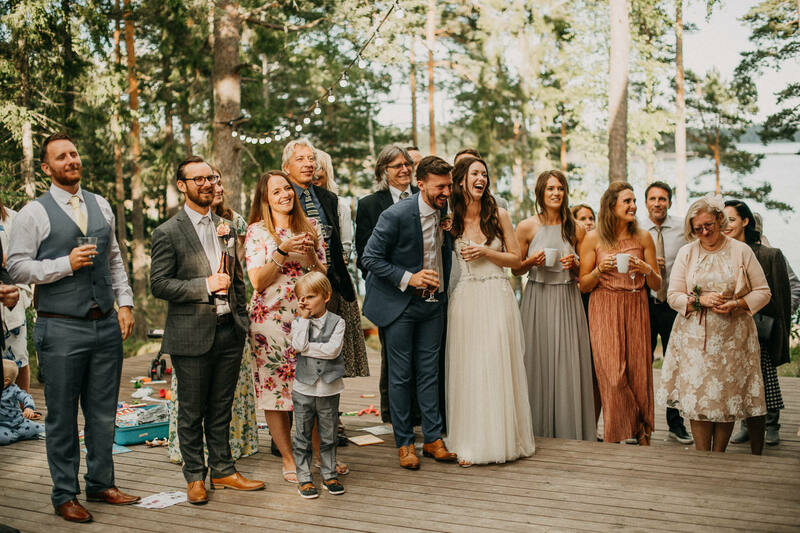 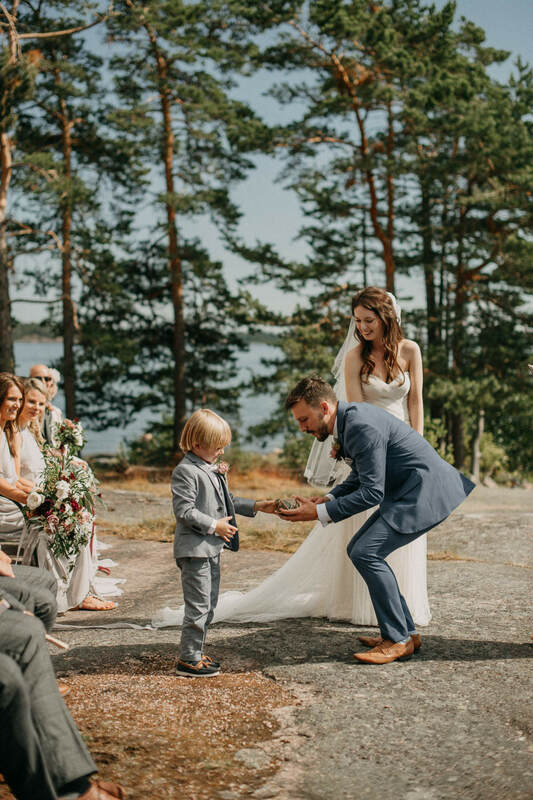 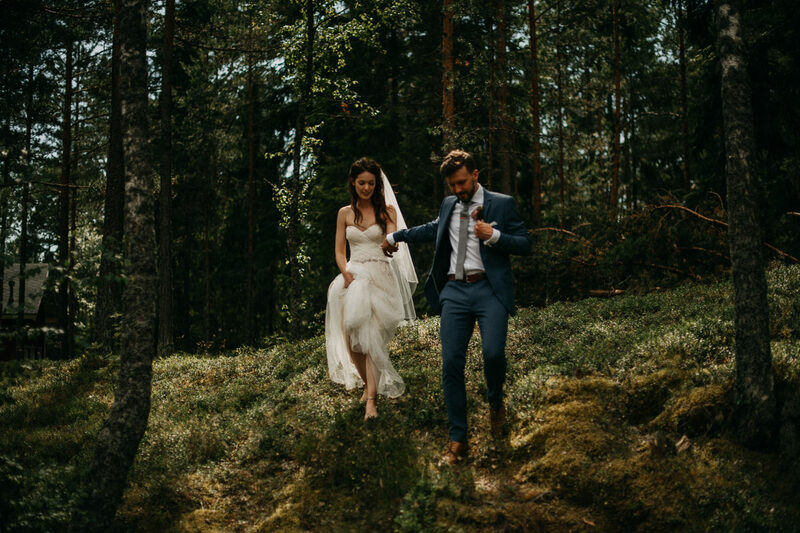 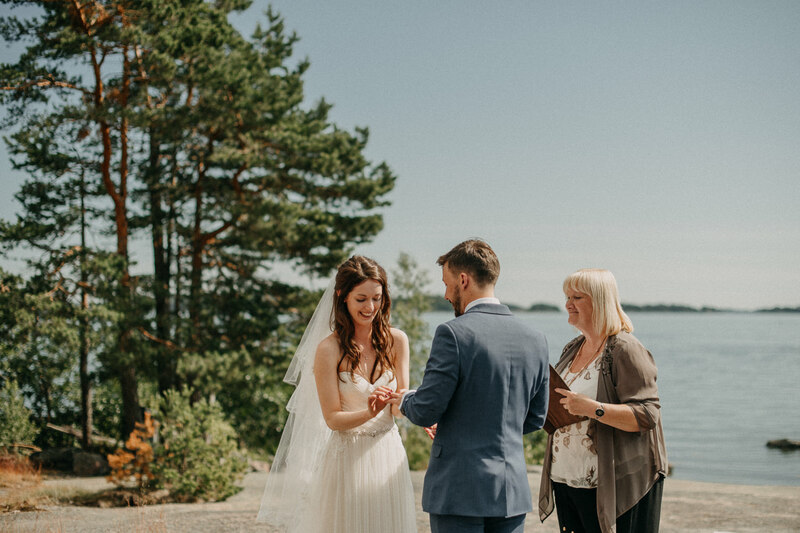 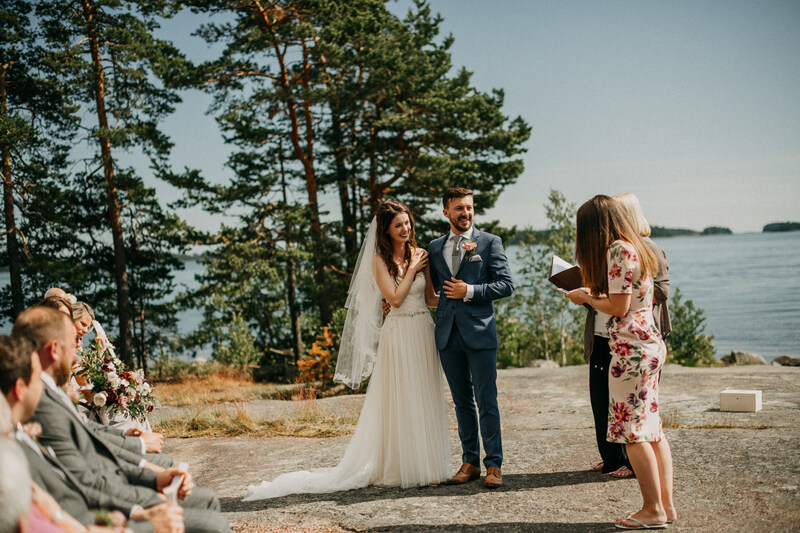 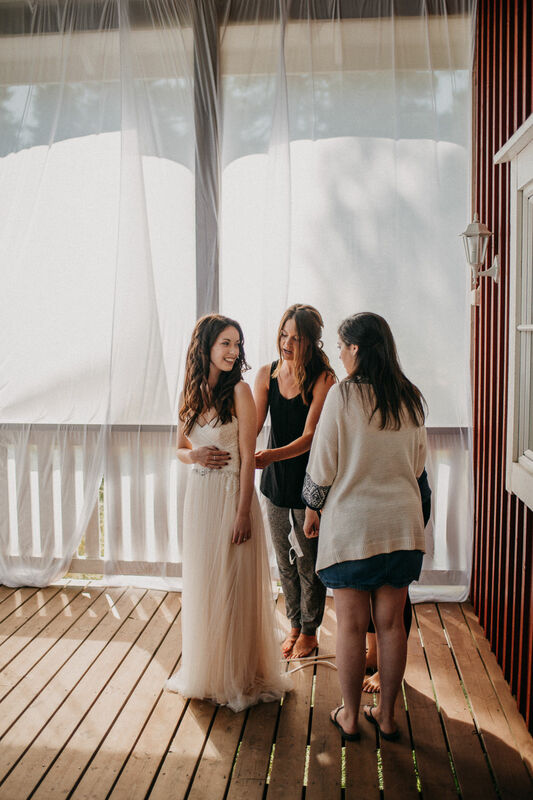 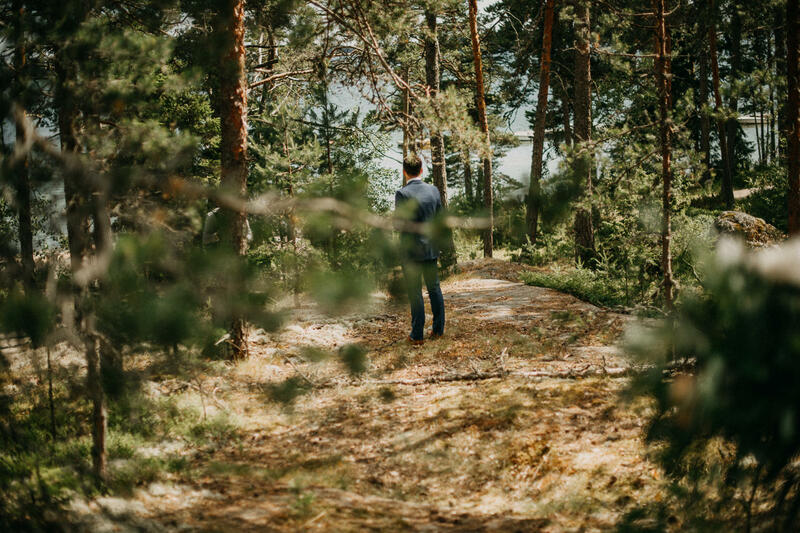 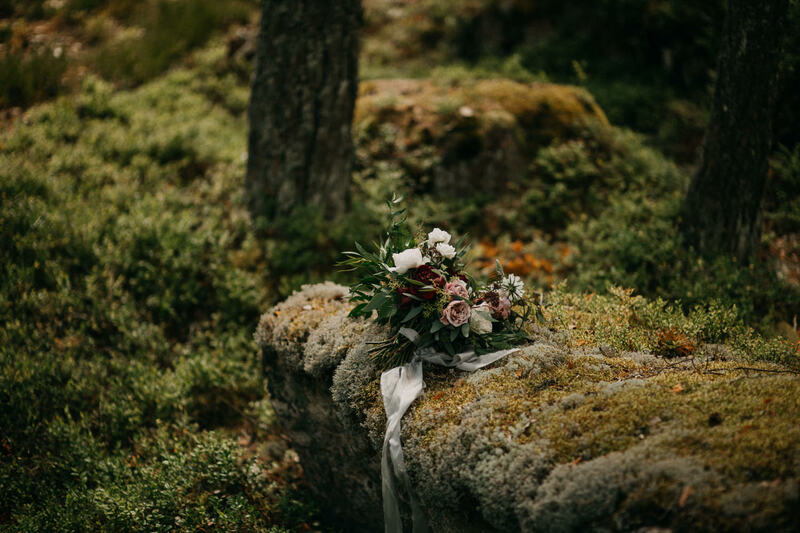 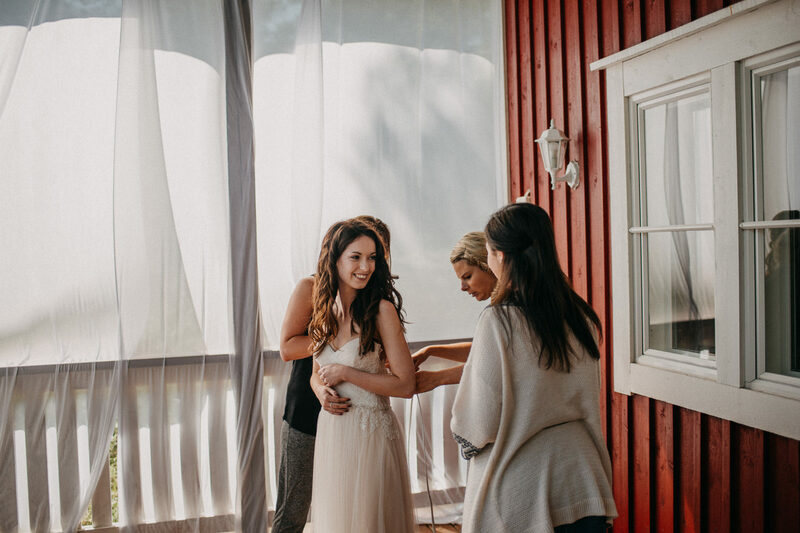 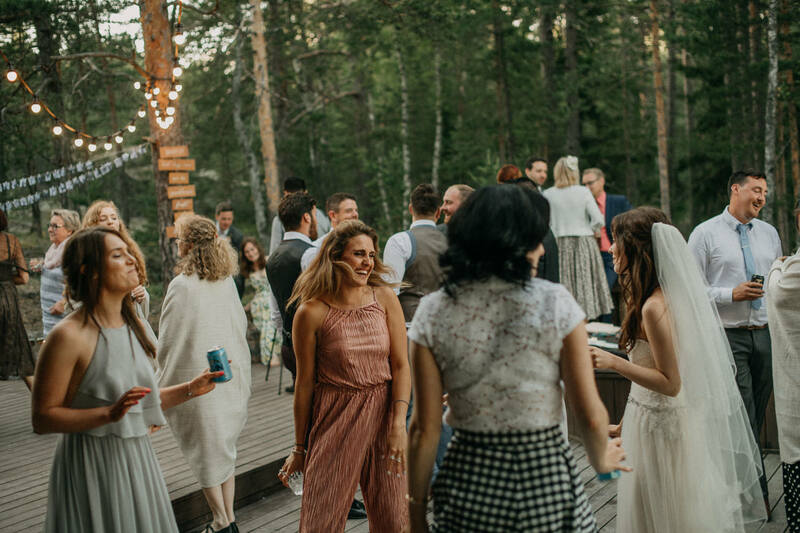 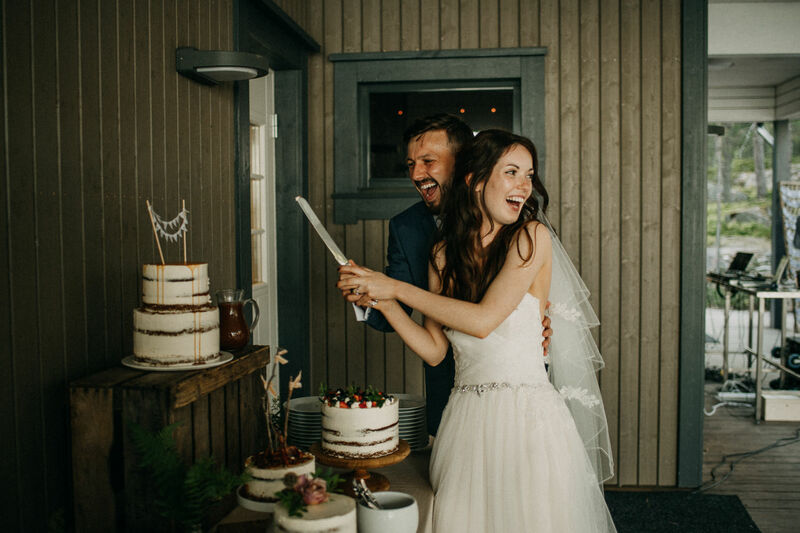 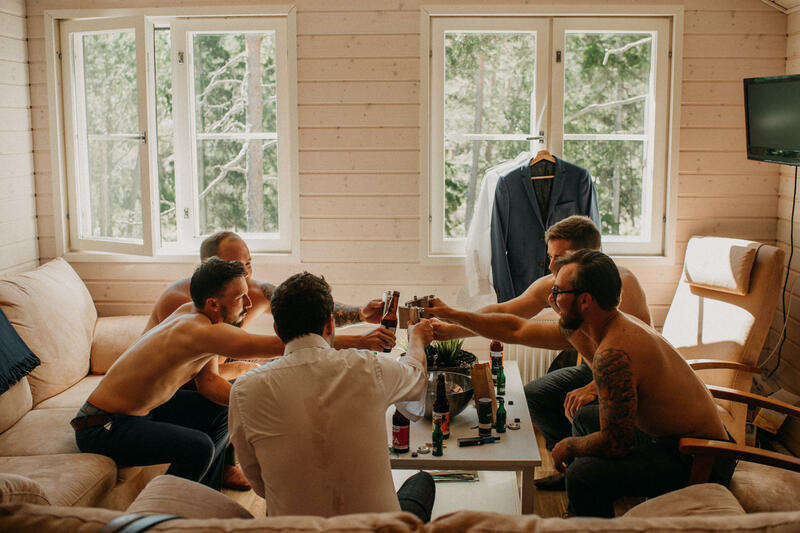 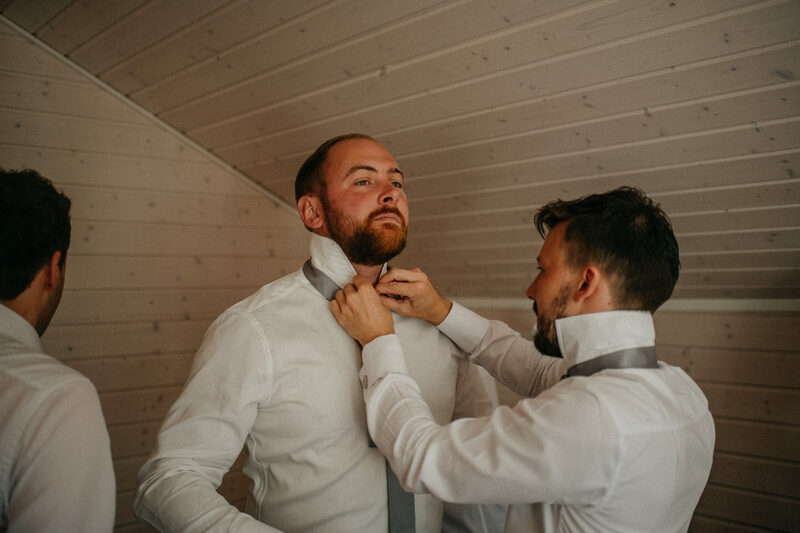 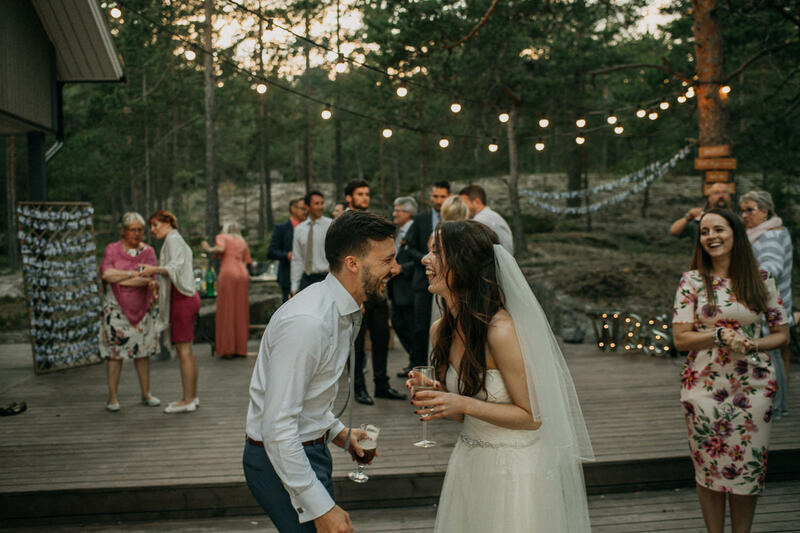 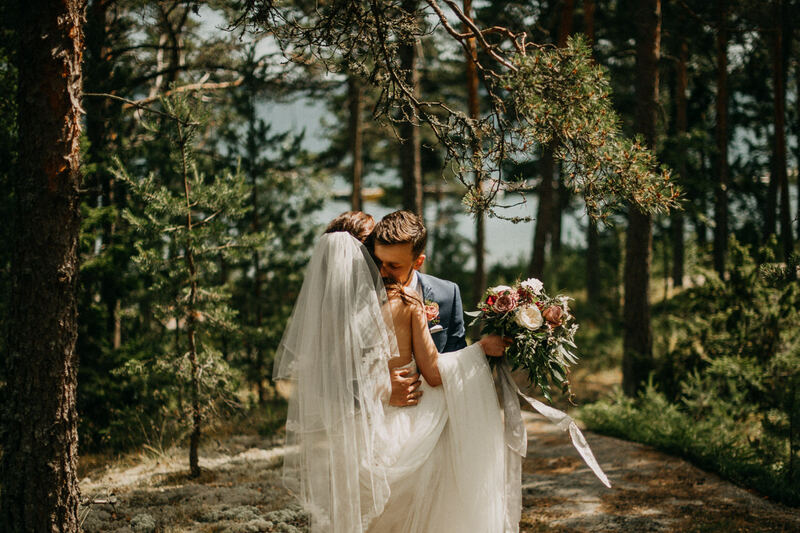 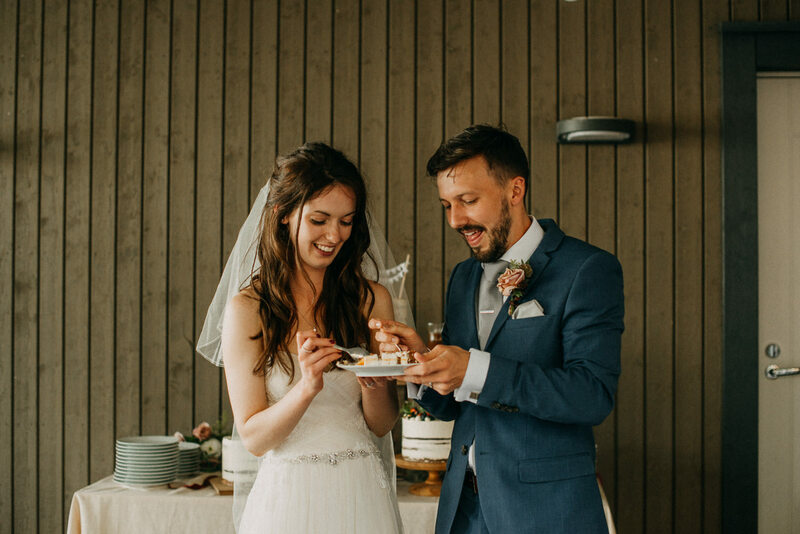 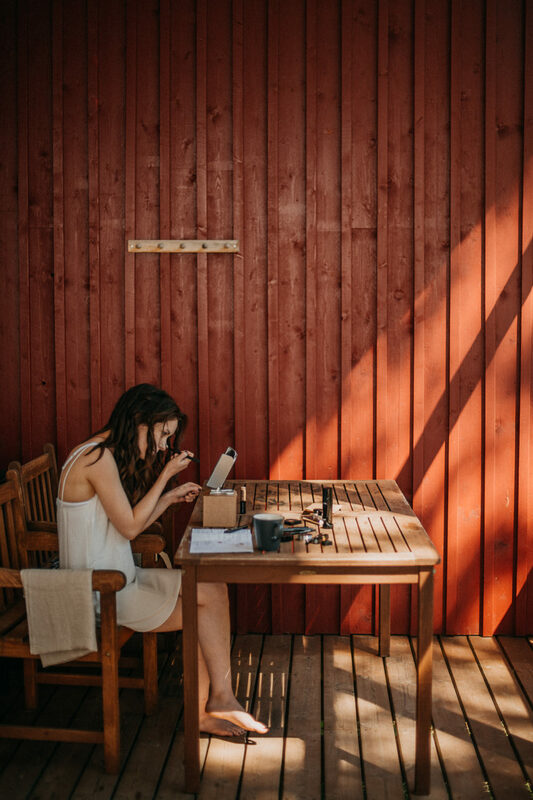 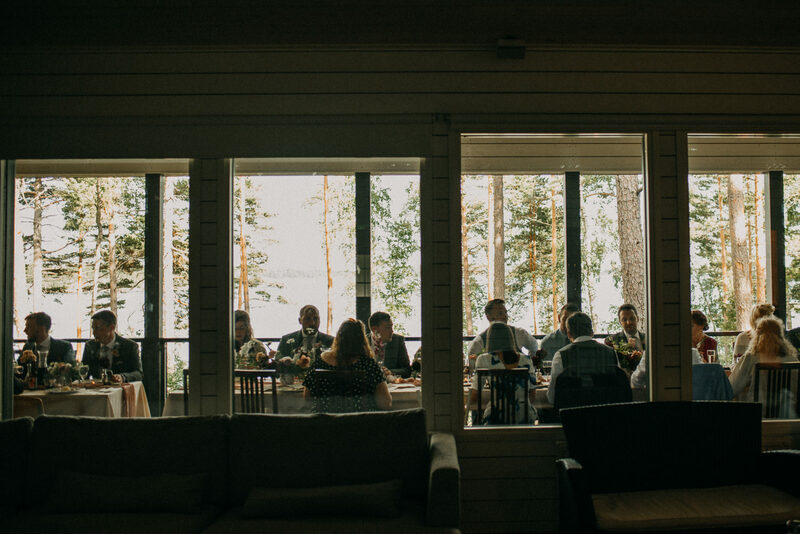 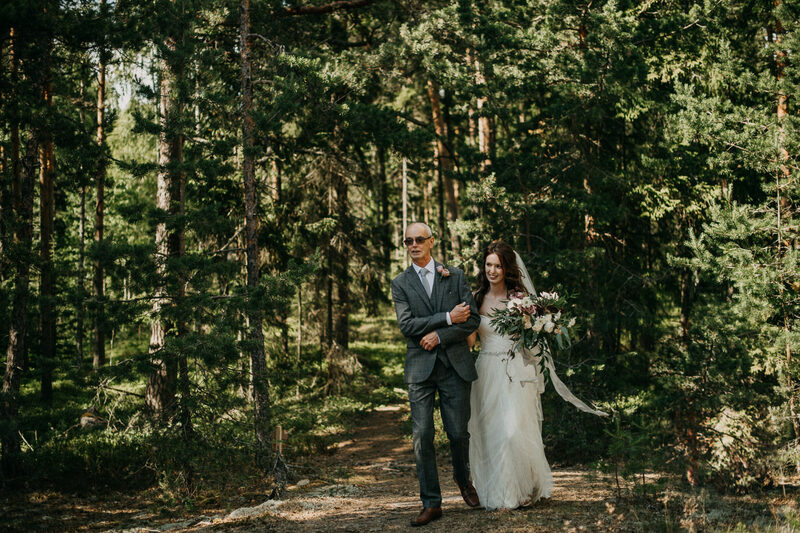 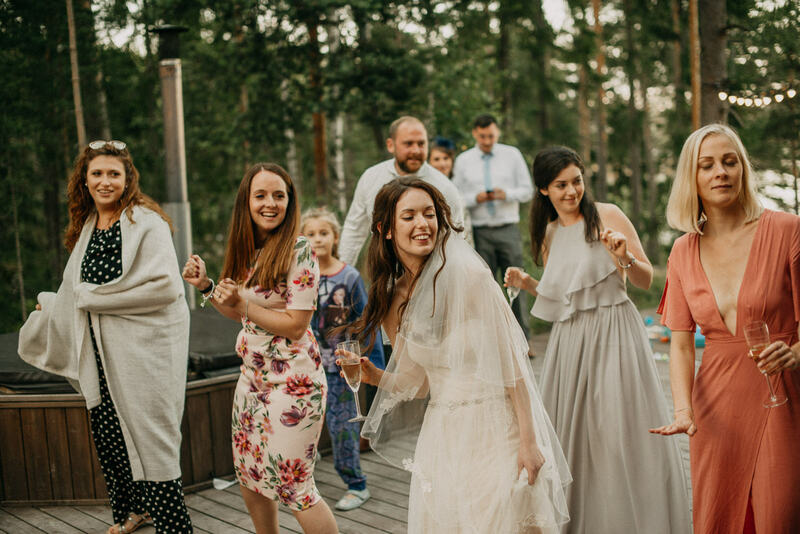 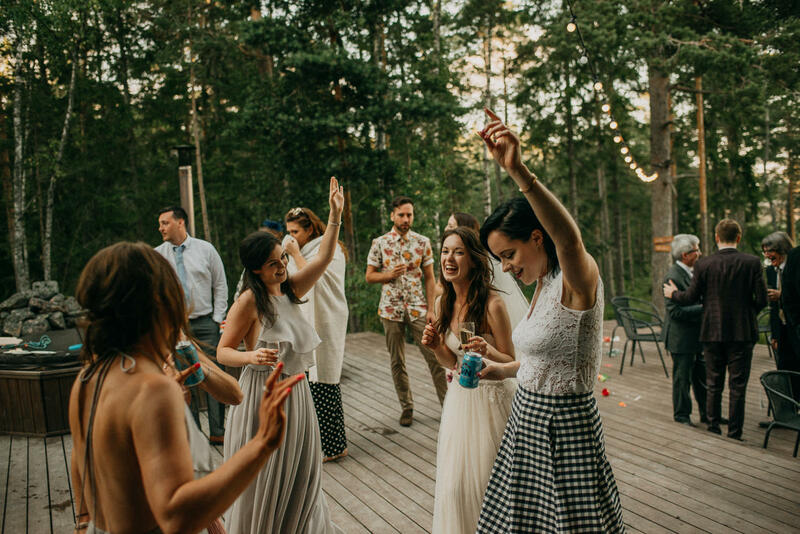 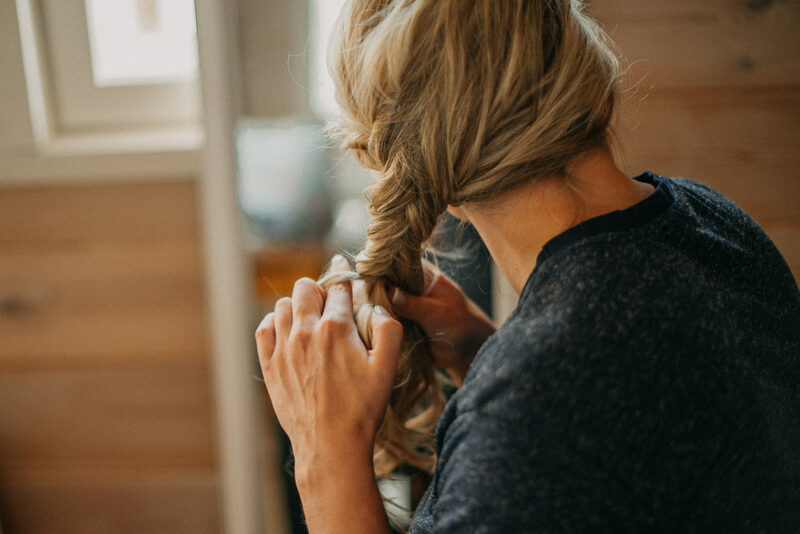 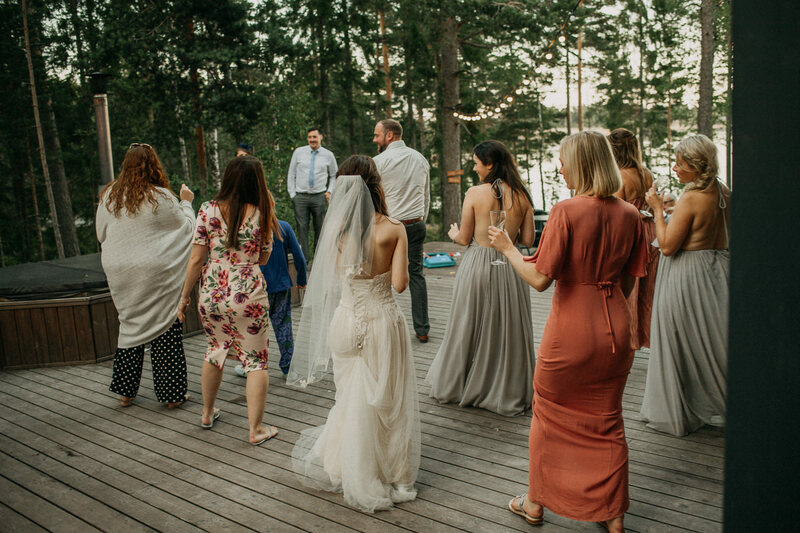 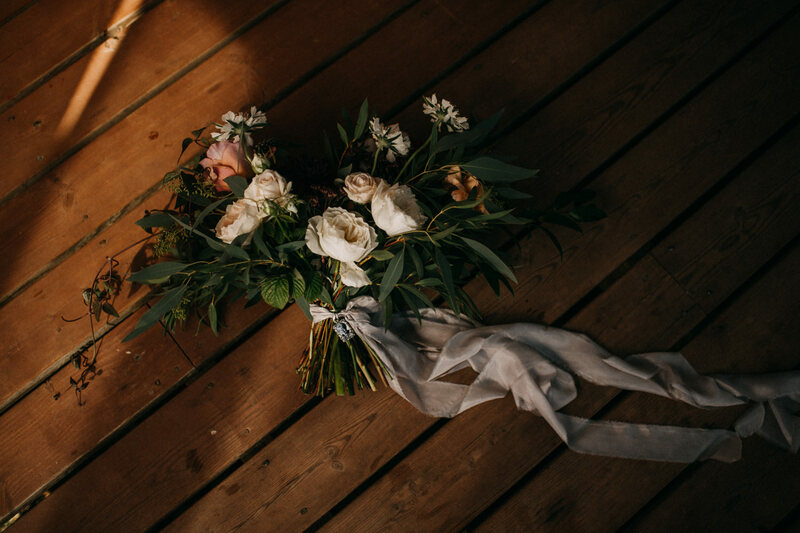 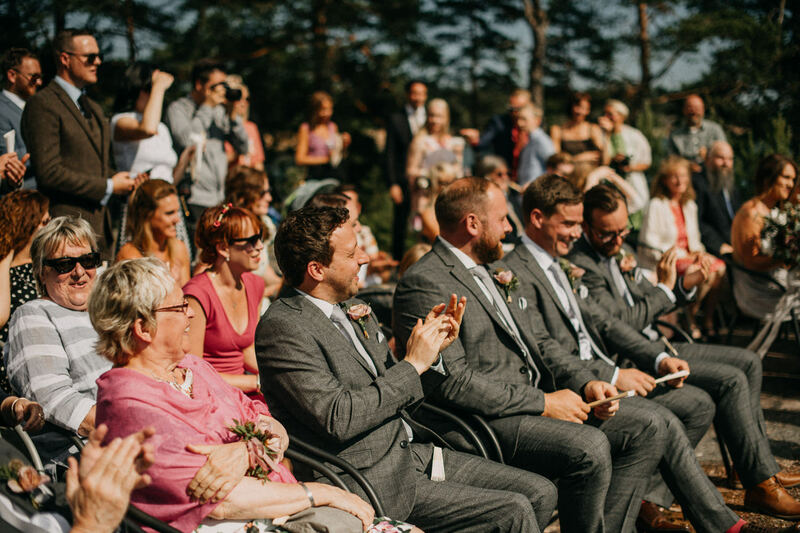 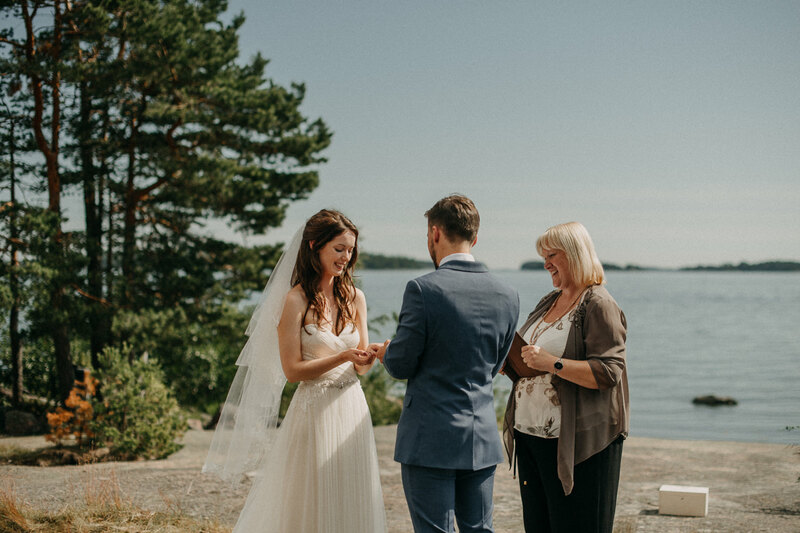 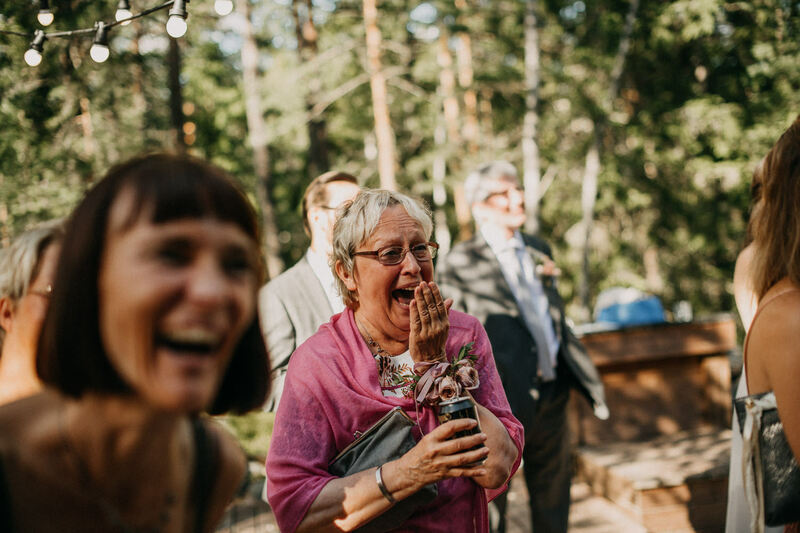 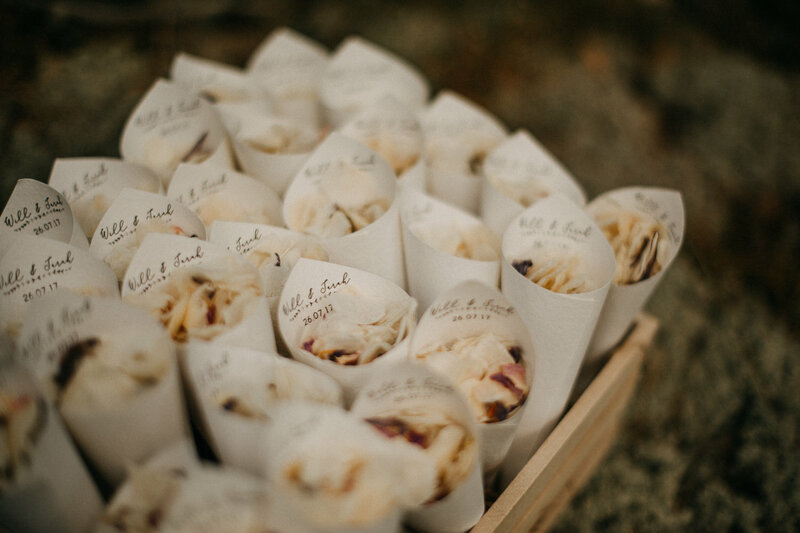 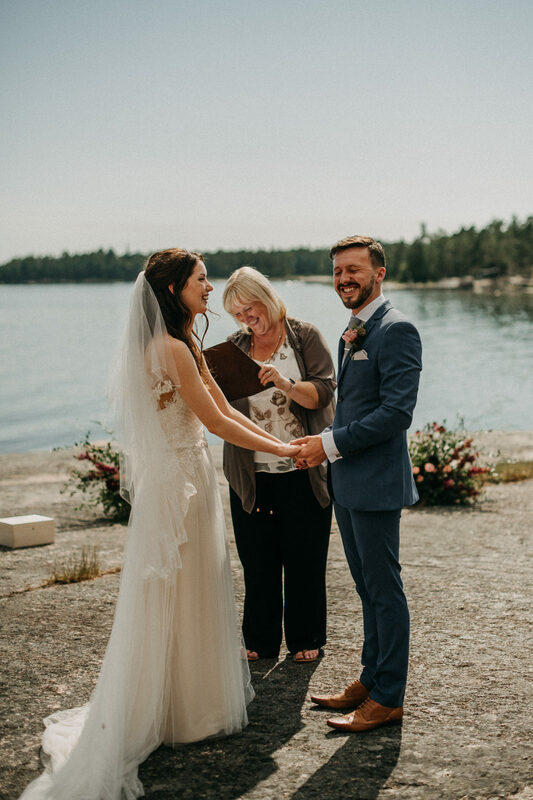 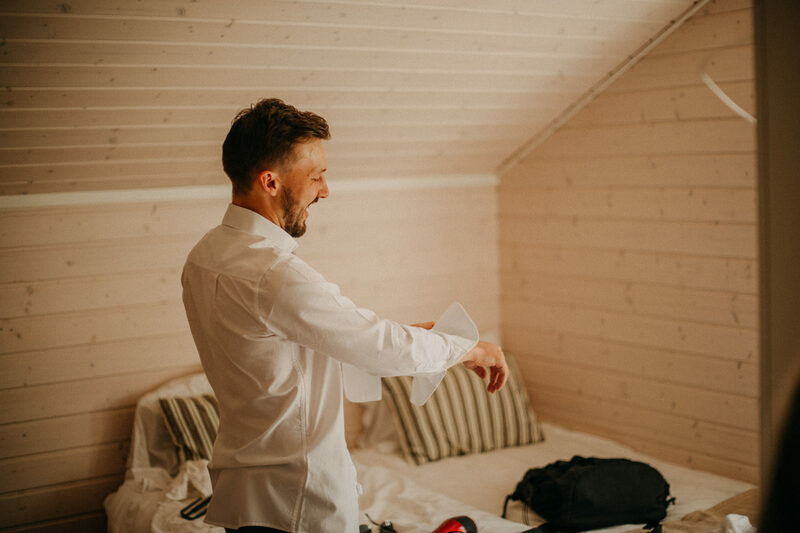 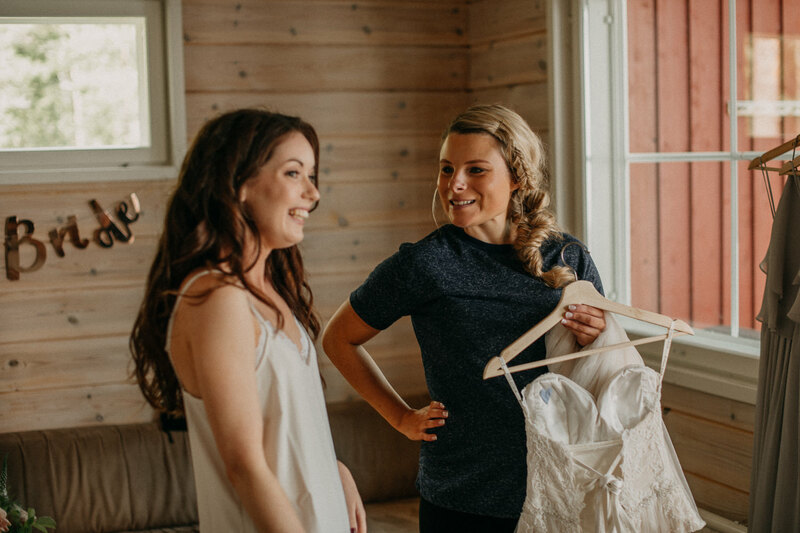 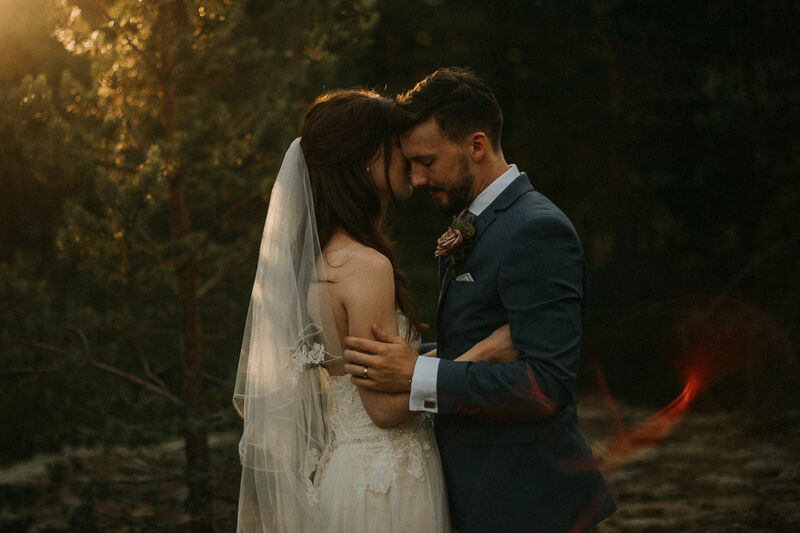 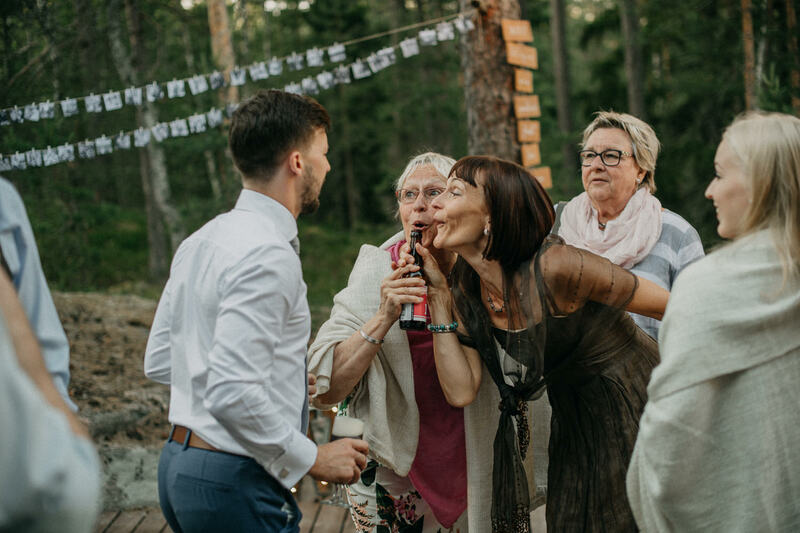 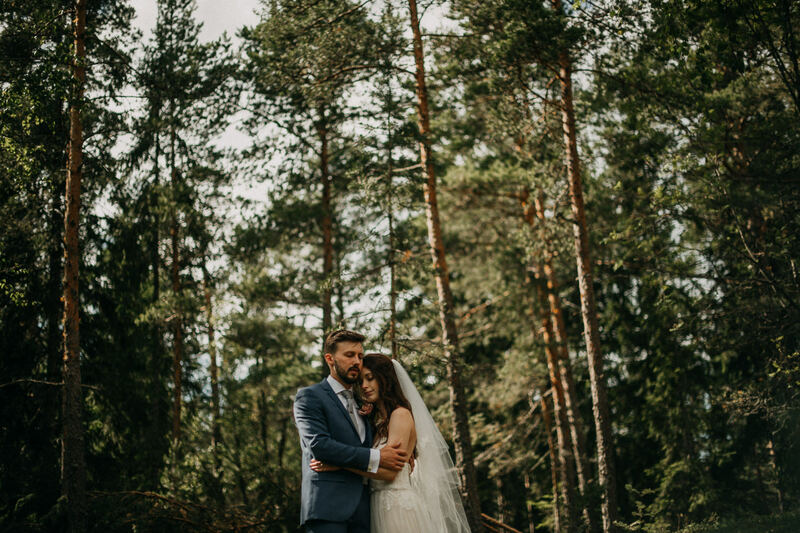 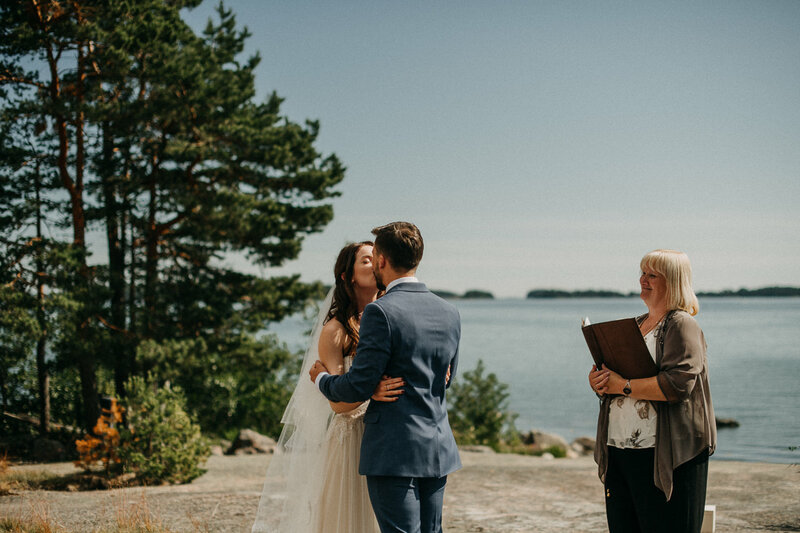 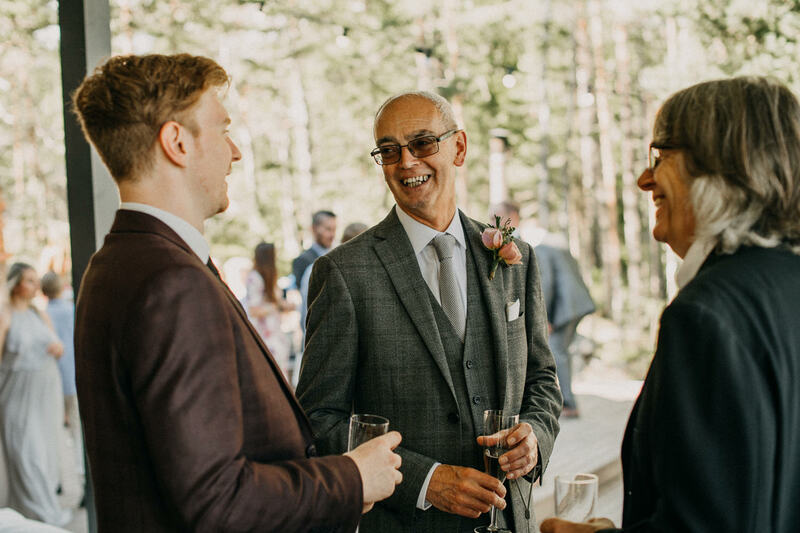 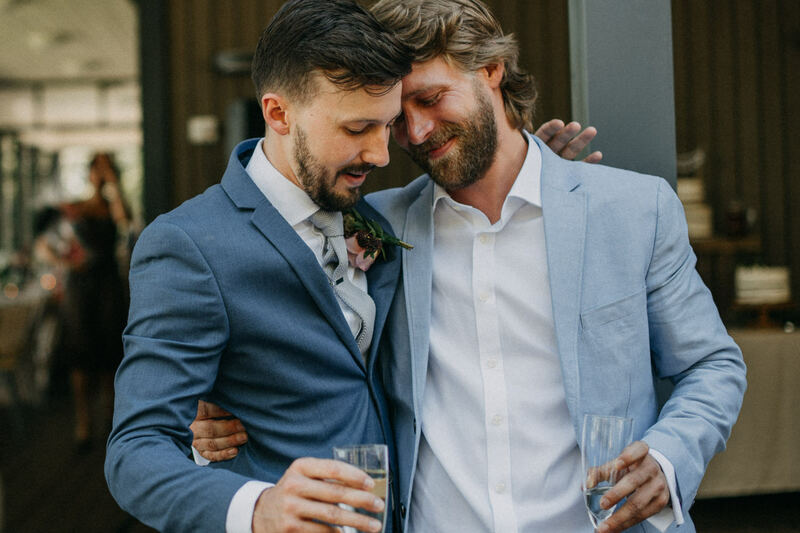 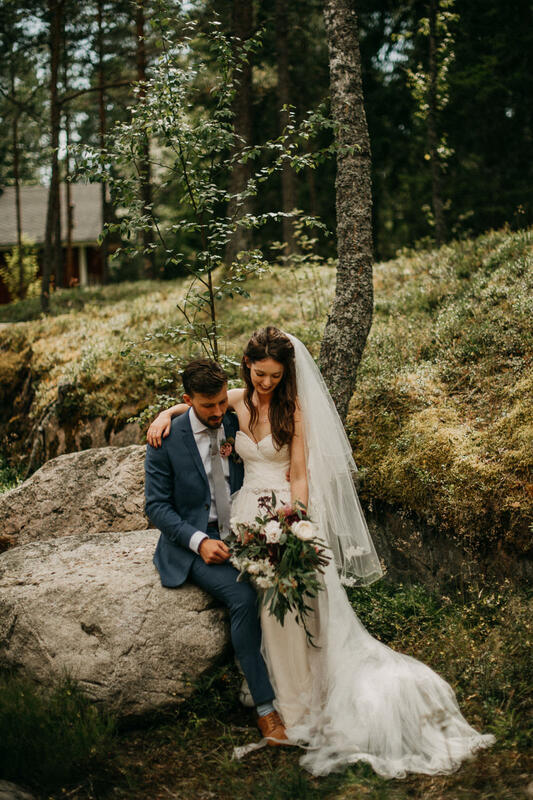 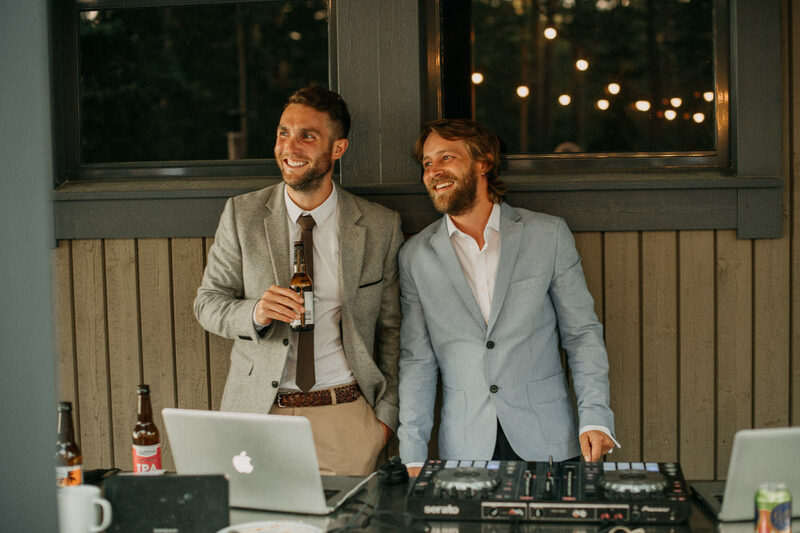 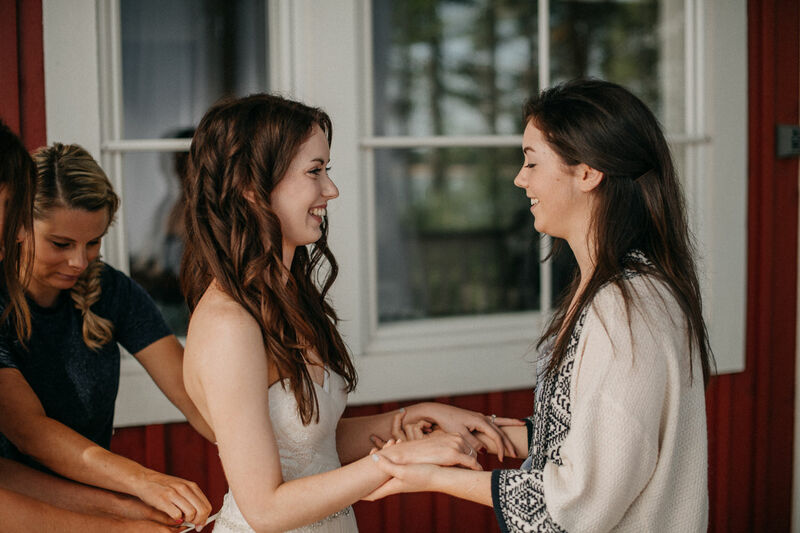 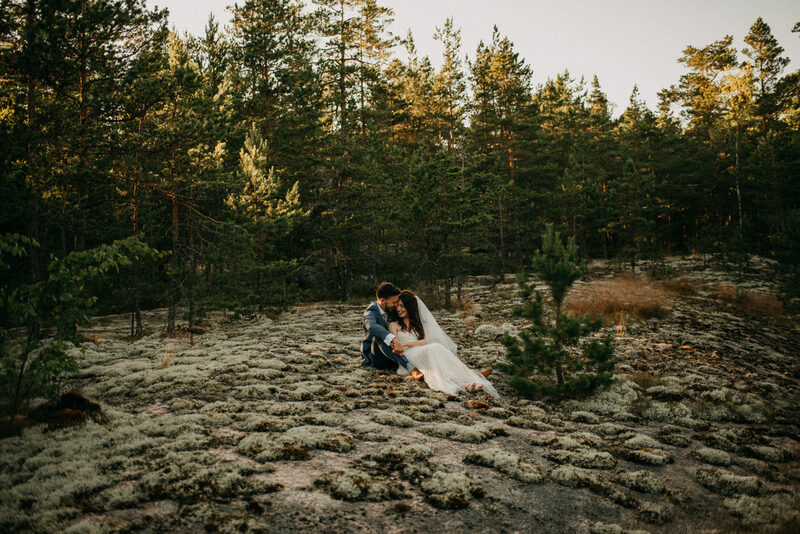 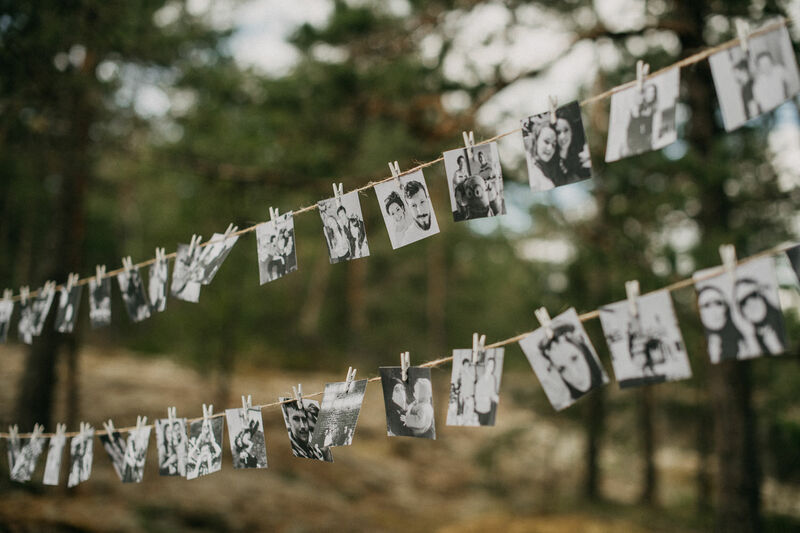 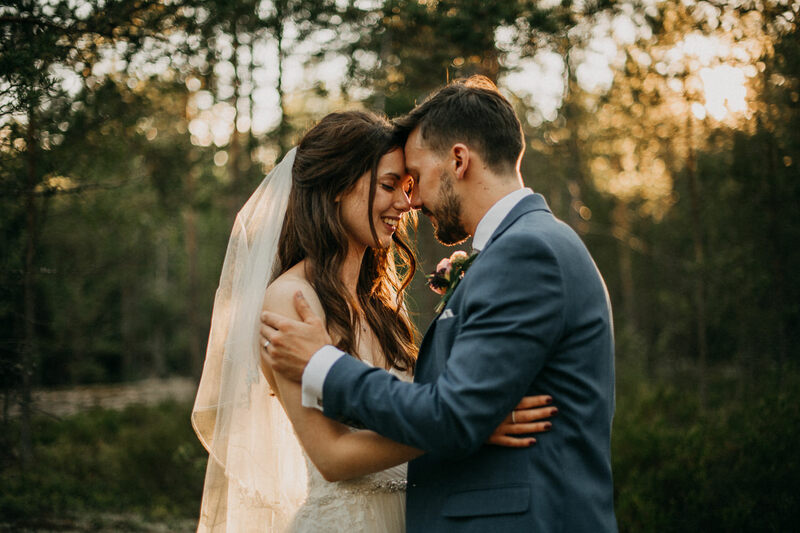 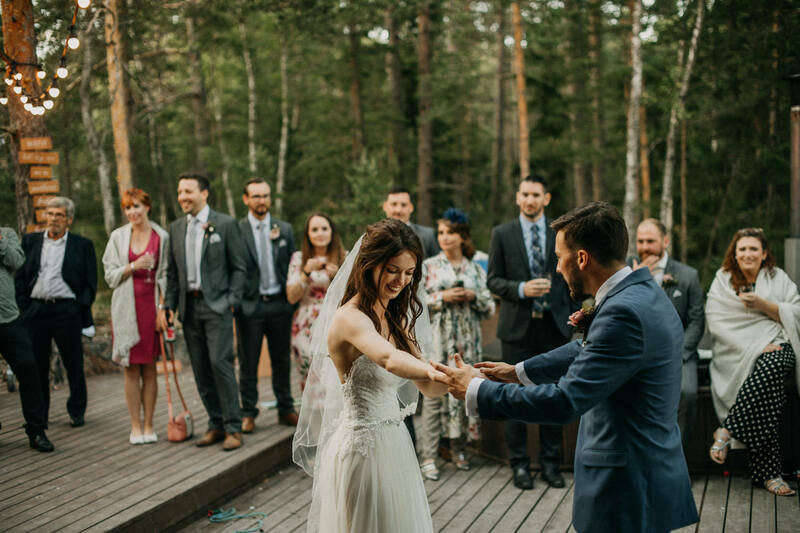 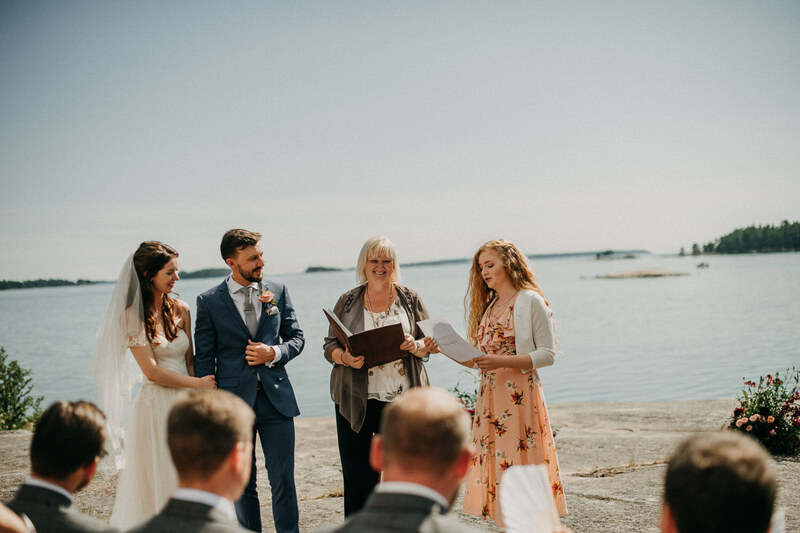 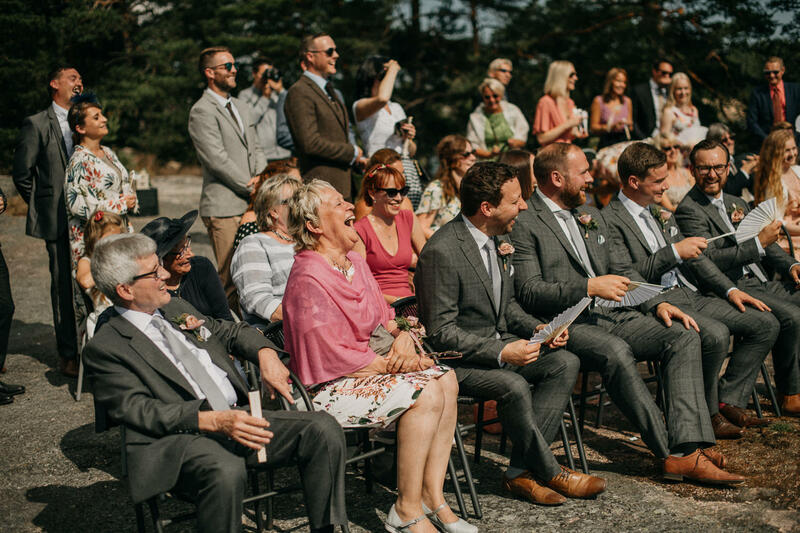 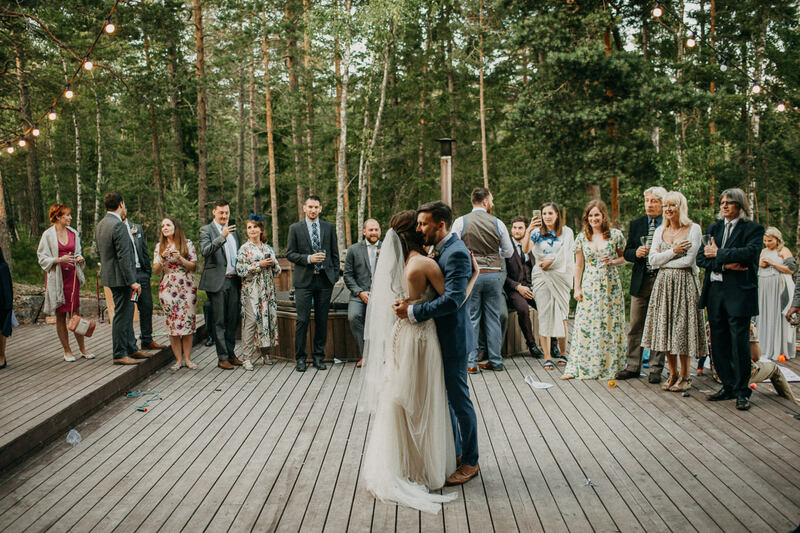 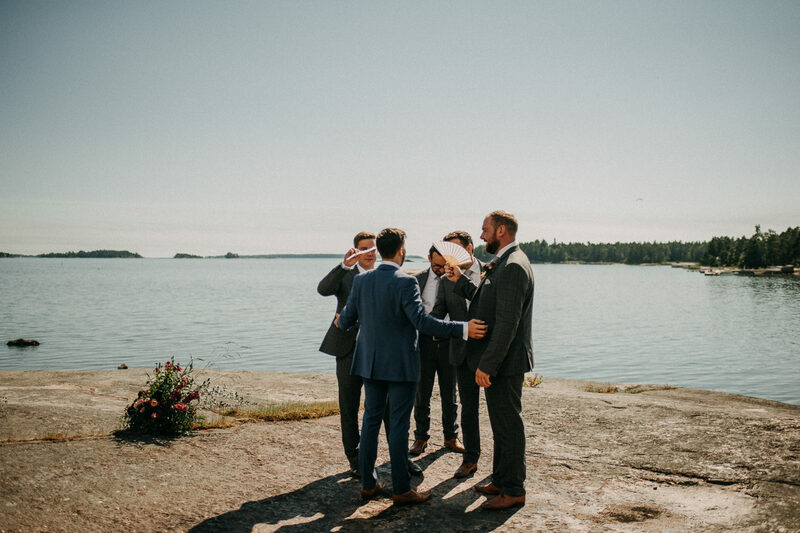 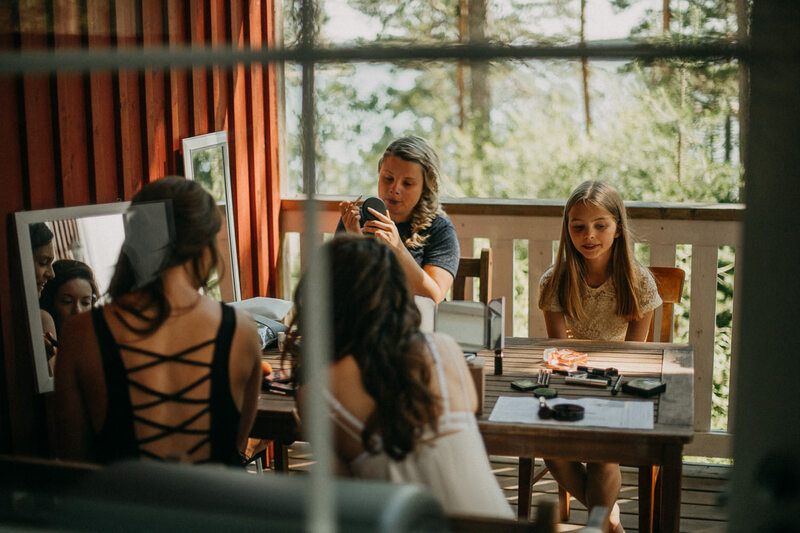 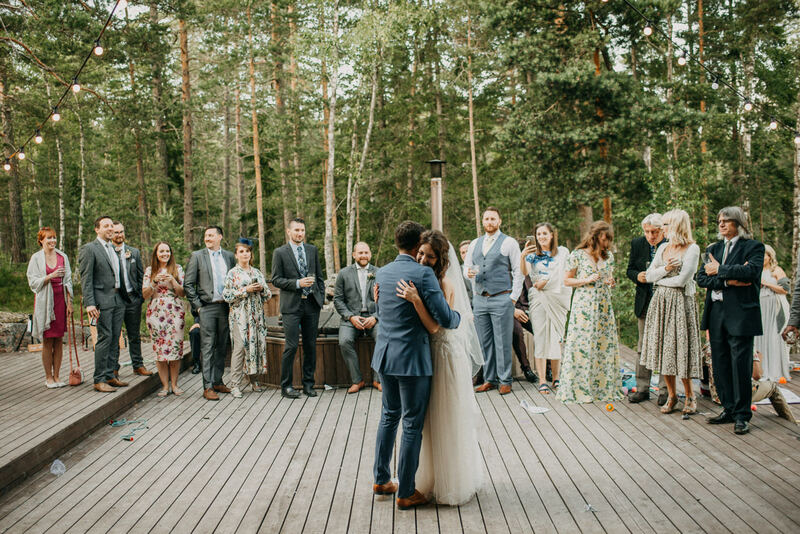 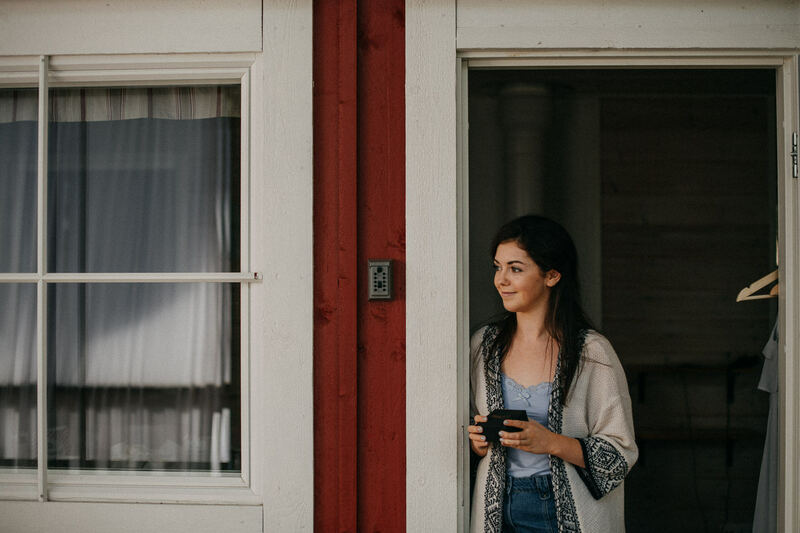 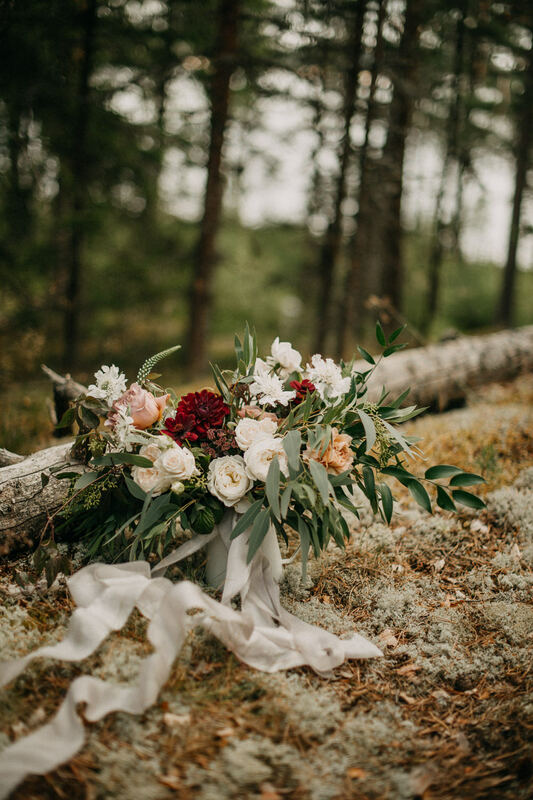 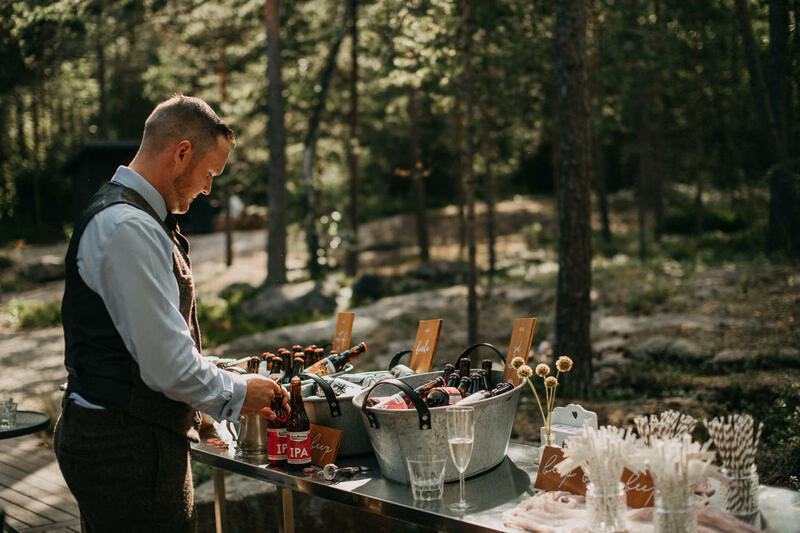 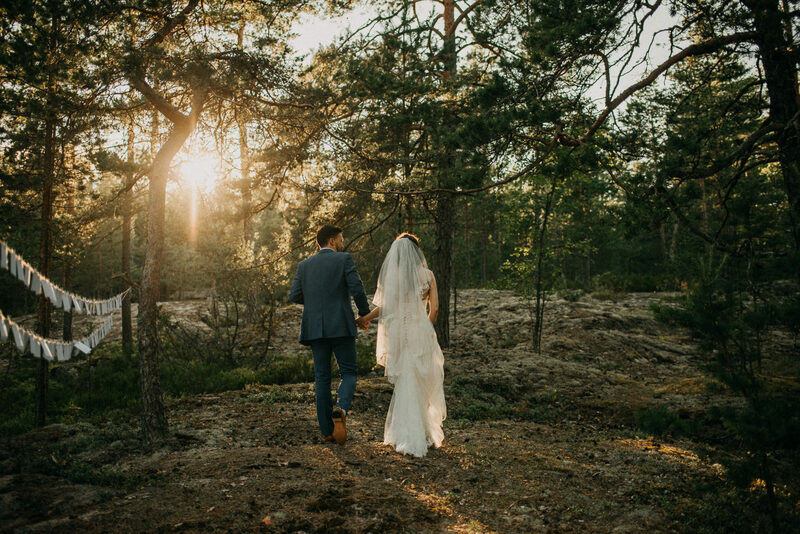 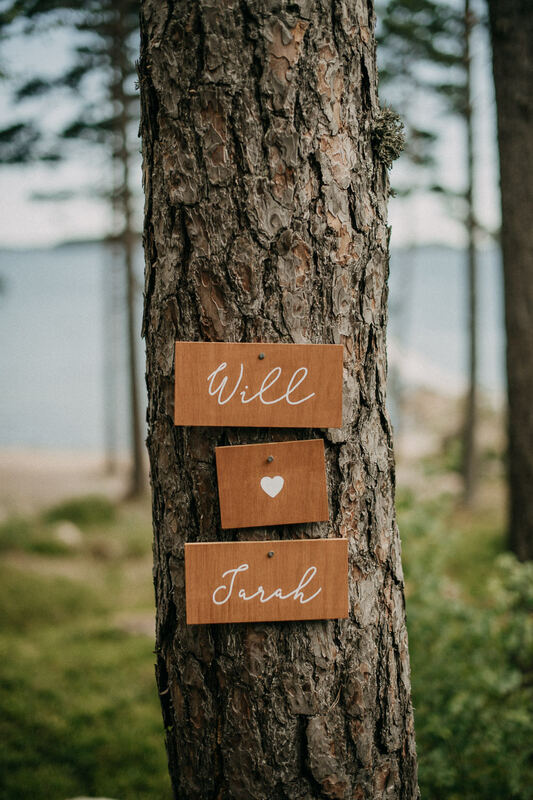 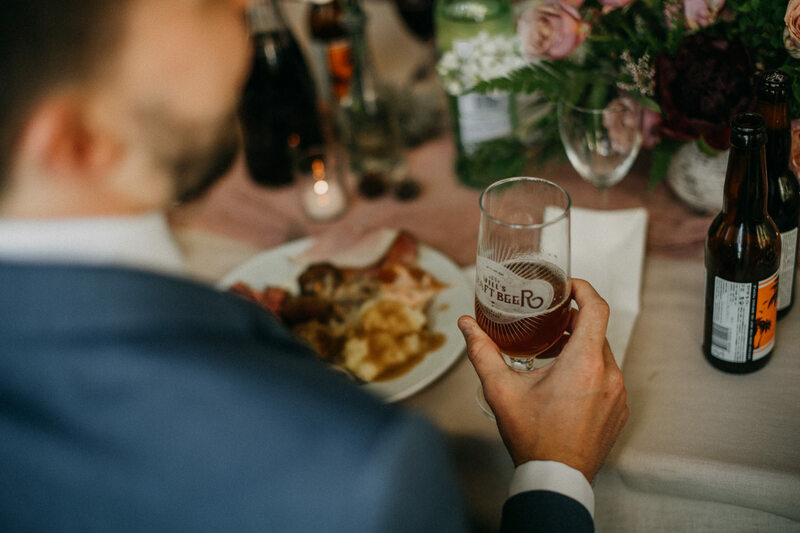 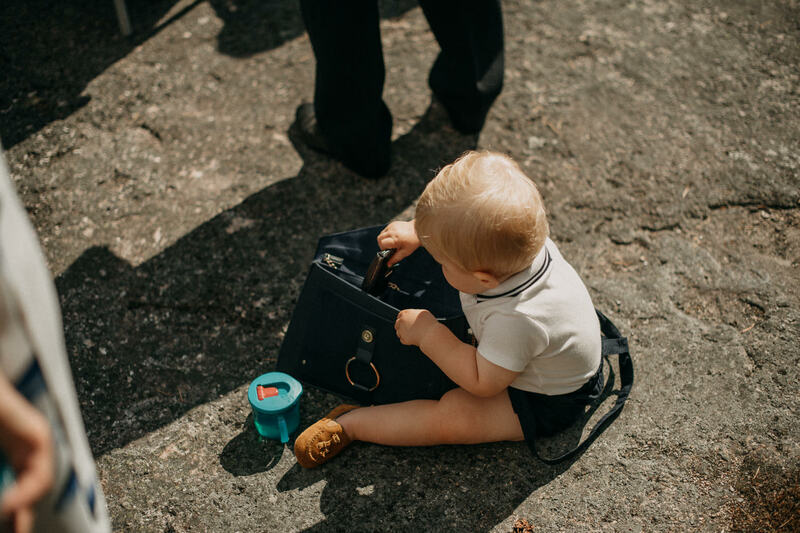 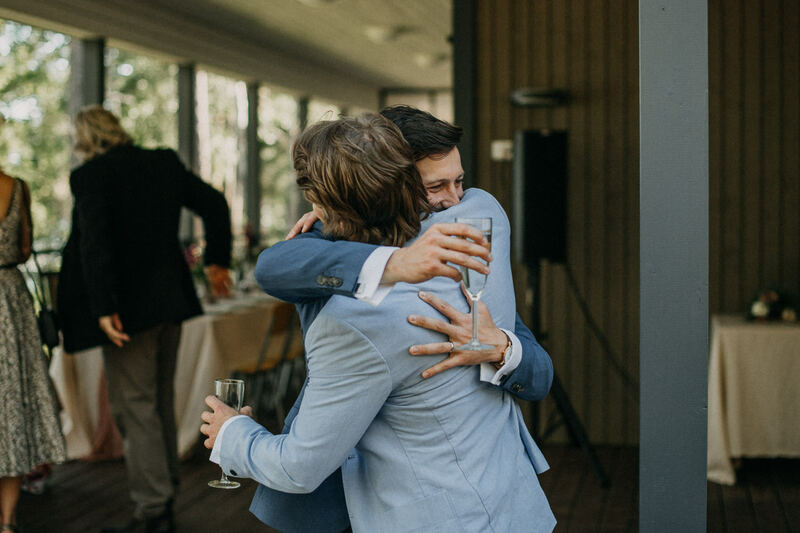 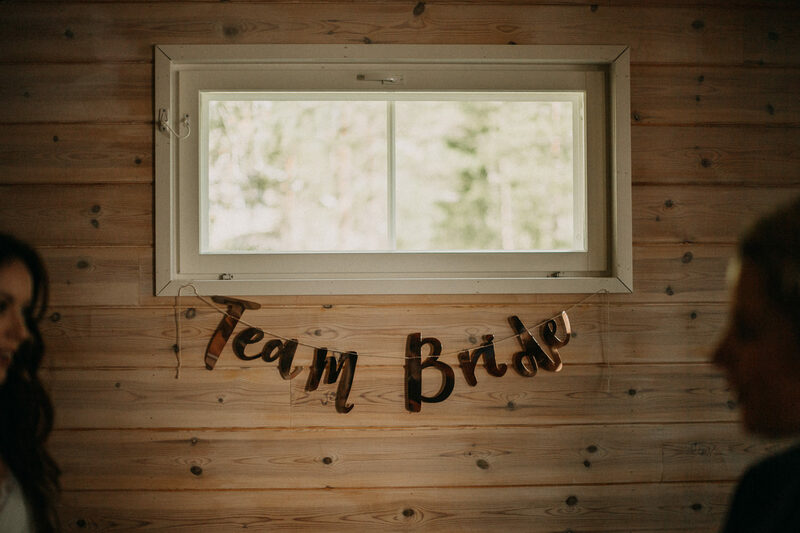 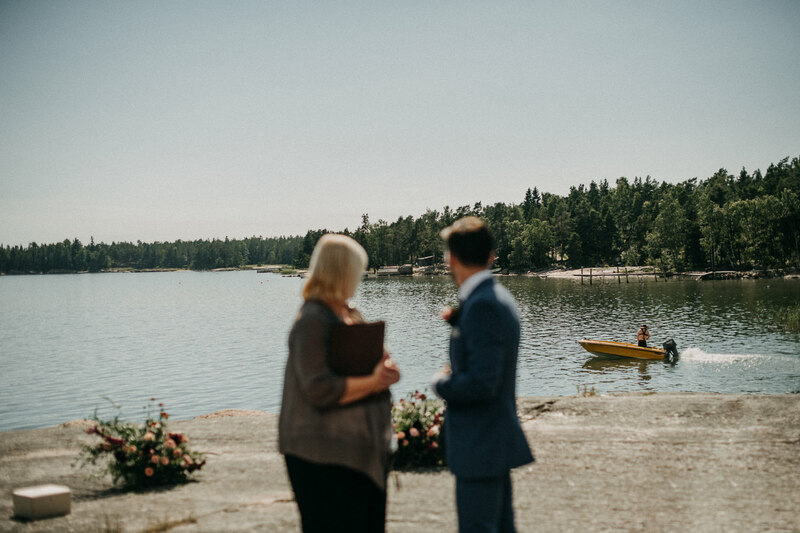 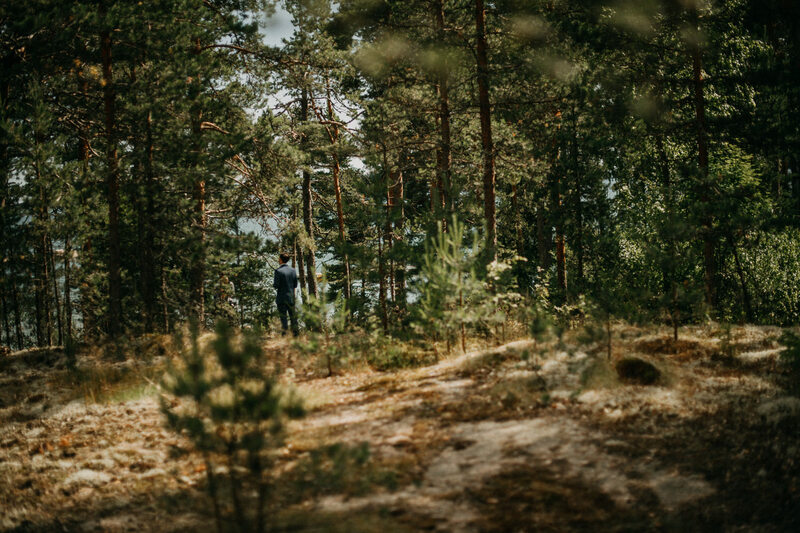 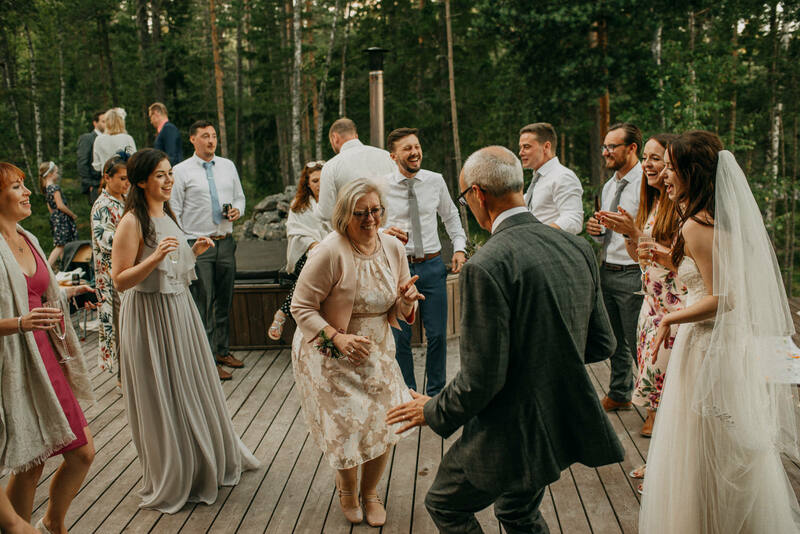 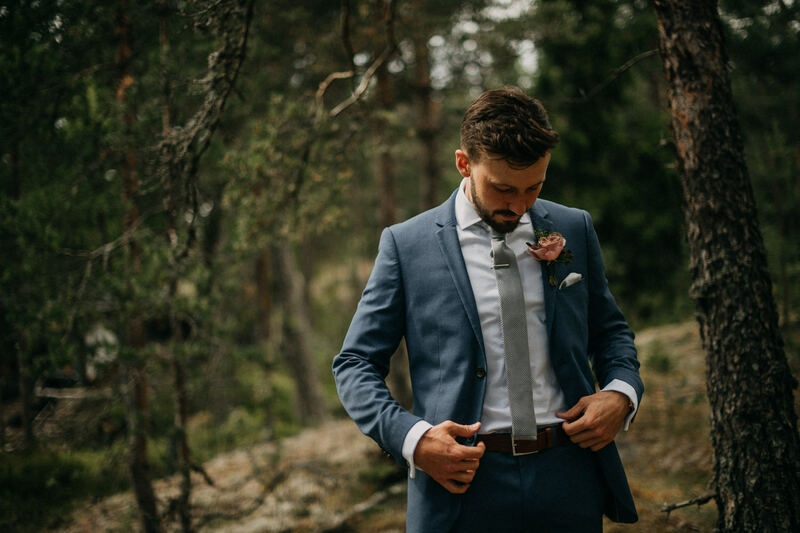 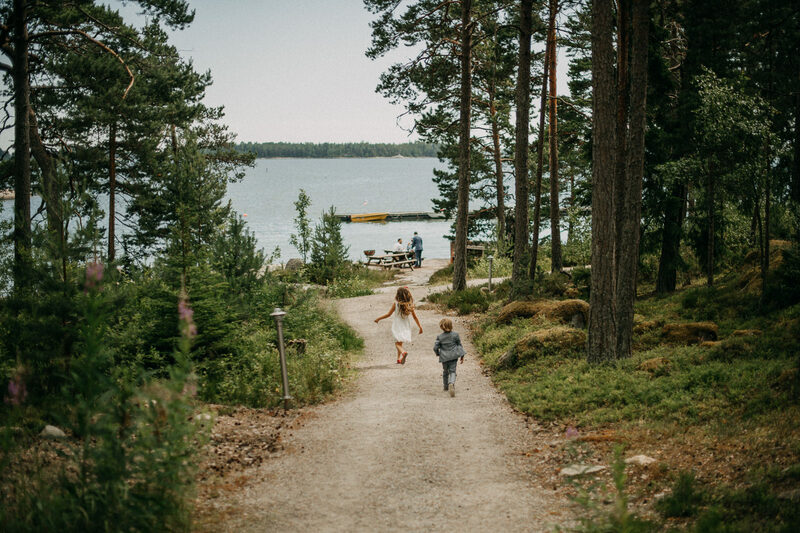 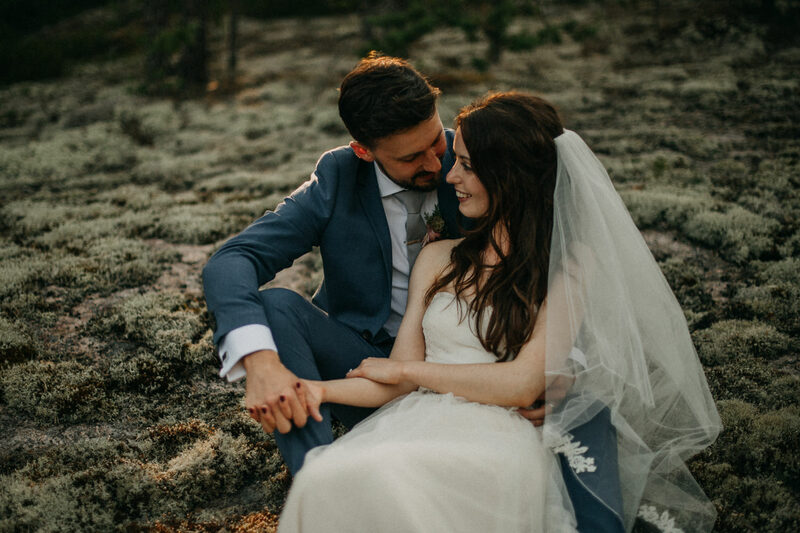 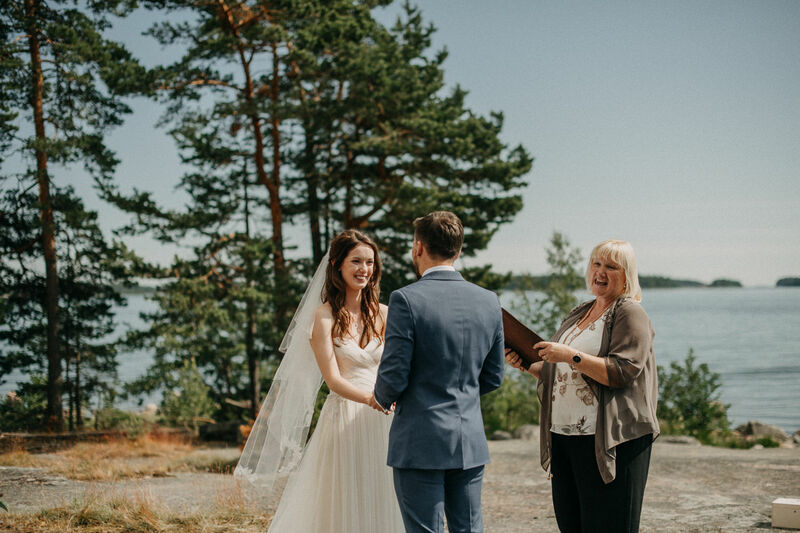 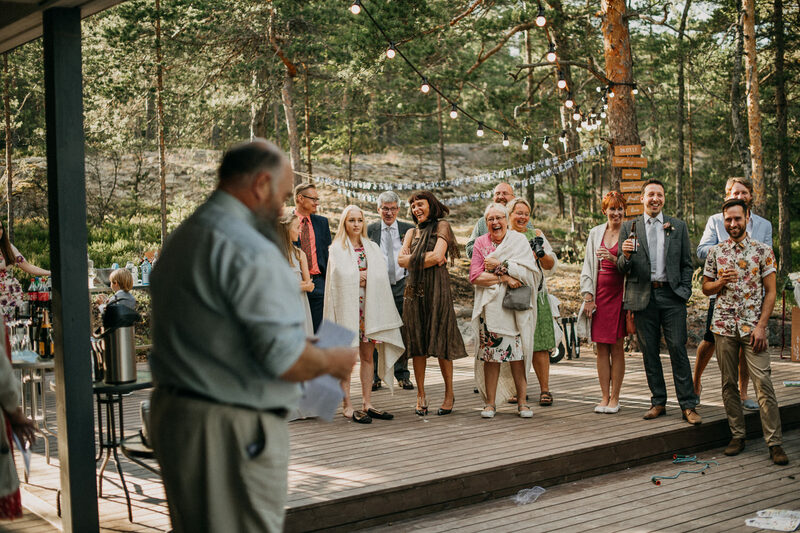 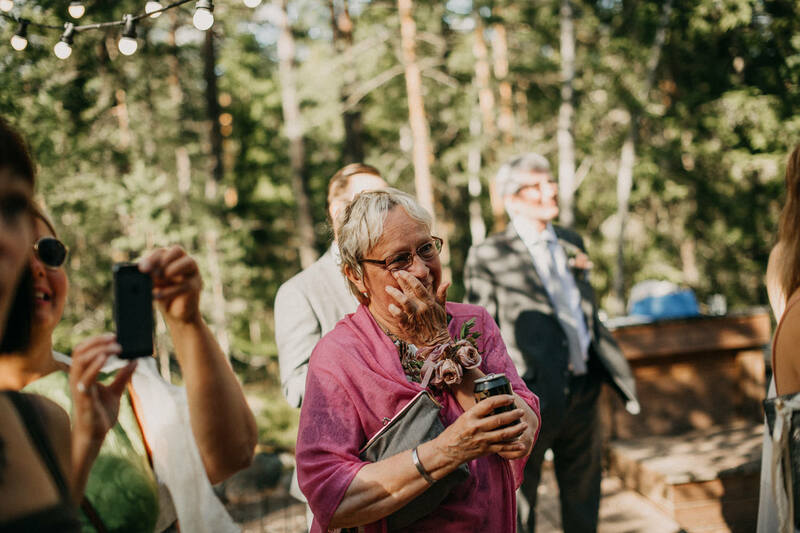 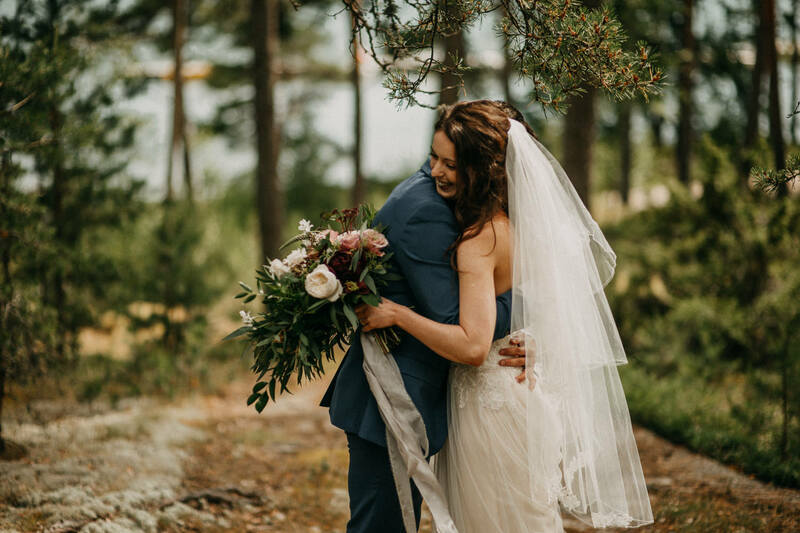 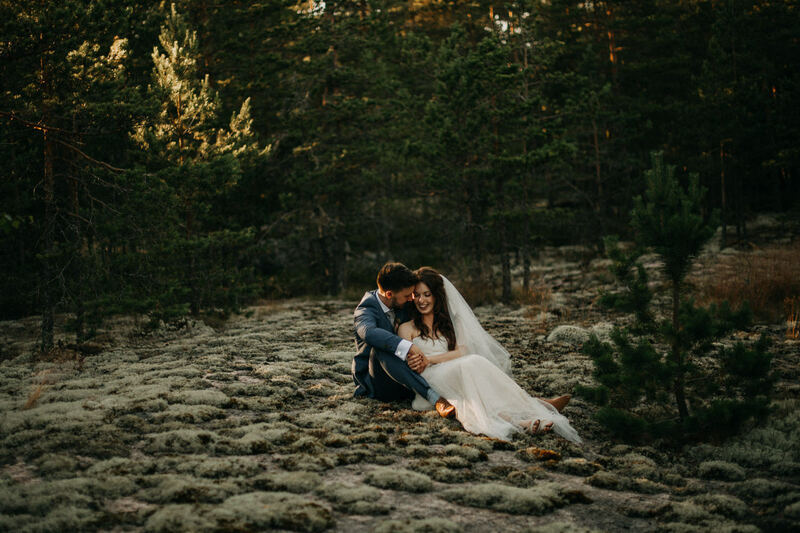 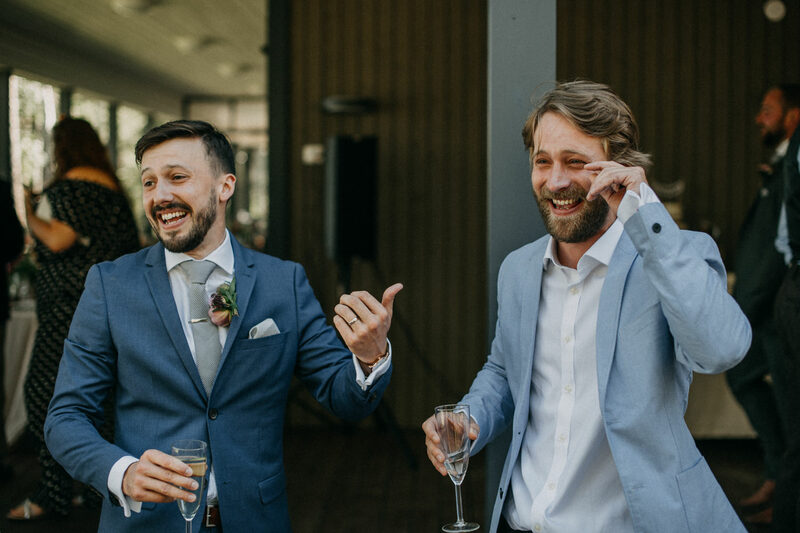 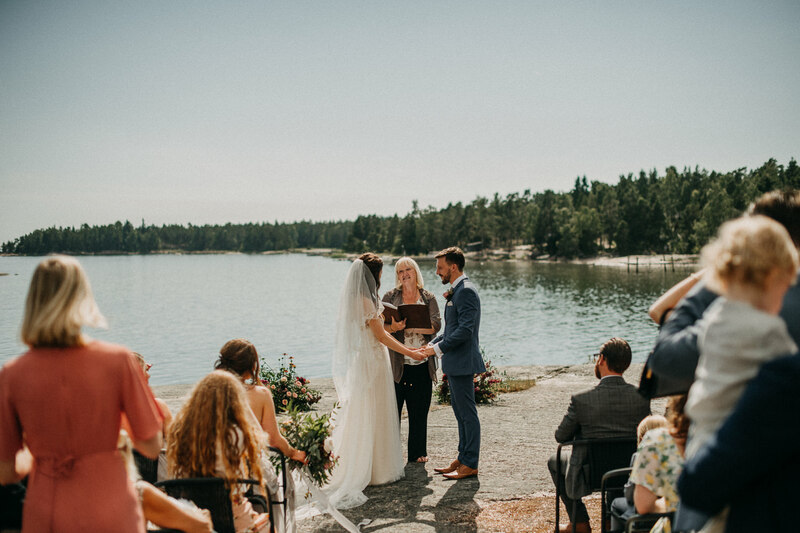 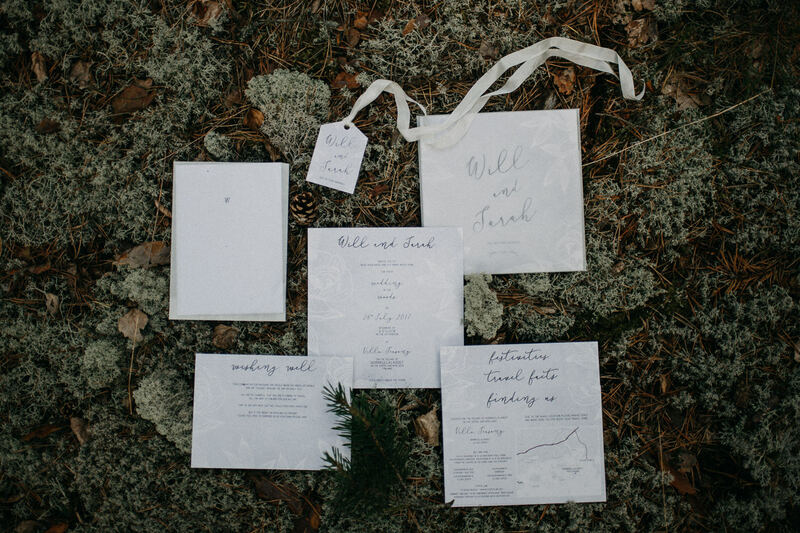 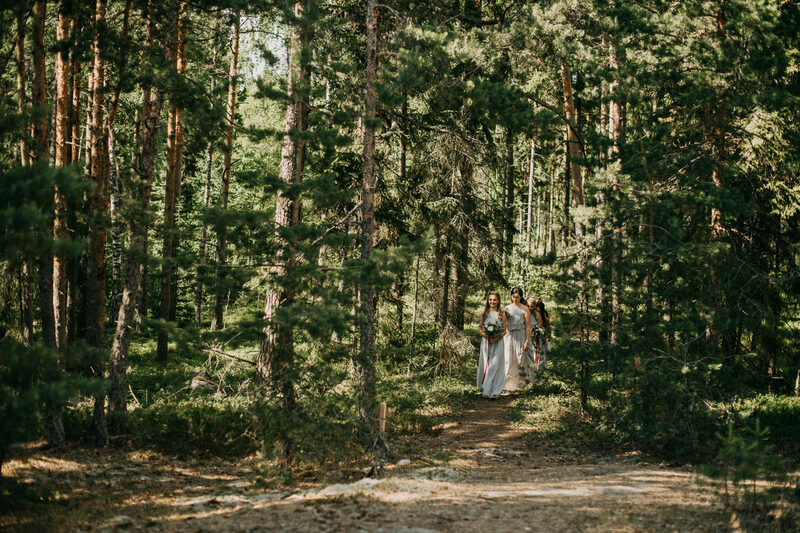 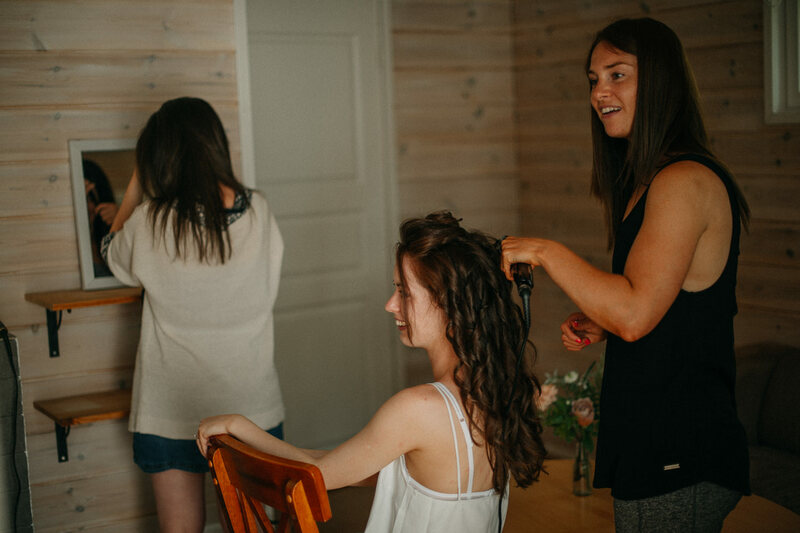 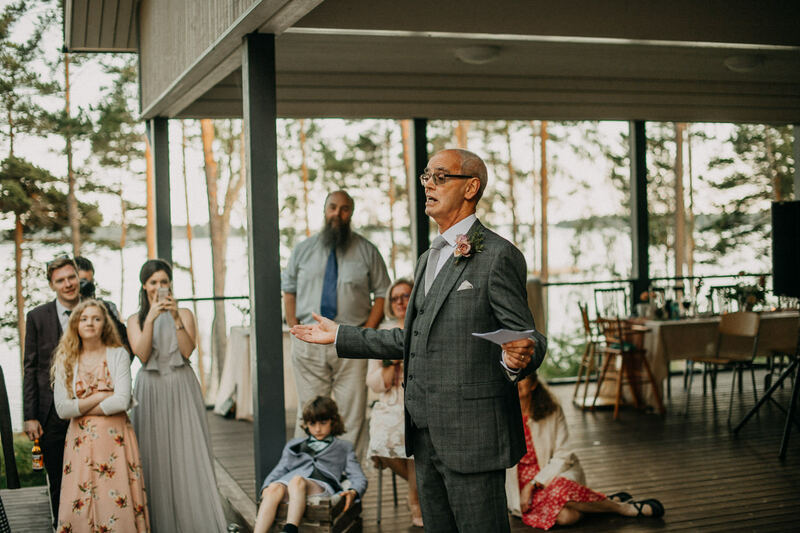 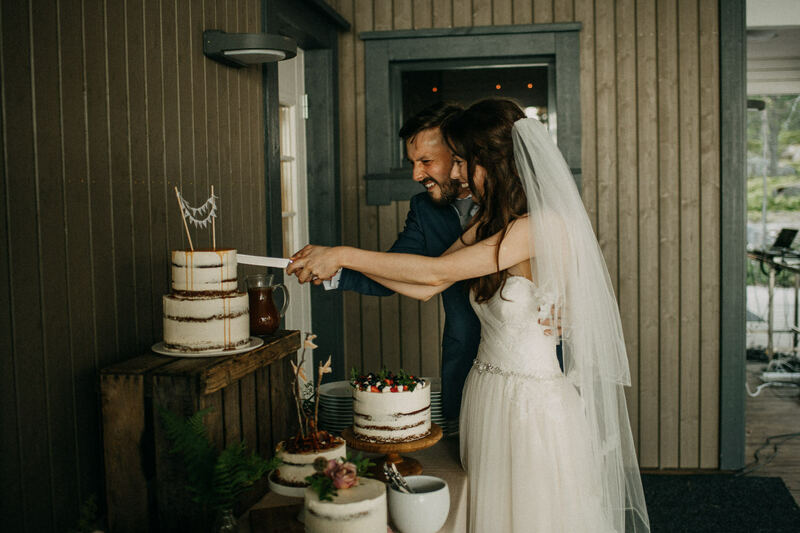 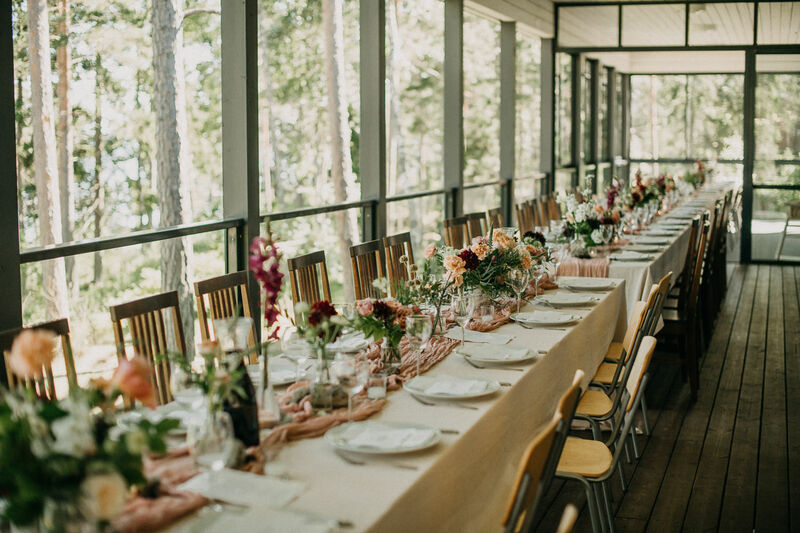 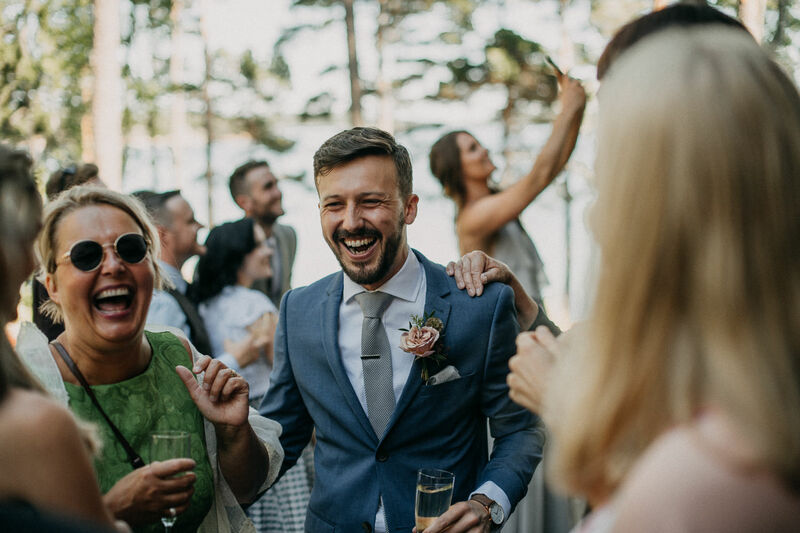 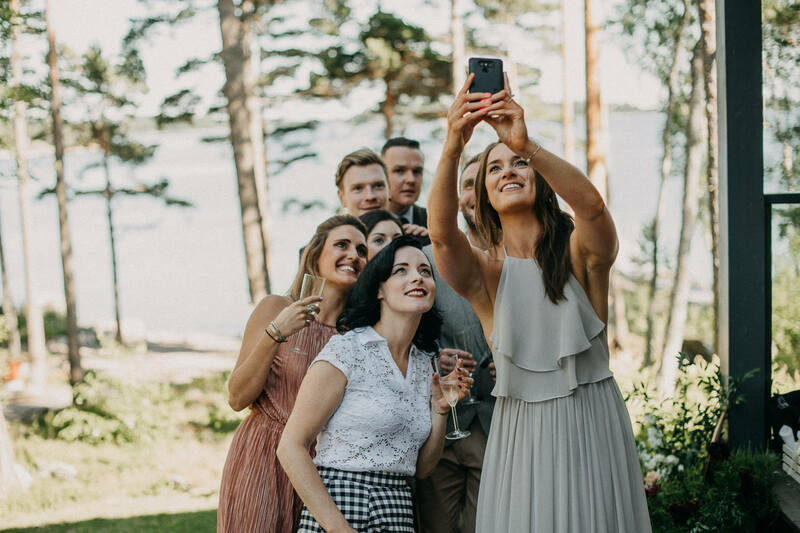 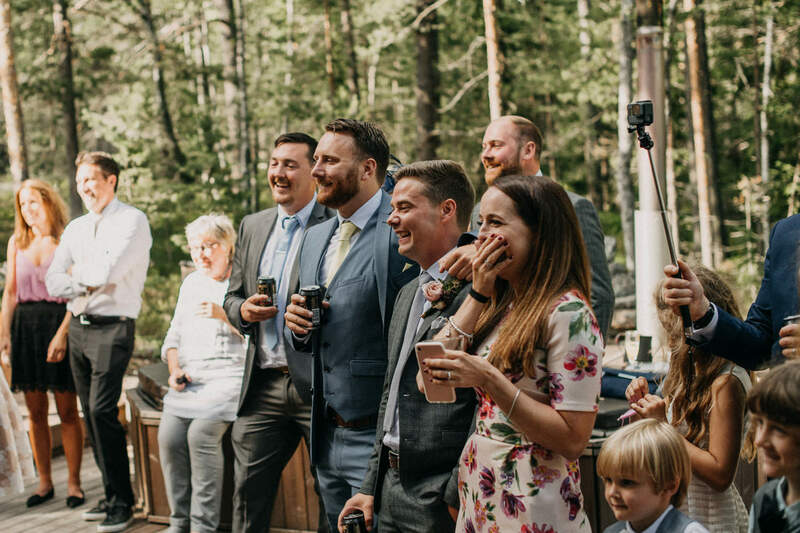 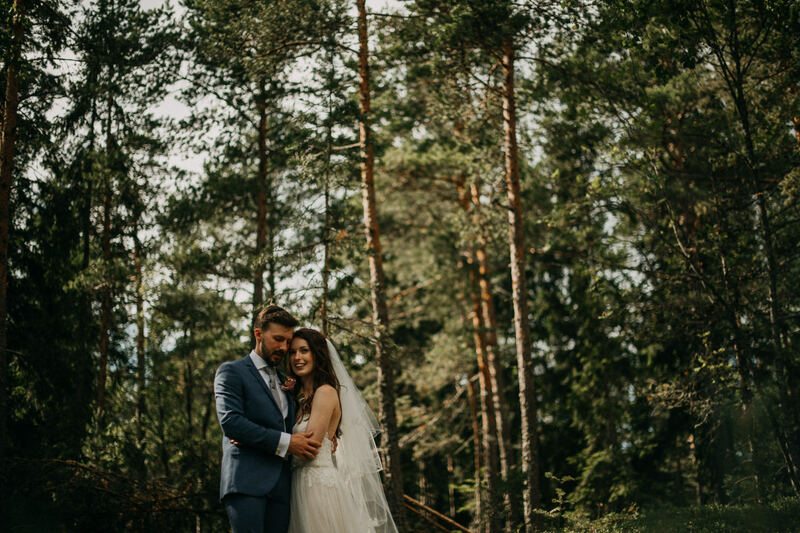 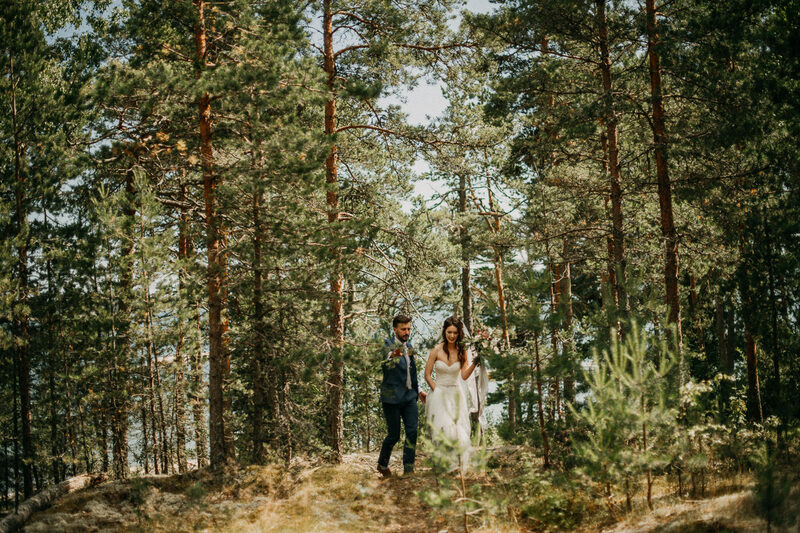 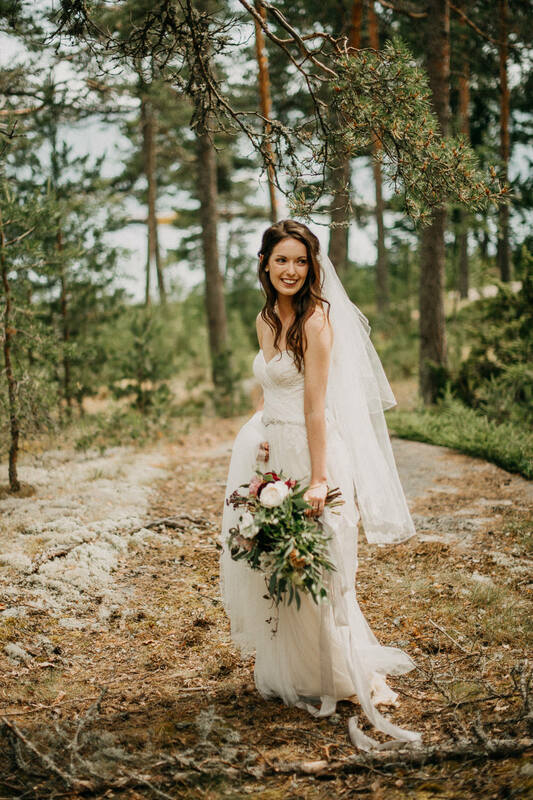 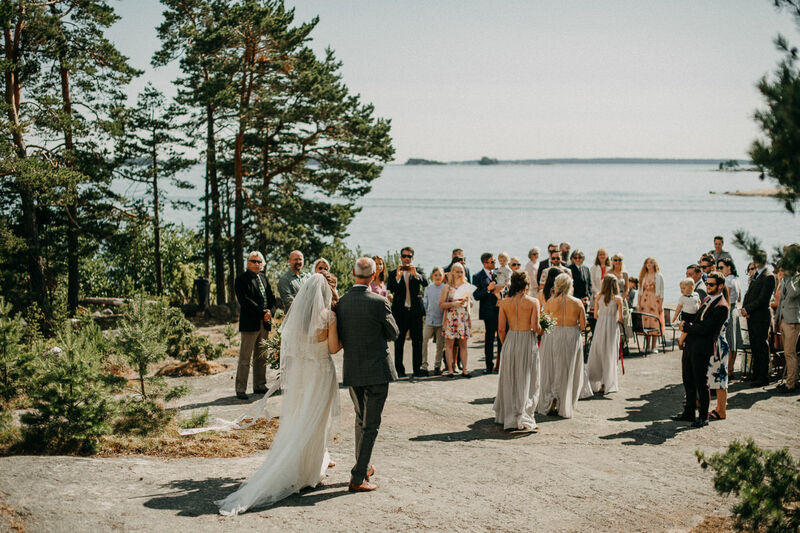 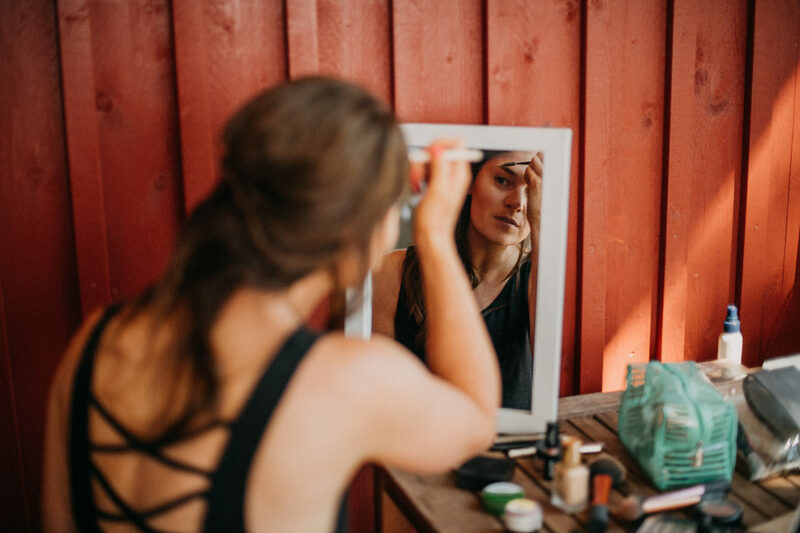 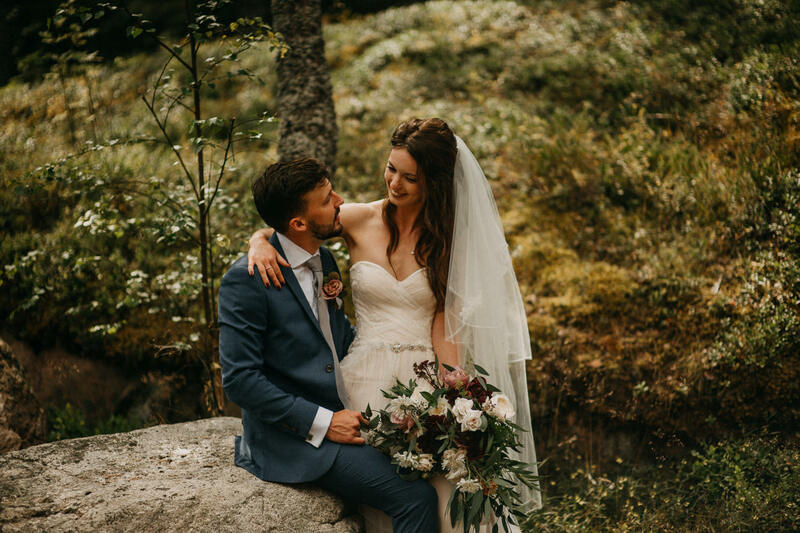 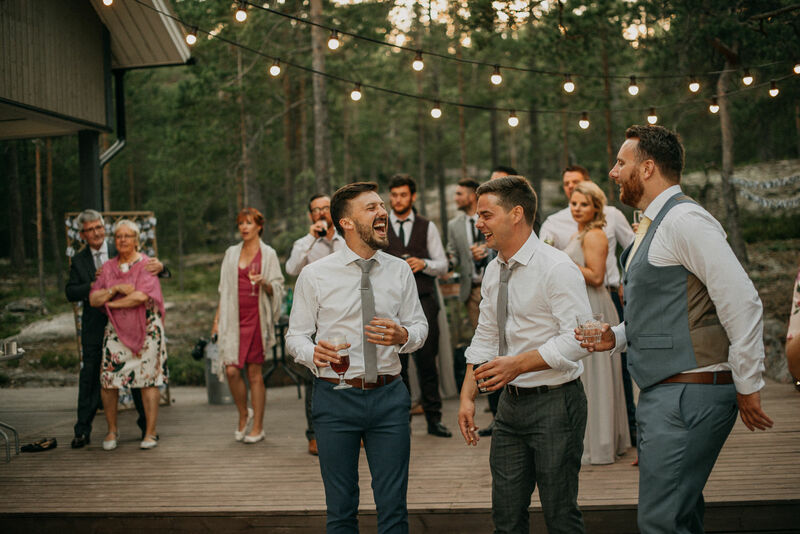 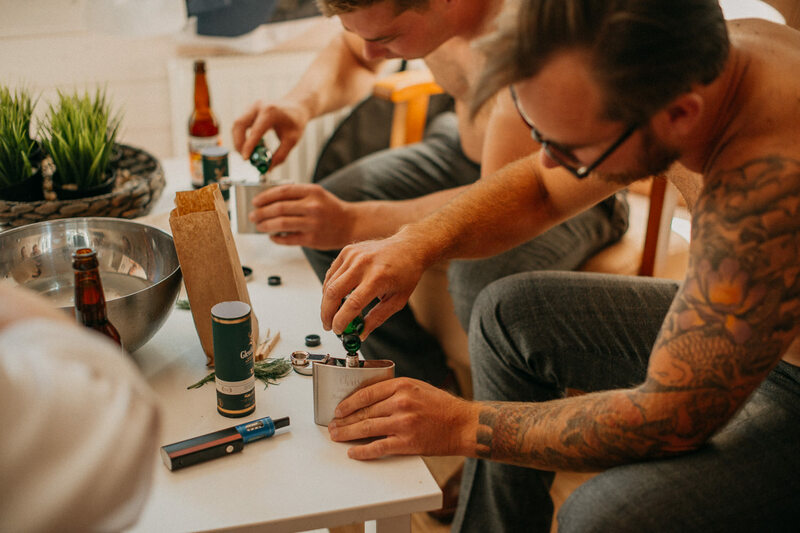 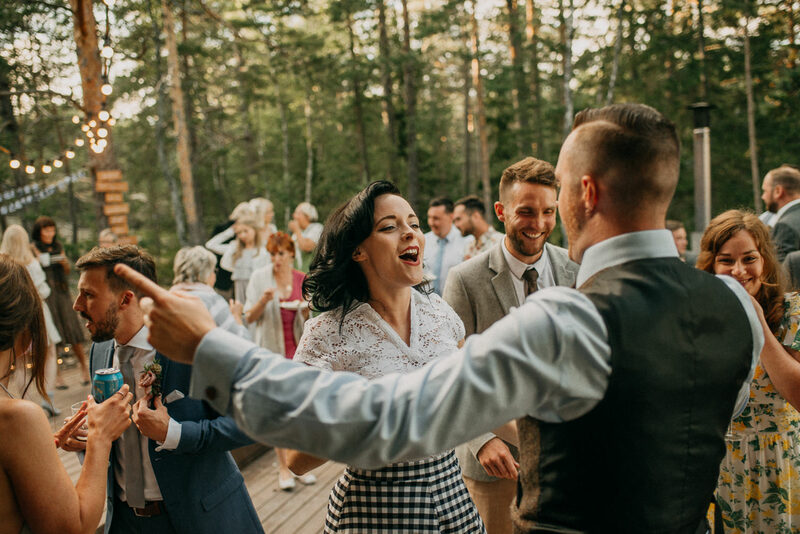 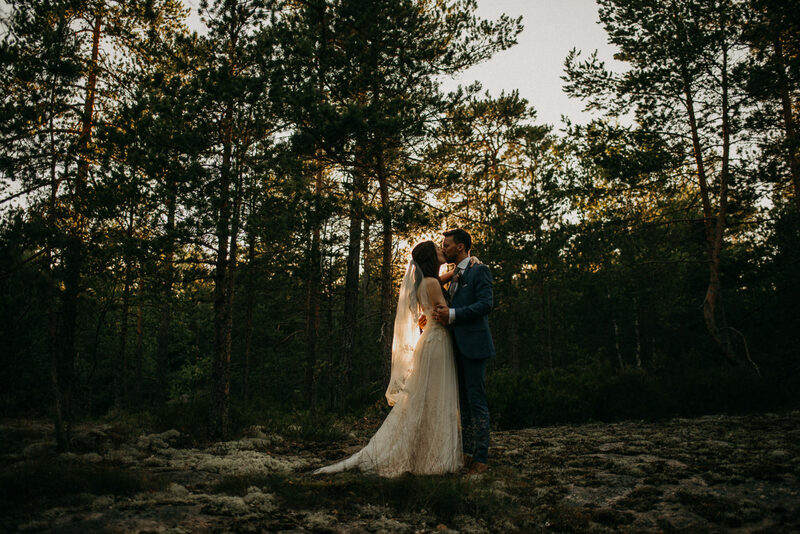 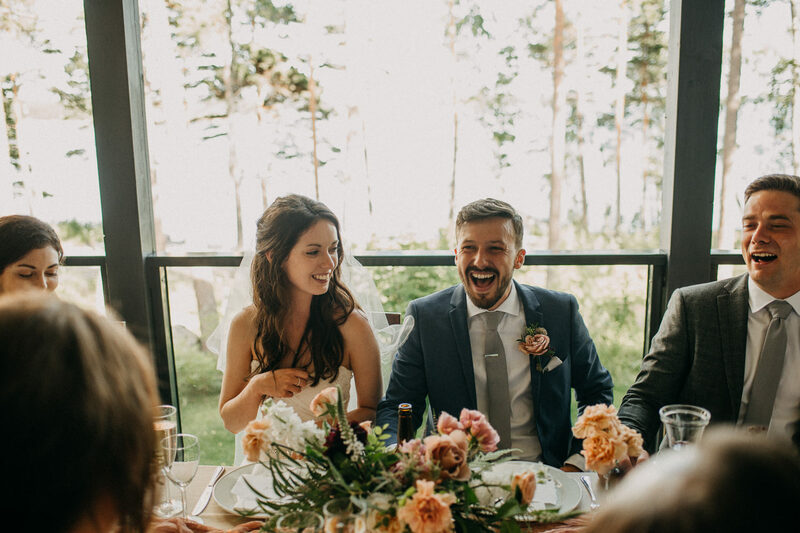 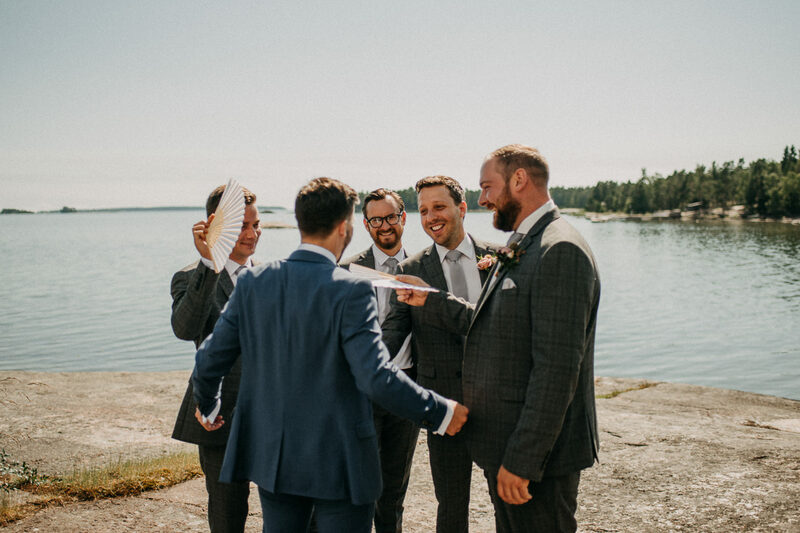 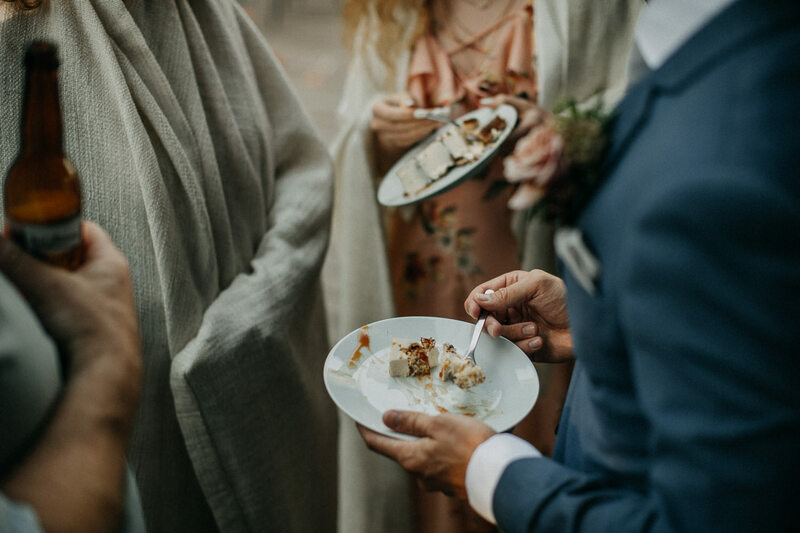 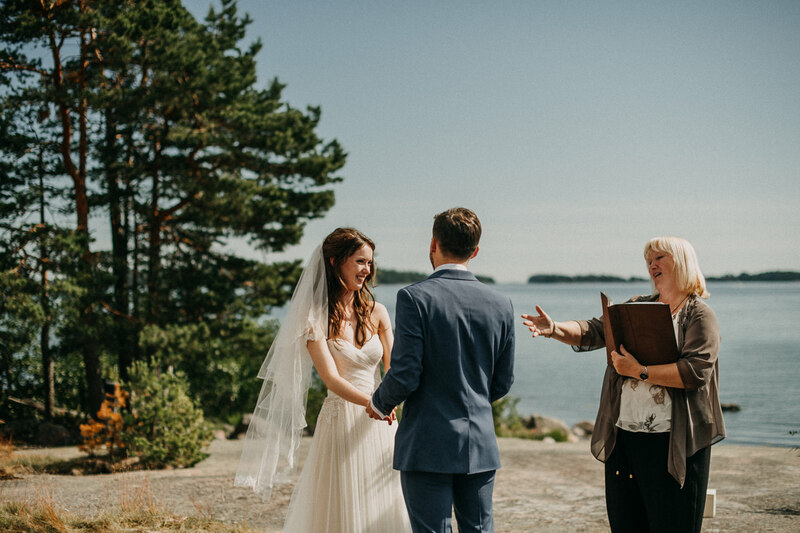 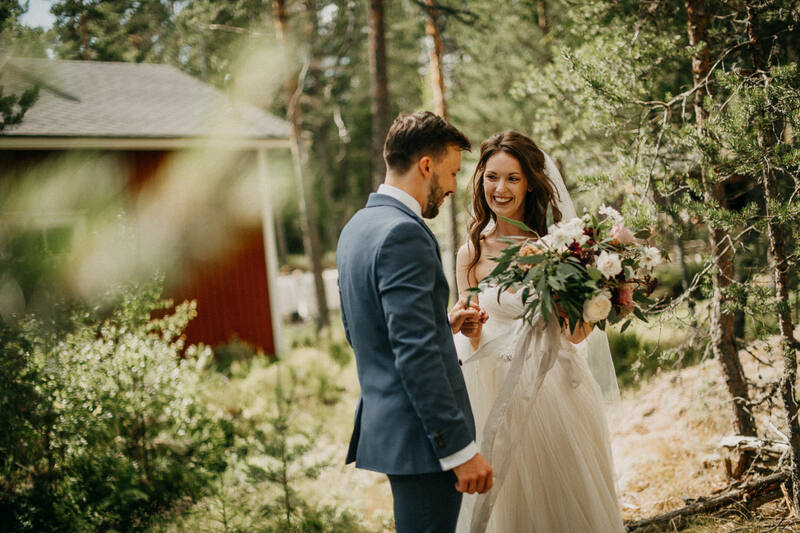 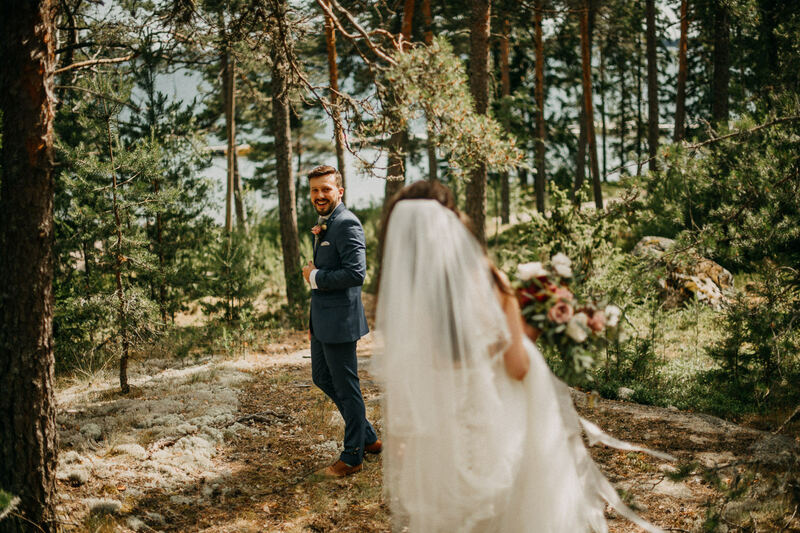 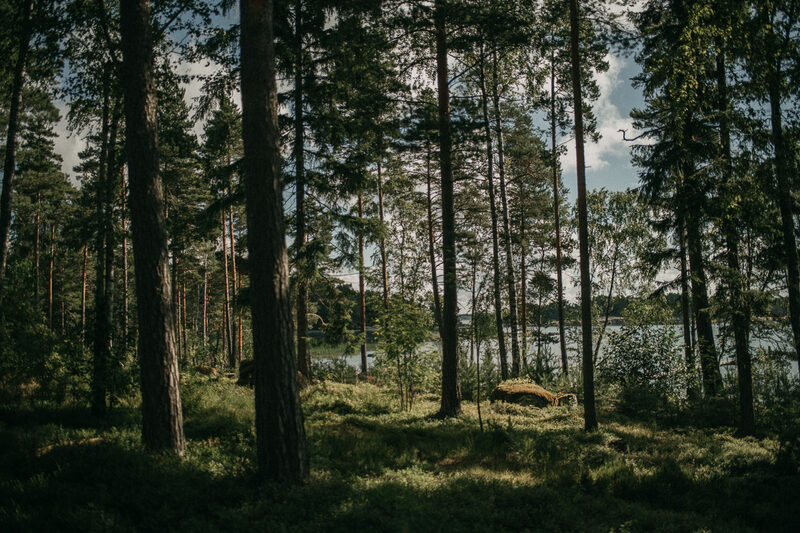 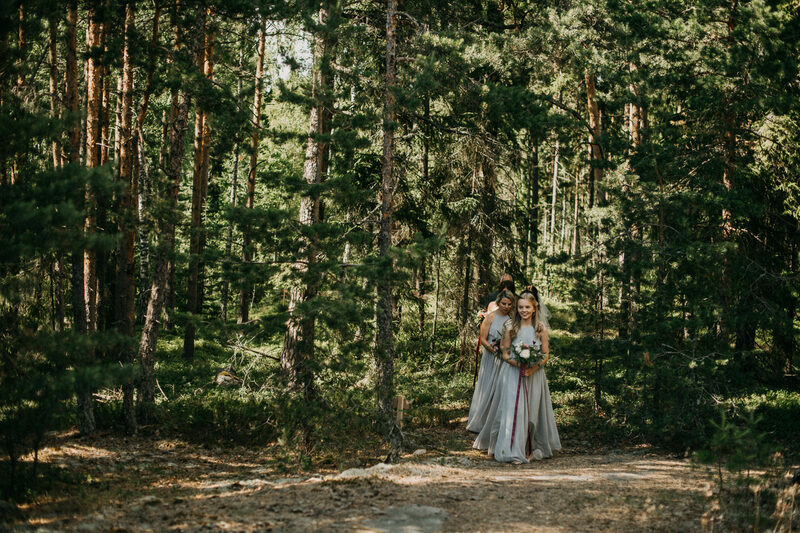 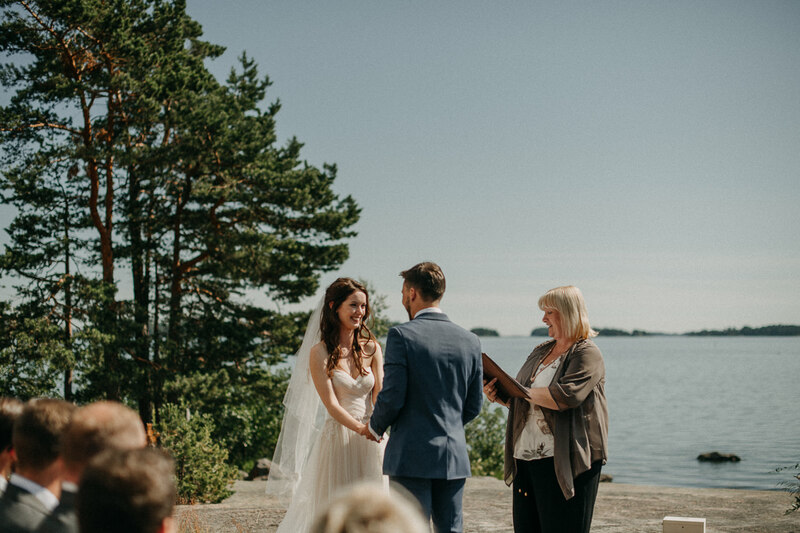 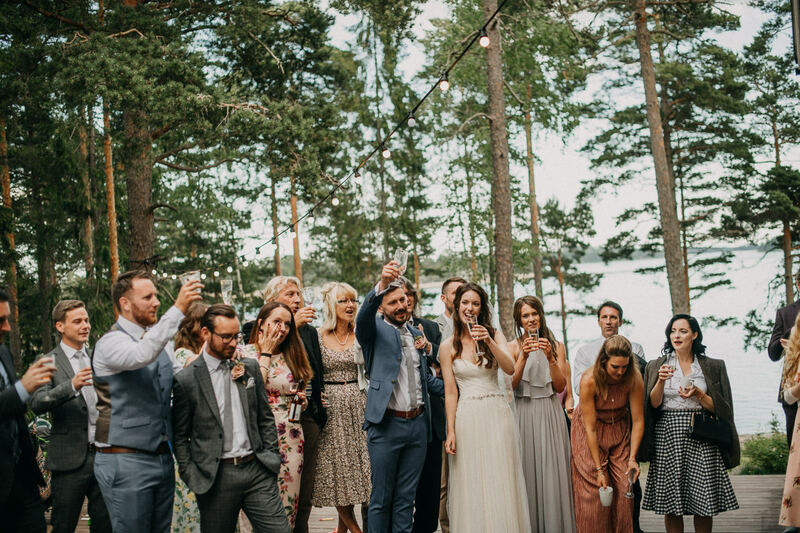 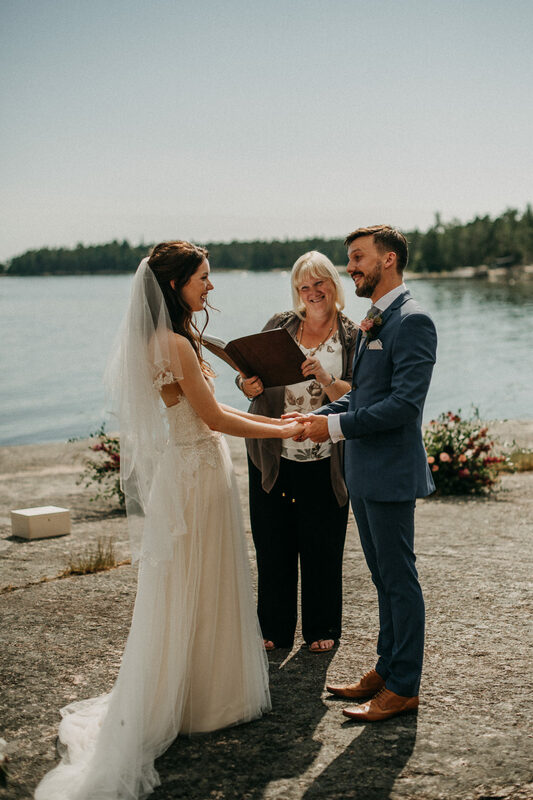 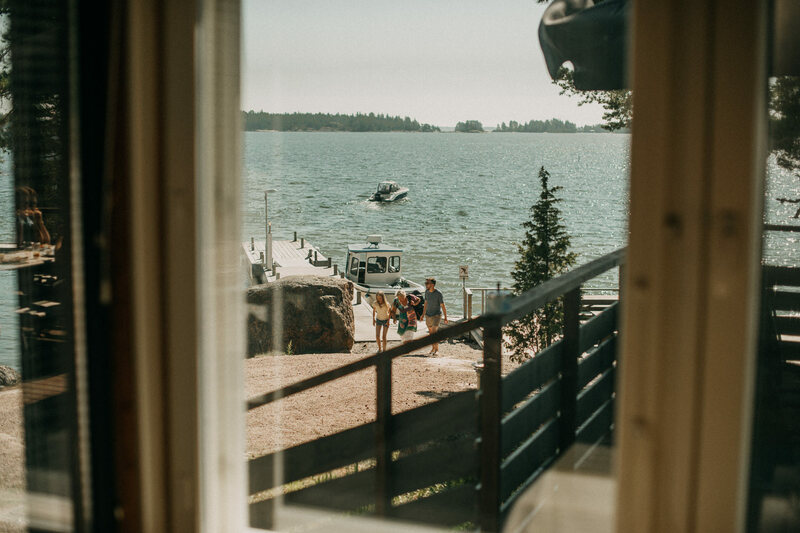 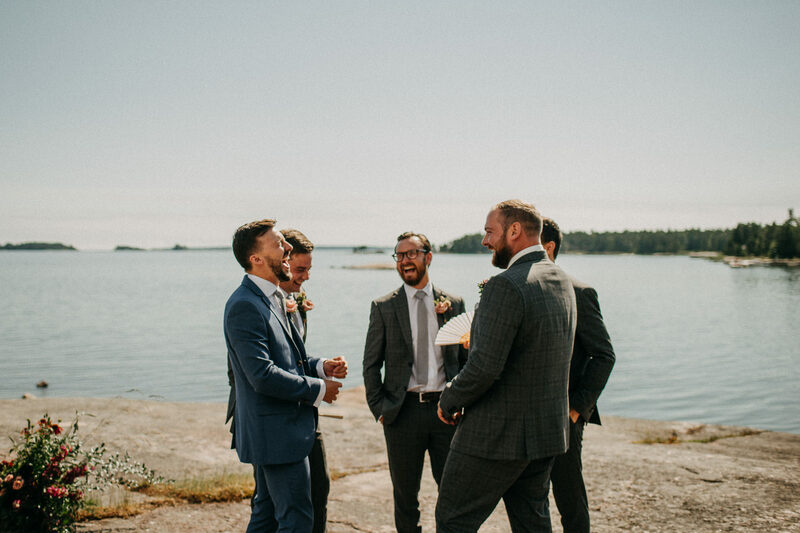 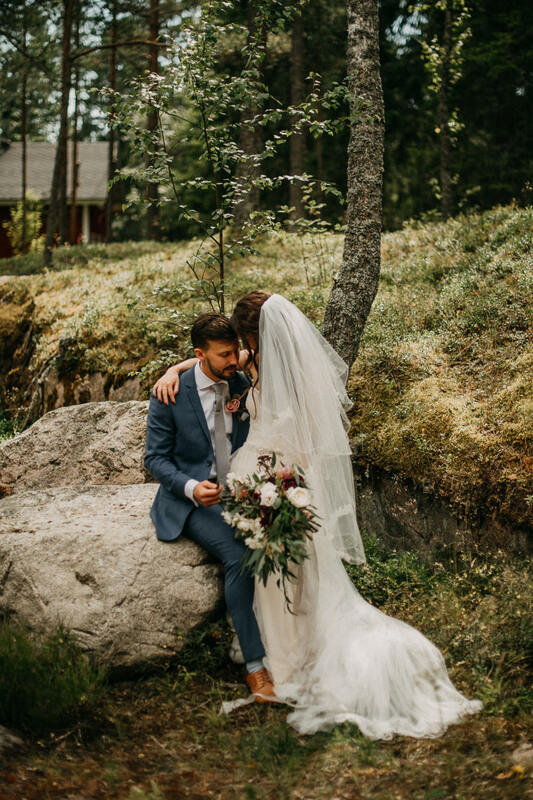 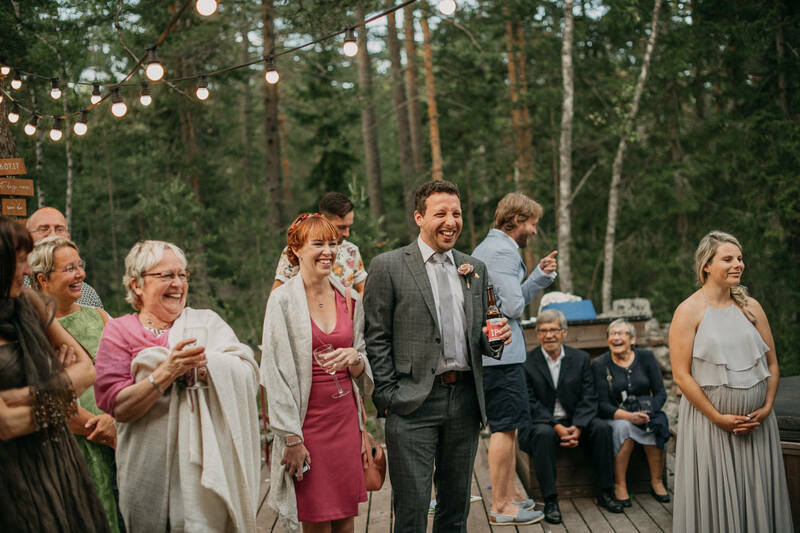 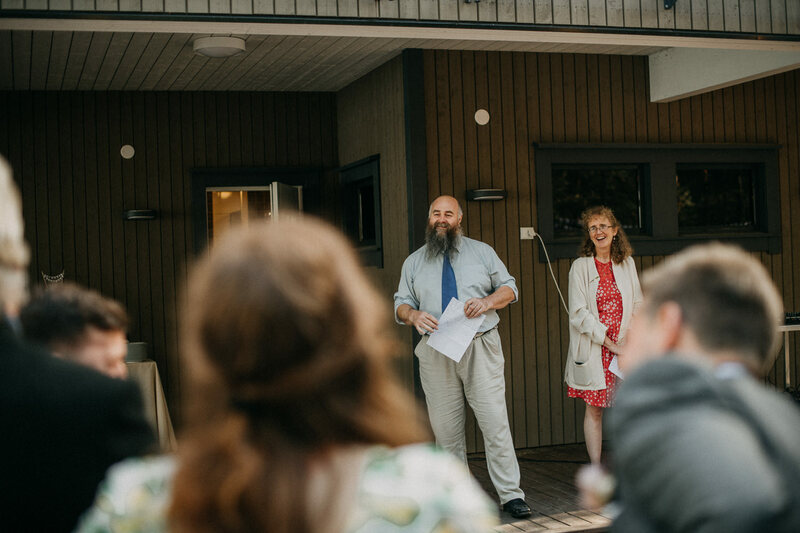 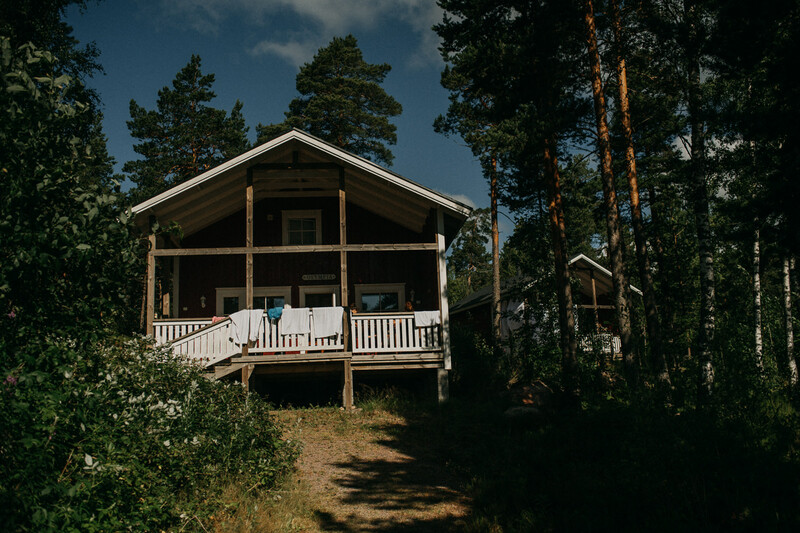 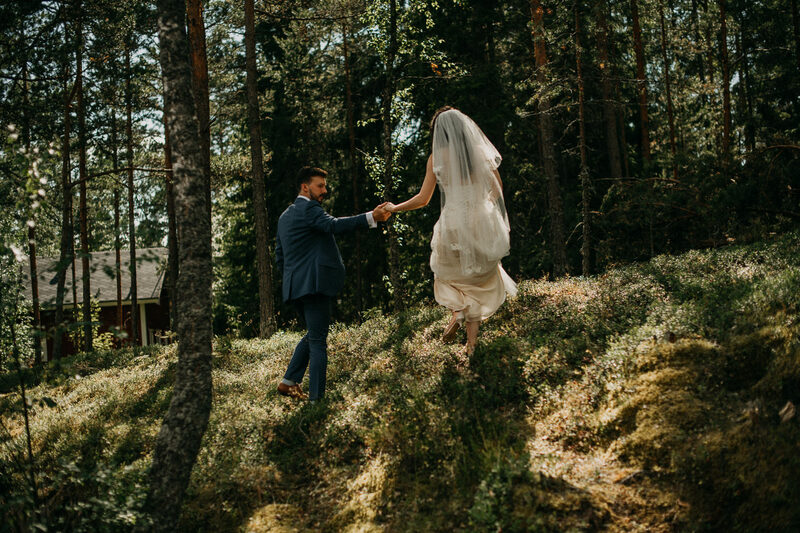 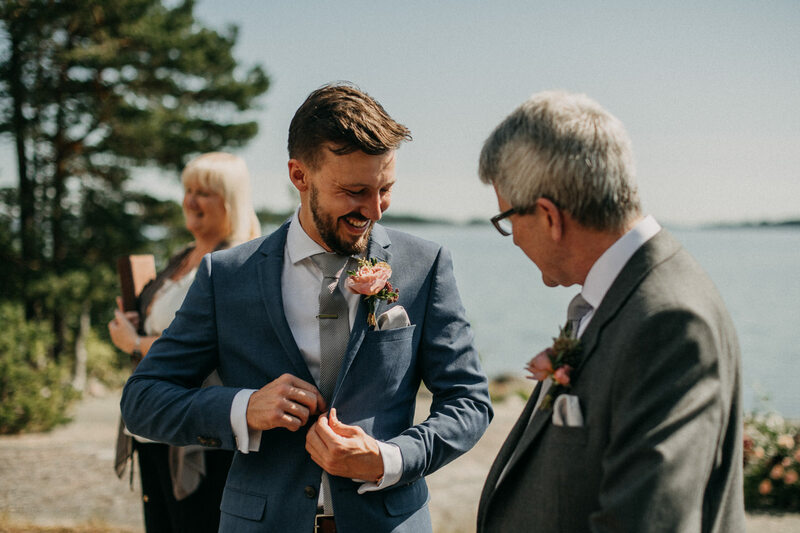 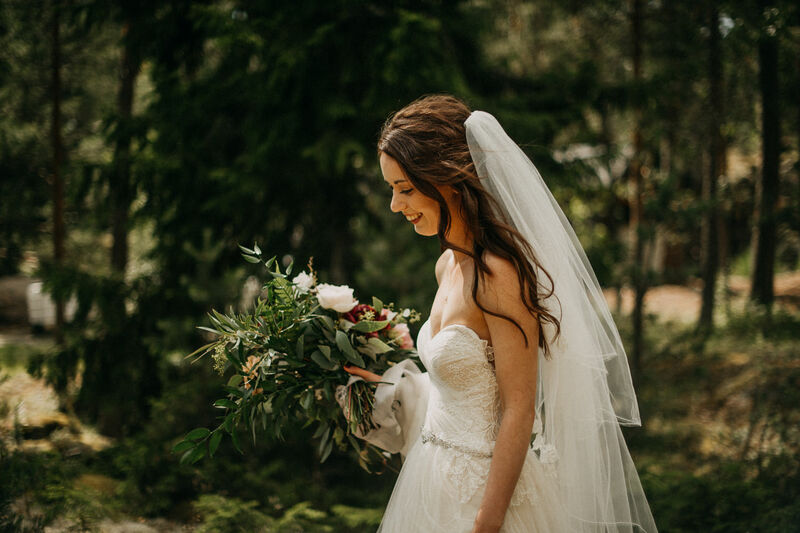 With Will having roots in Finland, they had decided to bring just their closest friends and family with them to Finland and spend a week together in the archipelago before tying the knot. 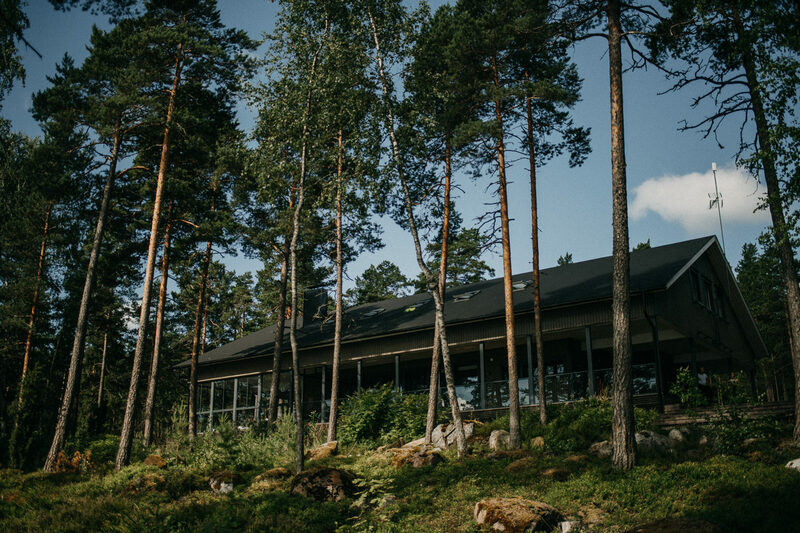 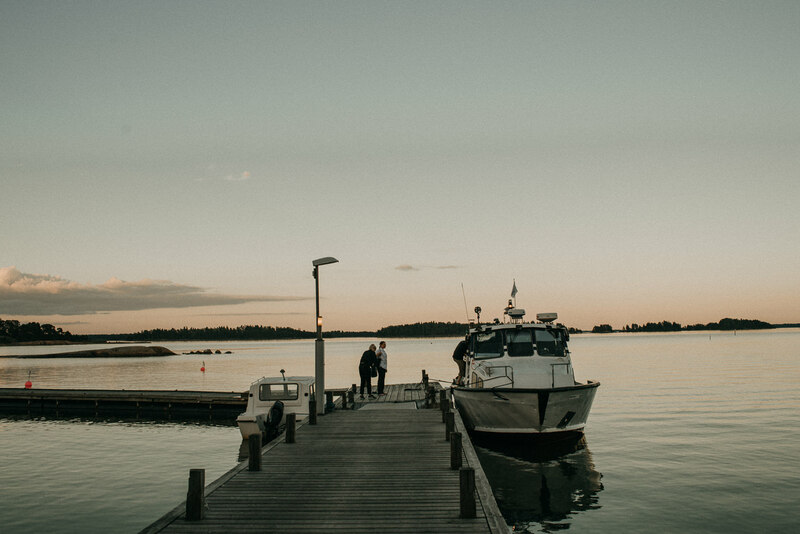 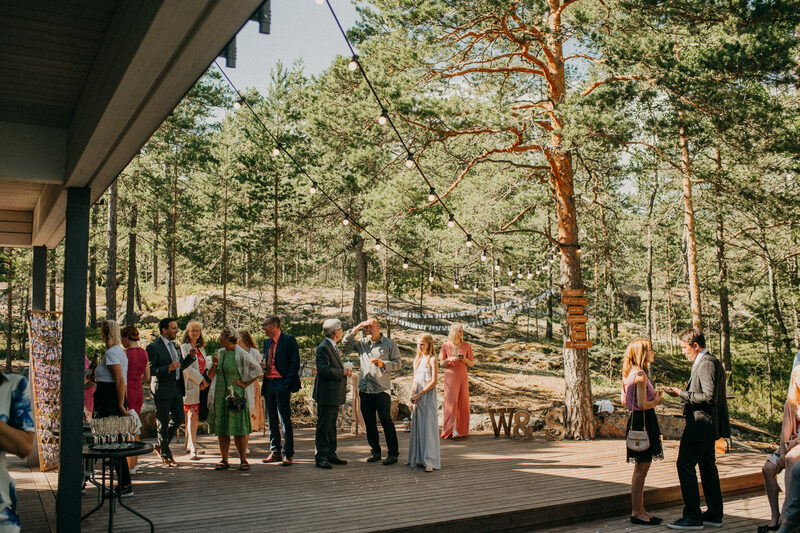 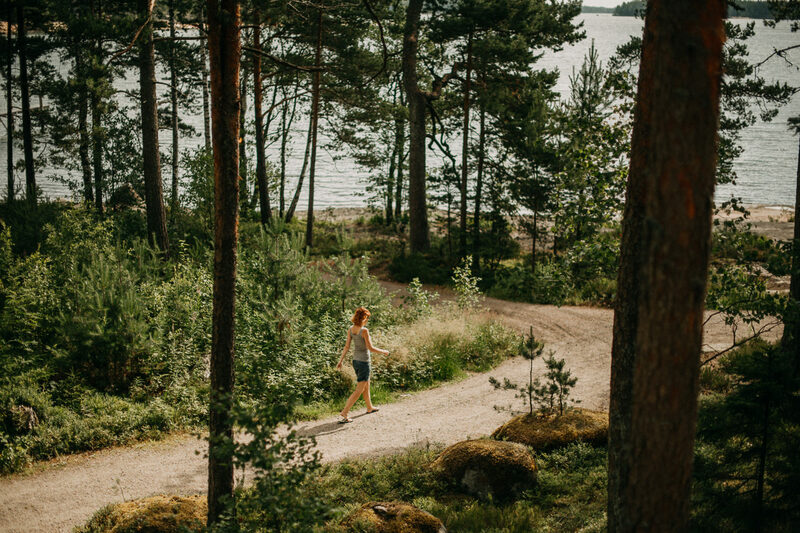 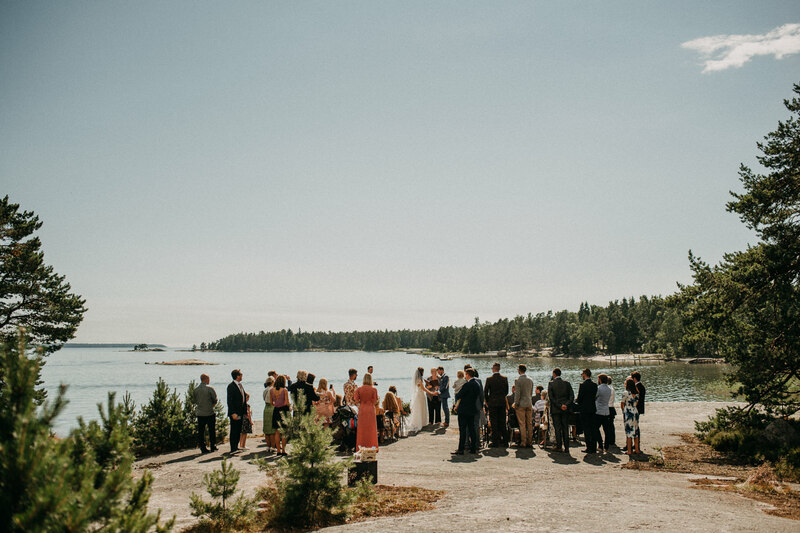 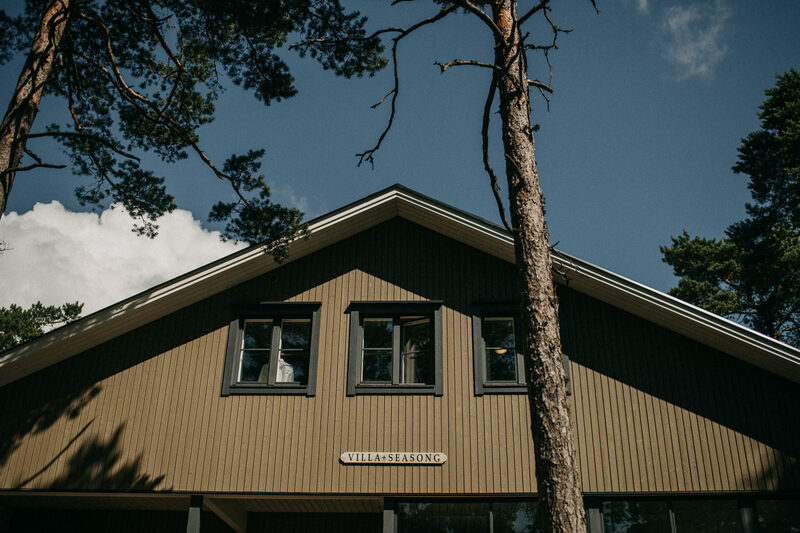 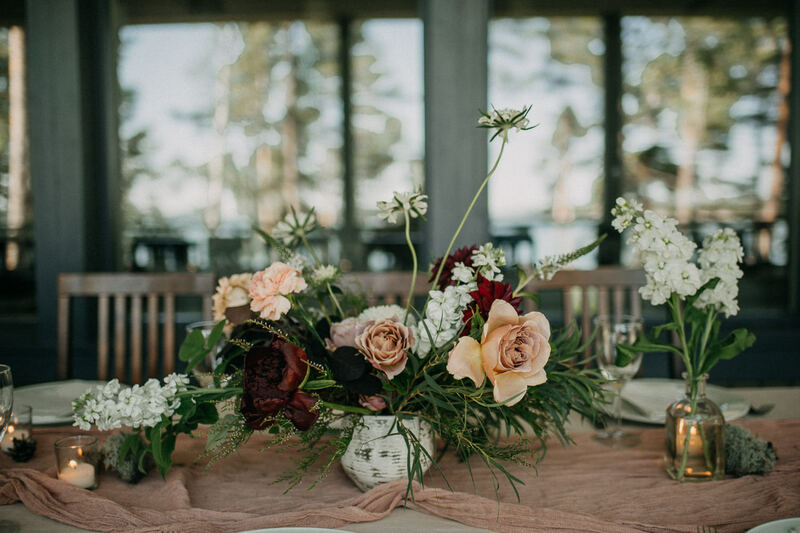 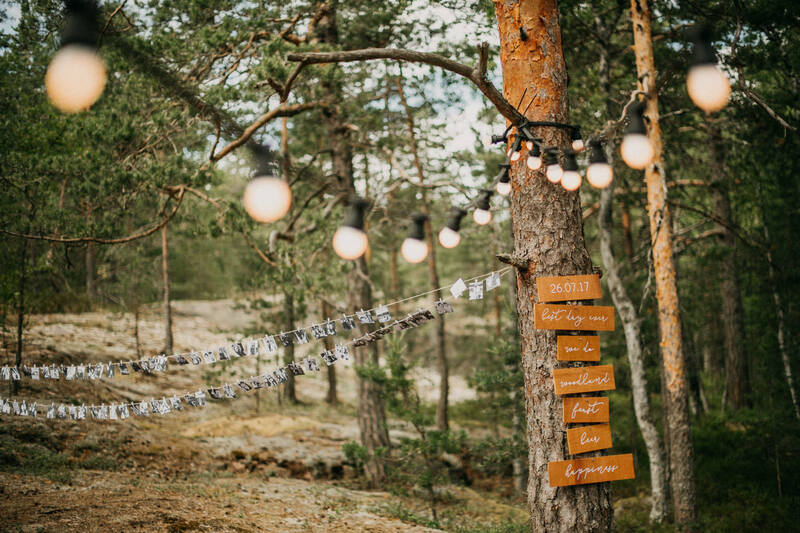 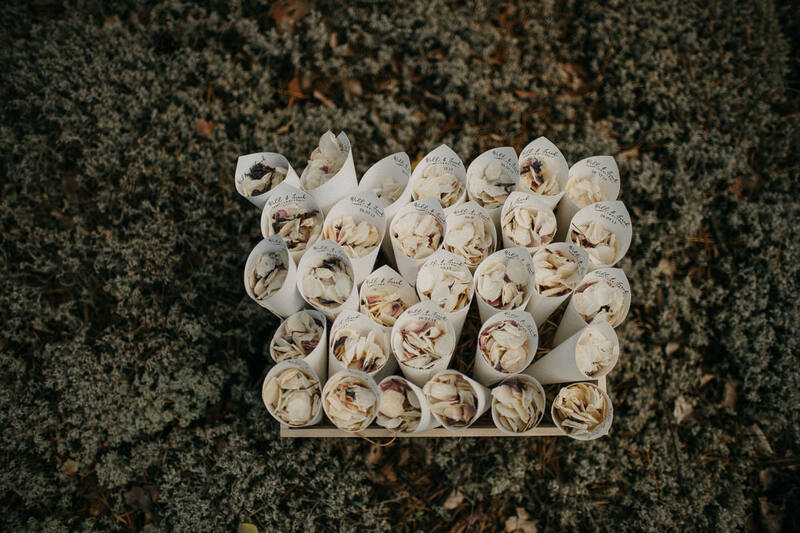 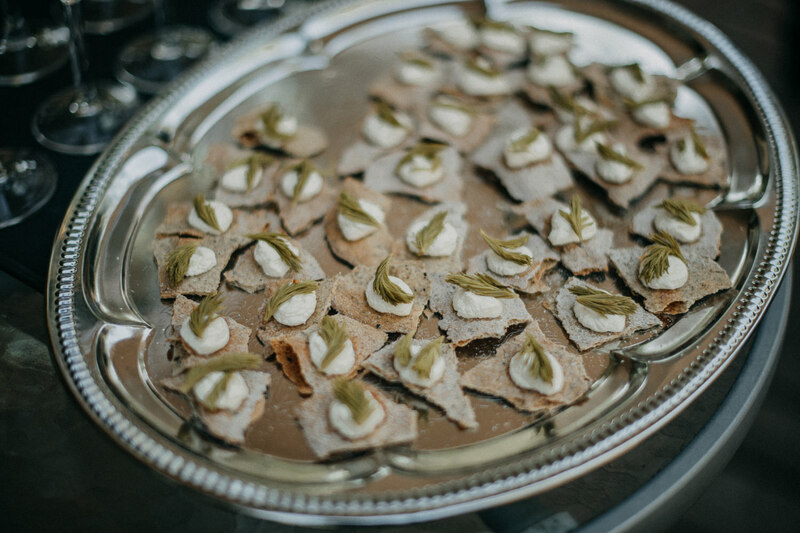 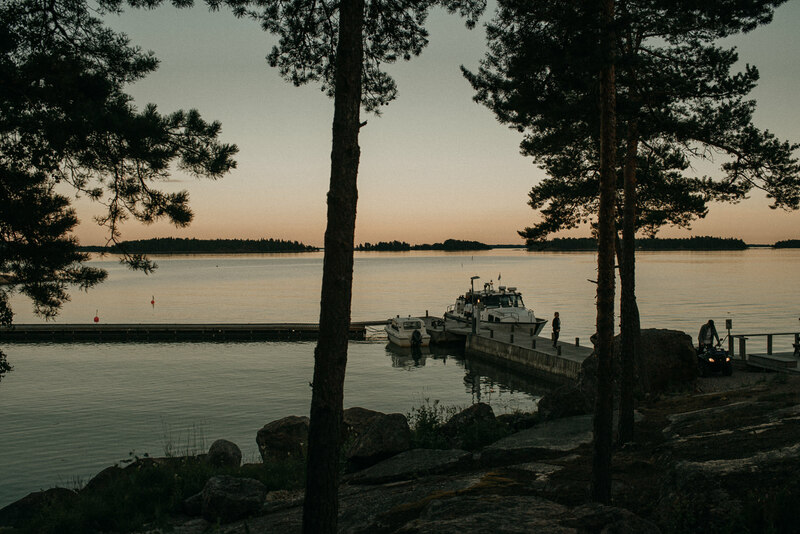 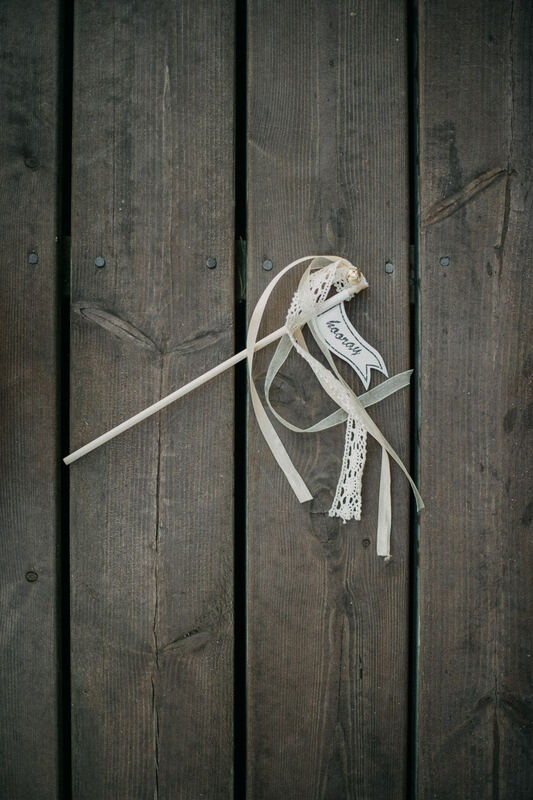 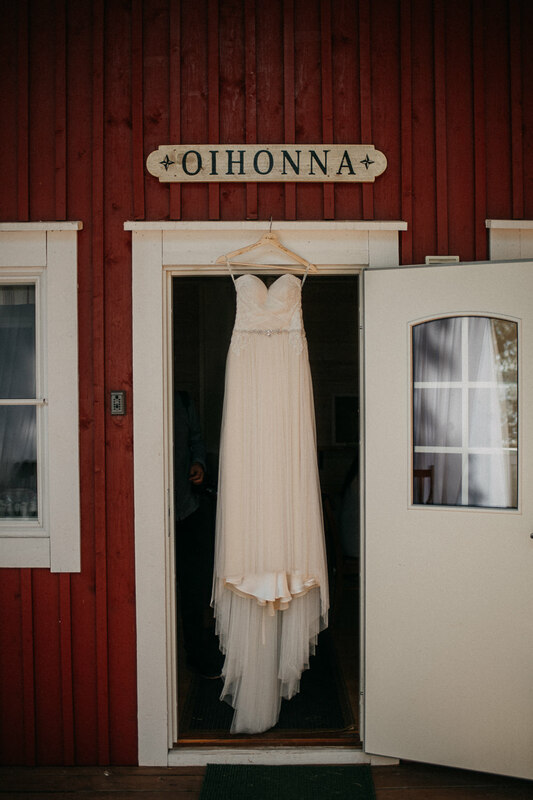 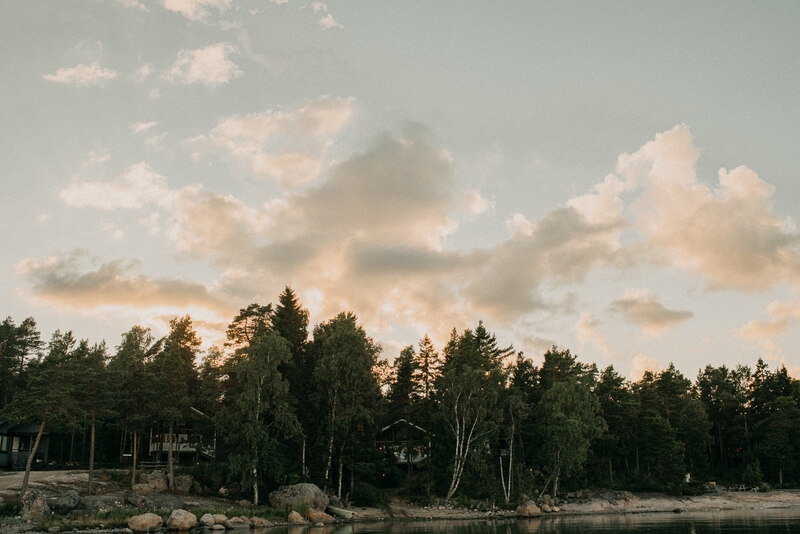 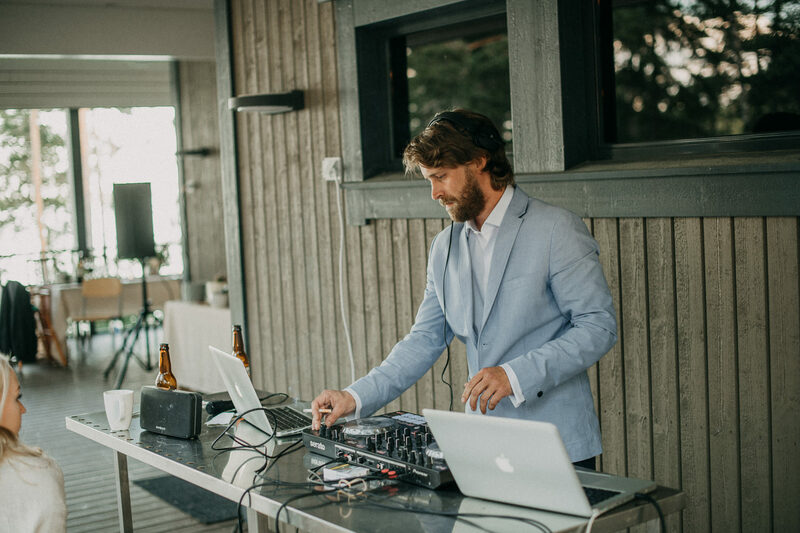 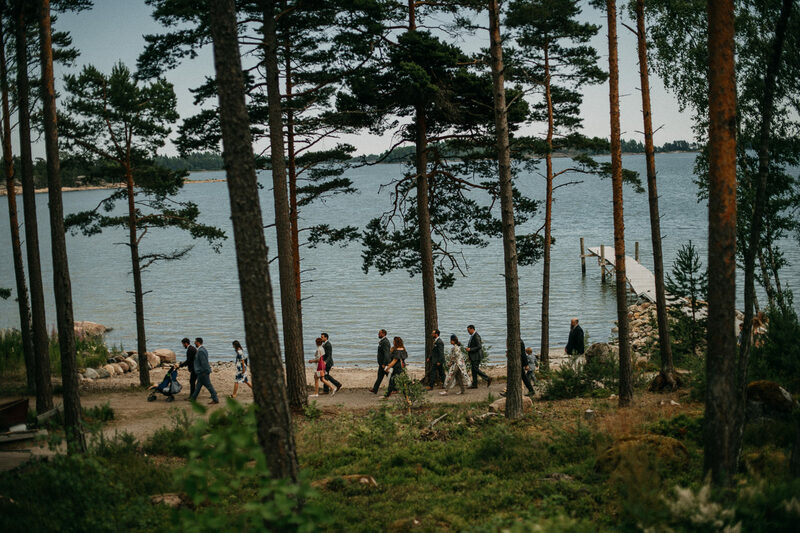 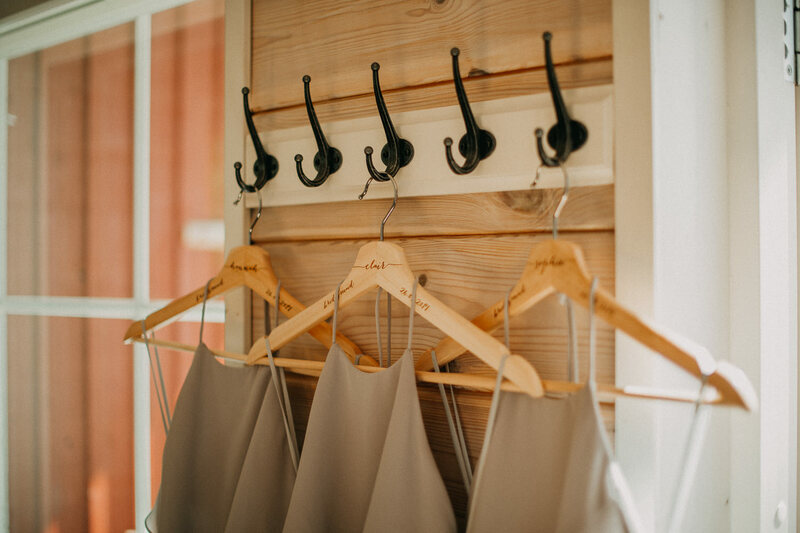 The venue, Villa Seasong, is as picturesque and idyllic as the Finnish archipelago can get. 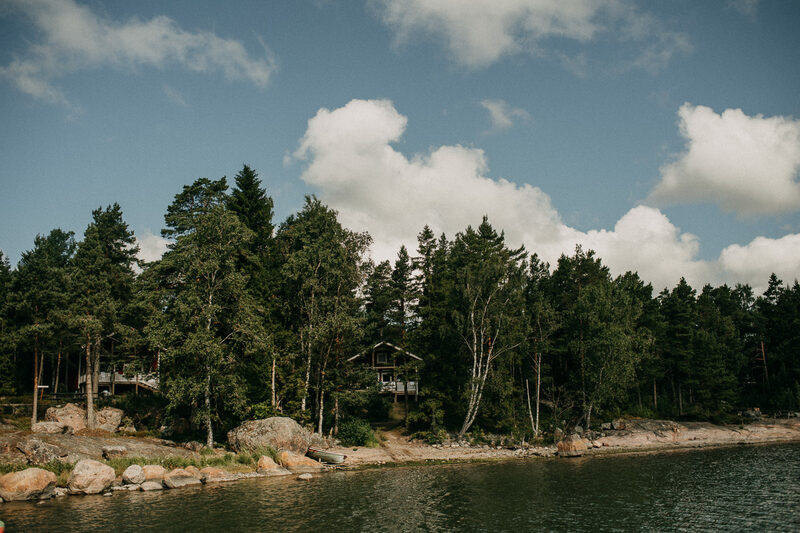 The first thing you see when arriving by boat is small red cottages peeking out from the woods, surrounded by nothing but pinewoods, blue water and cliffs. 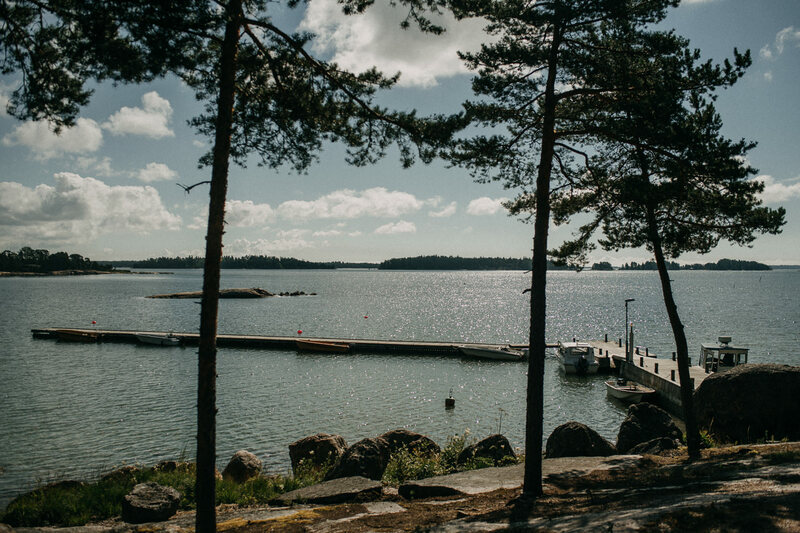 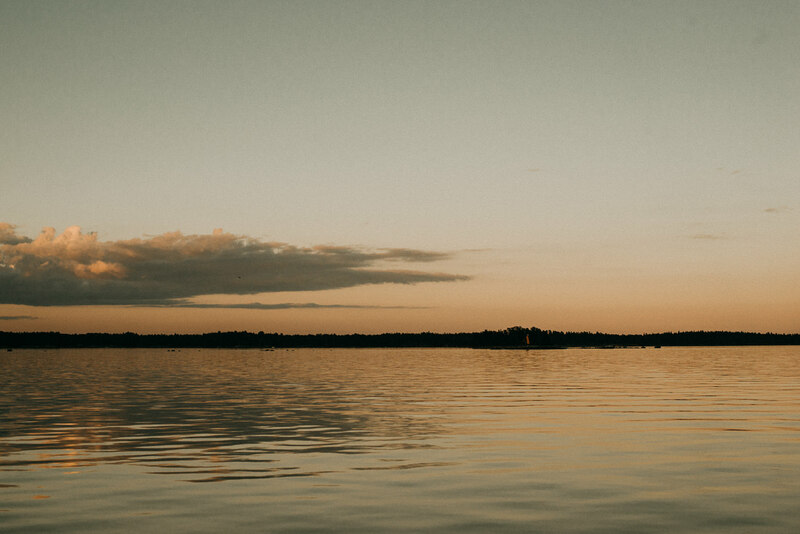 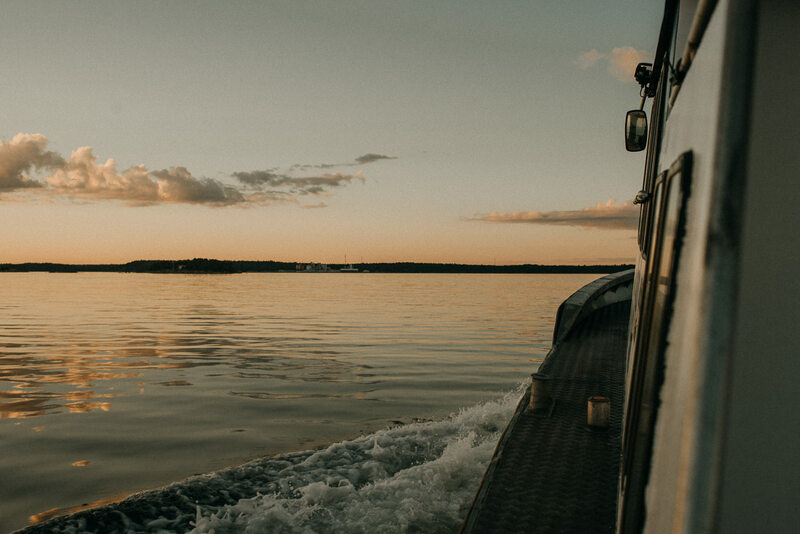 There is a special feeling that you get when you are in the Finnish archipelago. 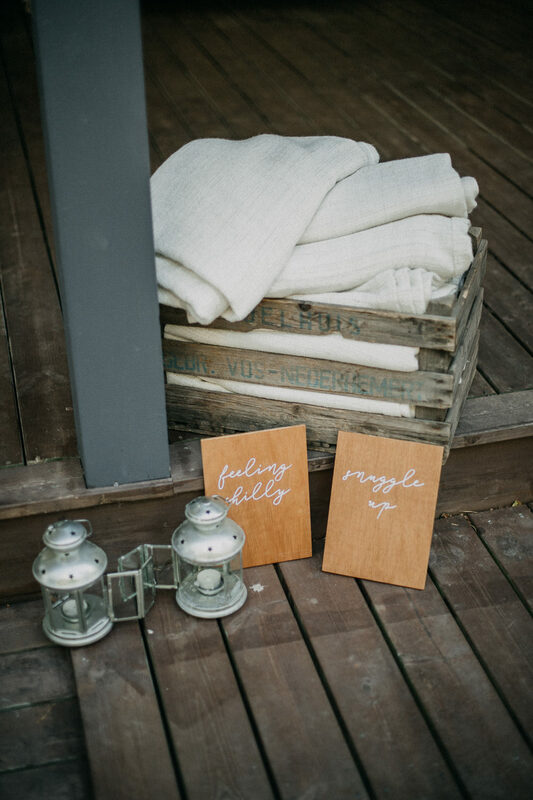 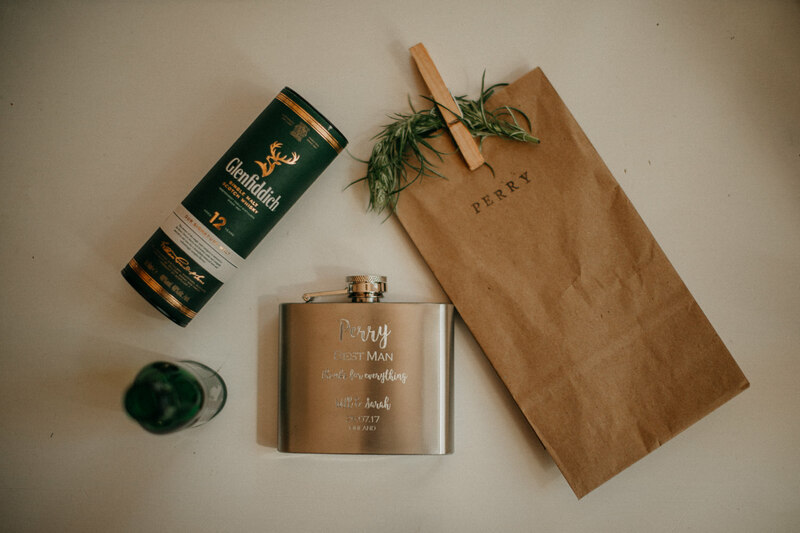 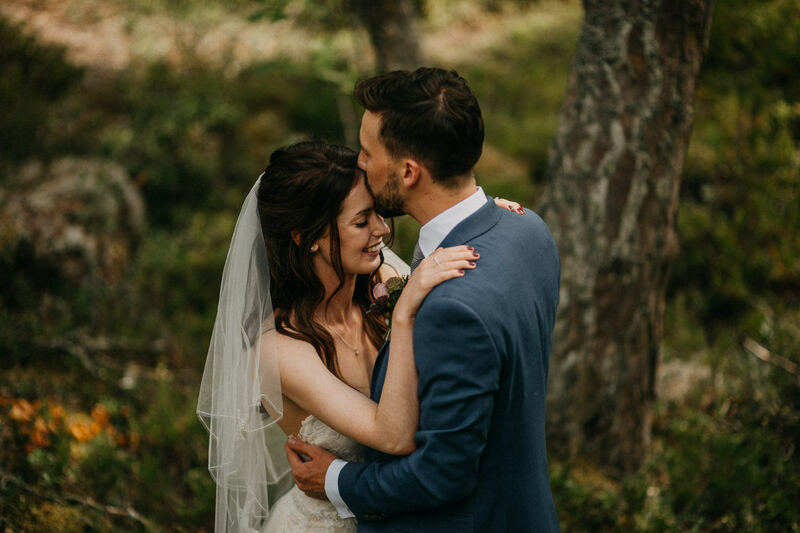 A feeling of calmness and tranquility, that was for sure present on Sarah and Wills wedding day. 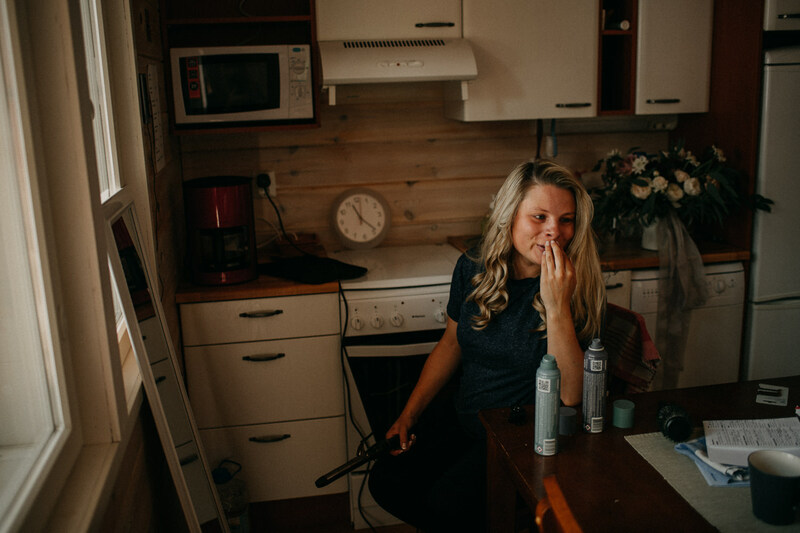 Everything was very relaxed and the day started with the preparations in the small cottages. 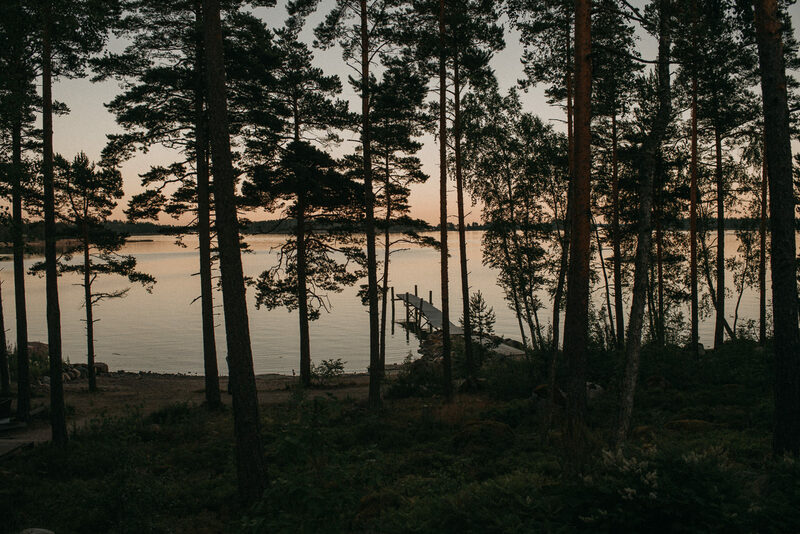 Outside, the only thing you could hear was the trees moving in the wind and the sound of swallows flying high up in the sky above you- and the occasional scream from someone brave enough to take a morning dip in the chilly water. 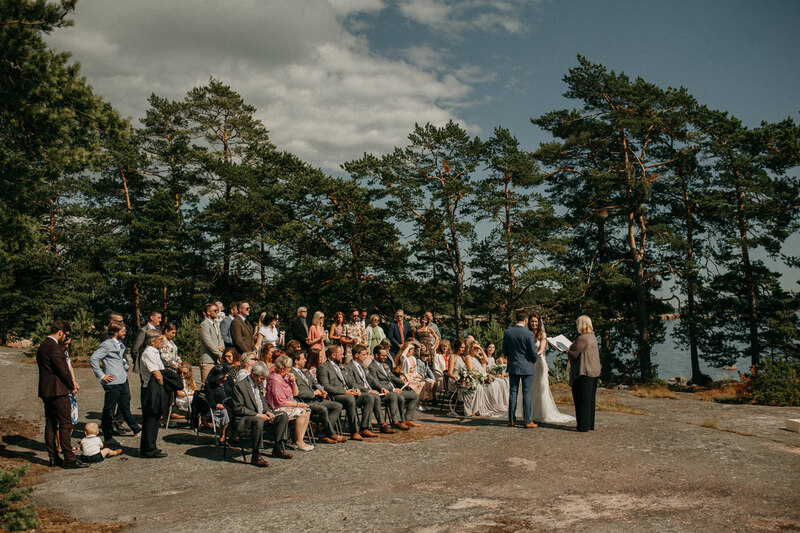 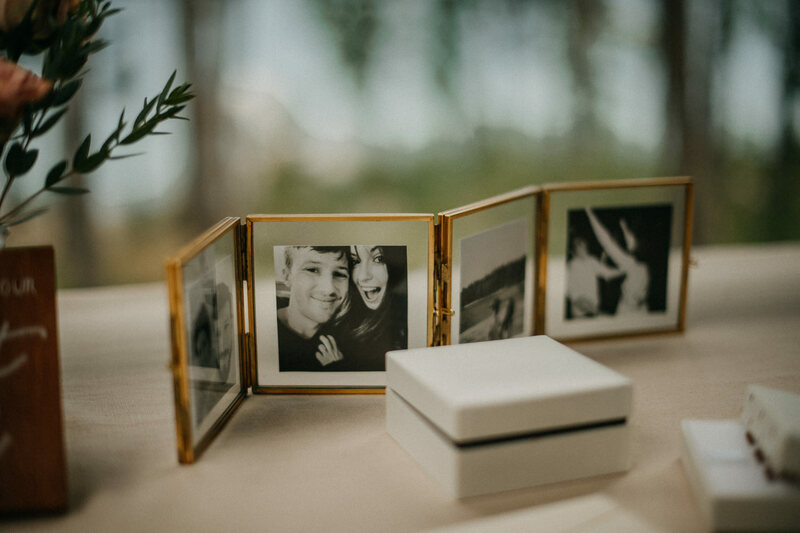 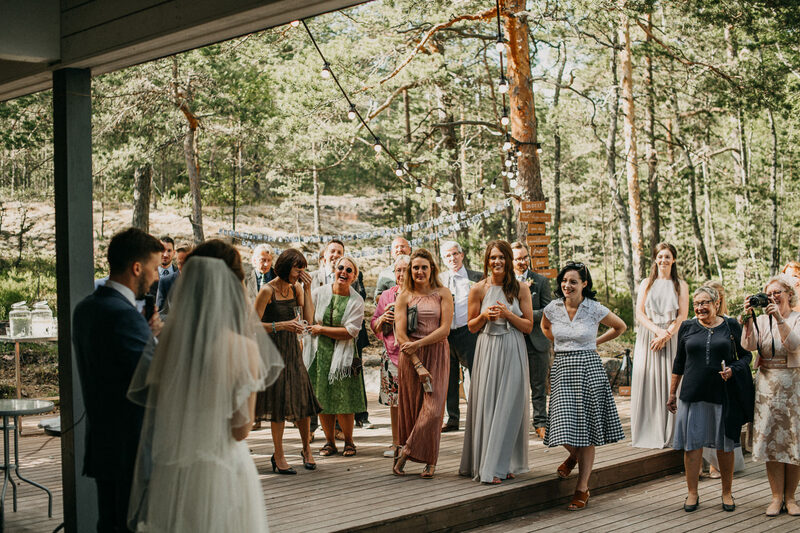 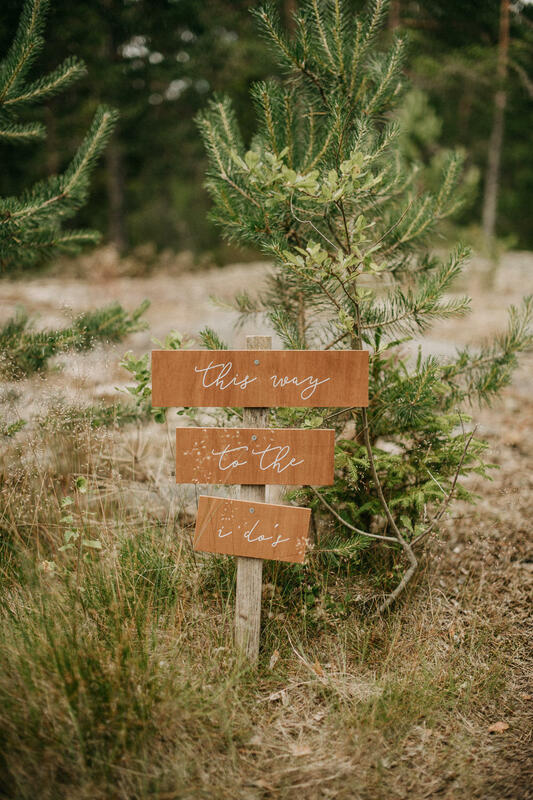 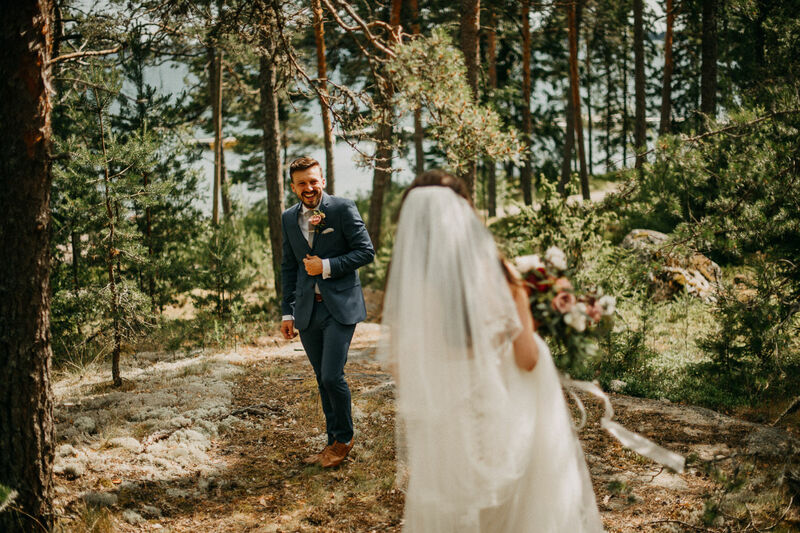 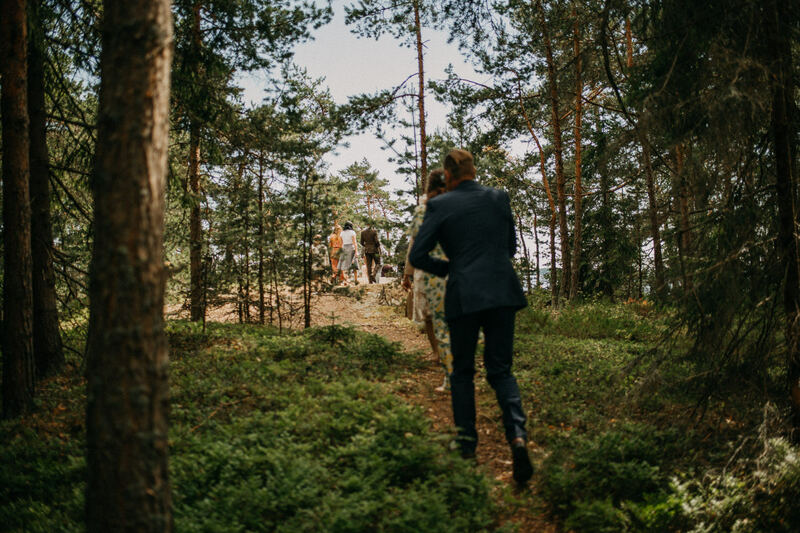 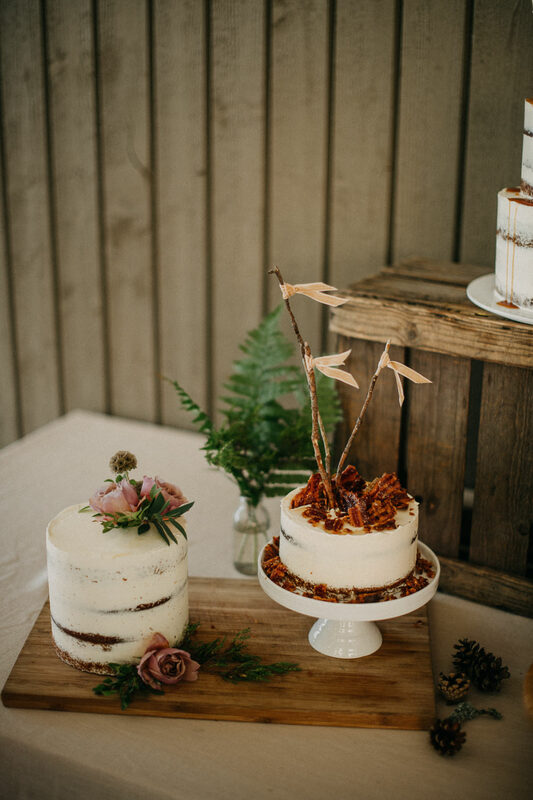 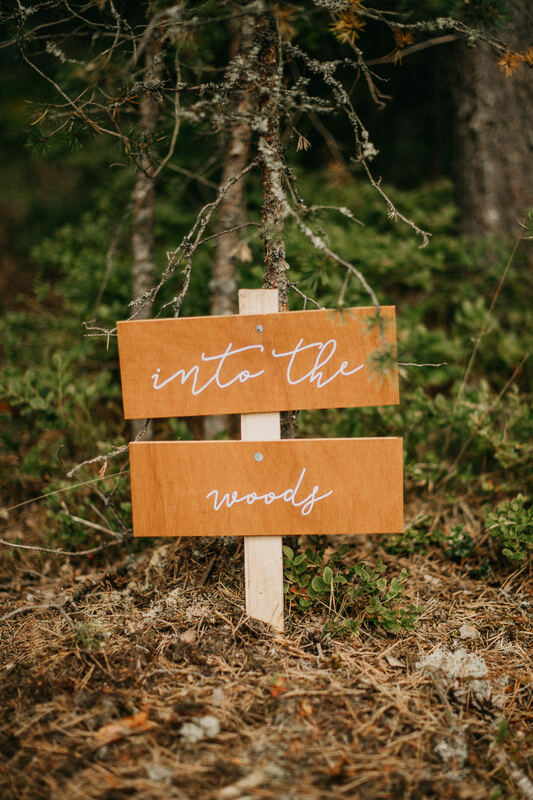 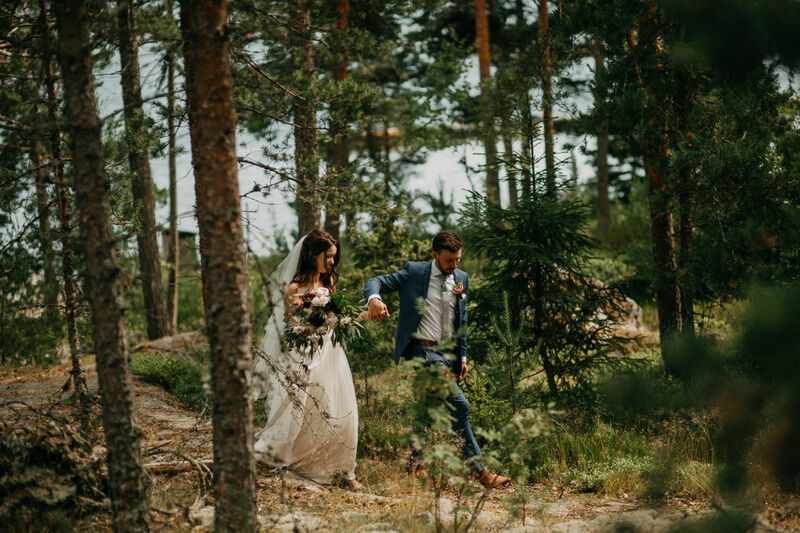 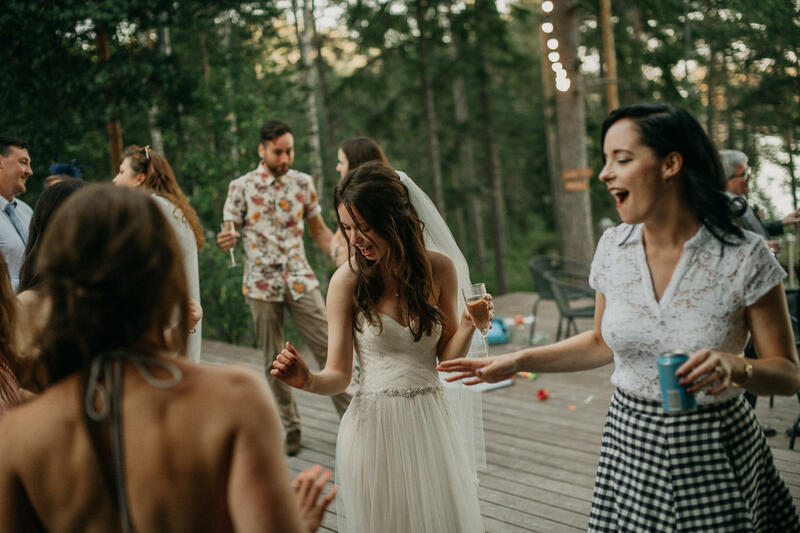 In the afternoon, the guests where led trough the pine forrest to a beautiful cliff overlooking the sea, where the ceremony was held. 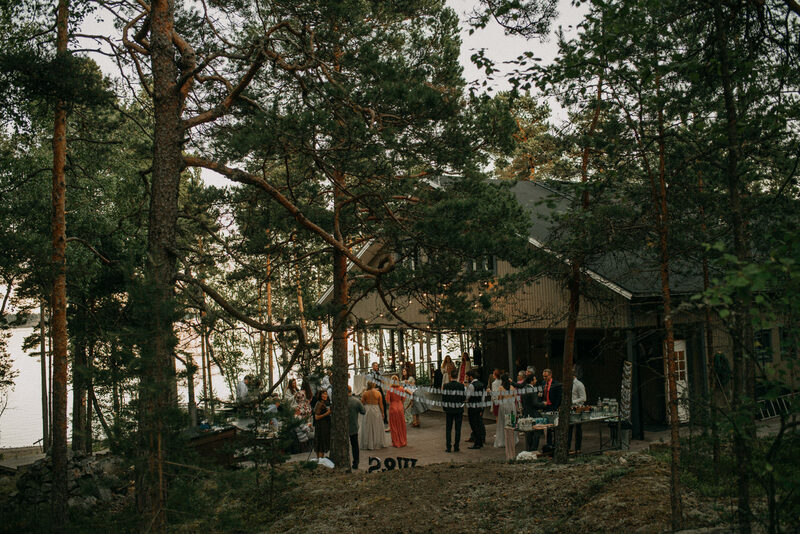 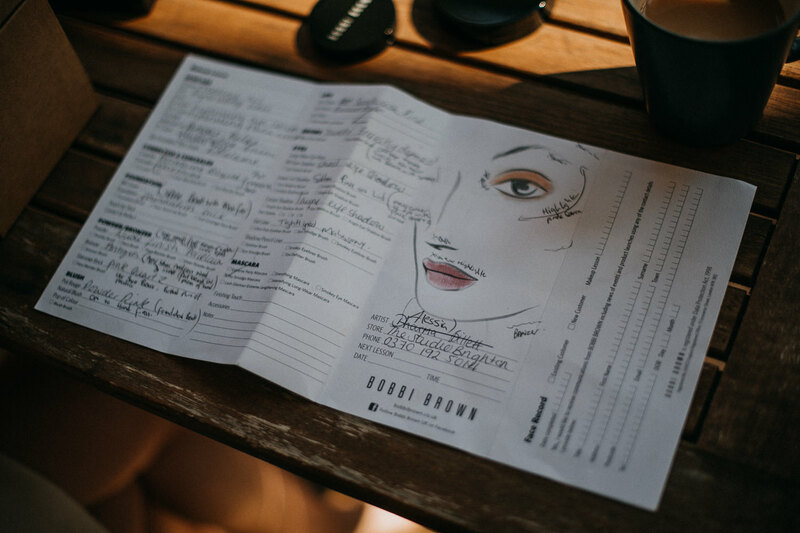 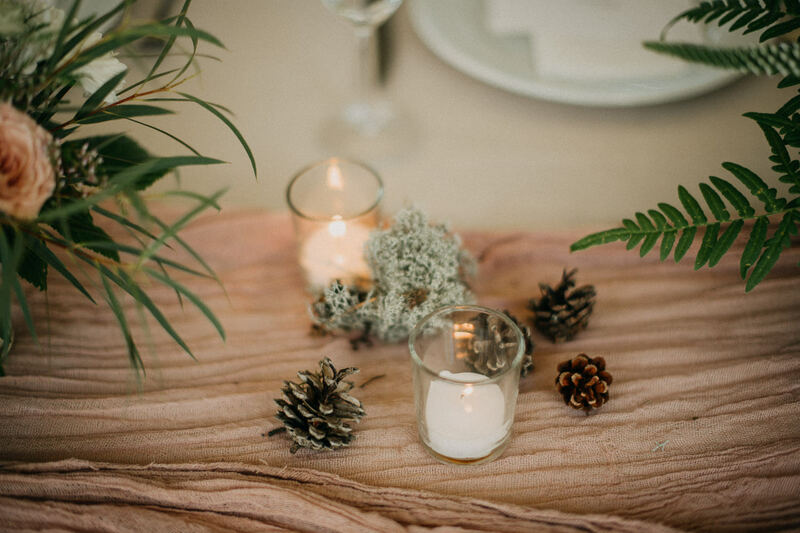 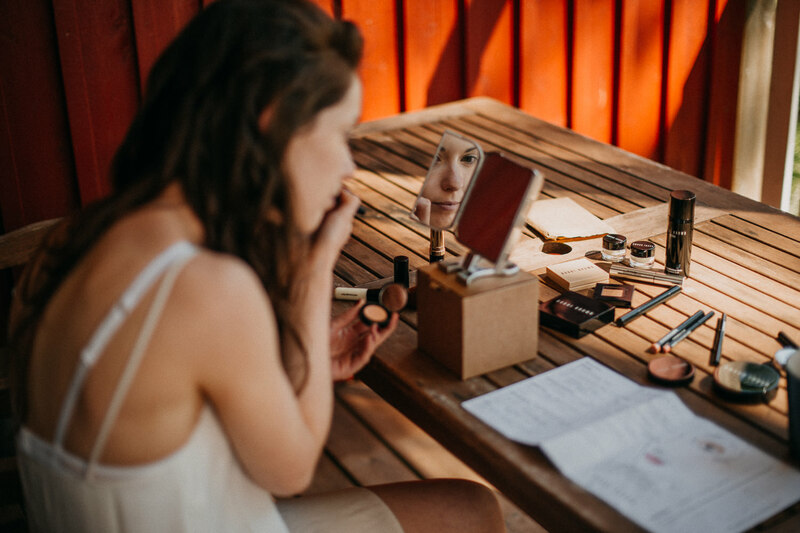 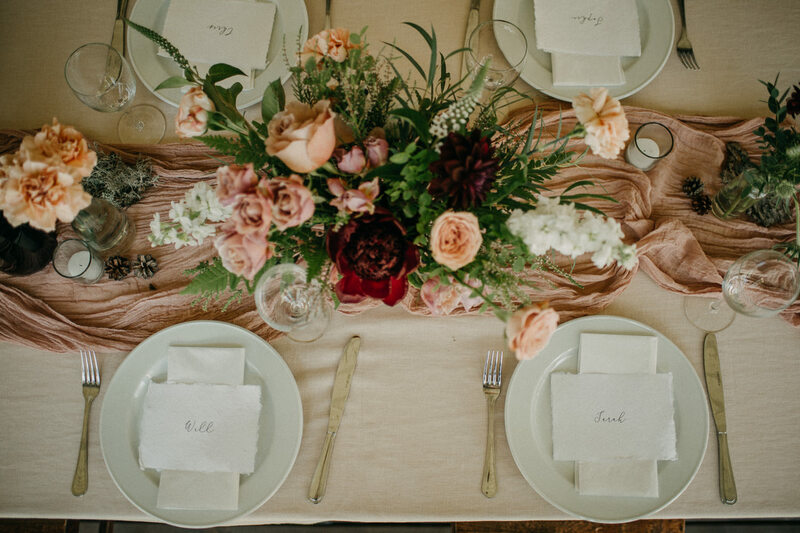 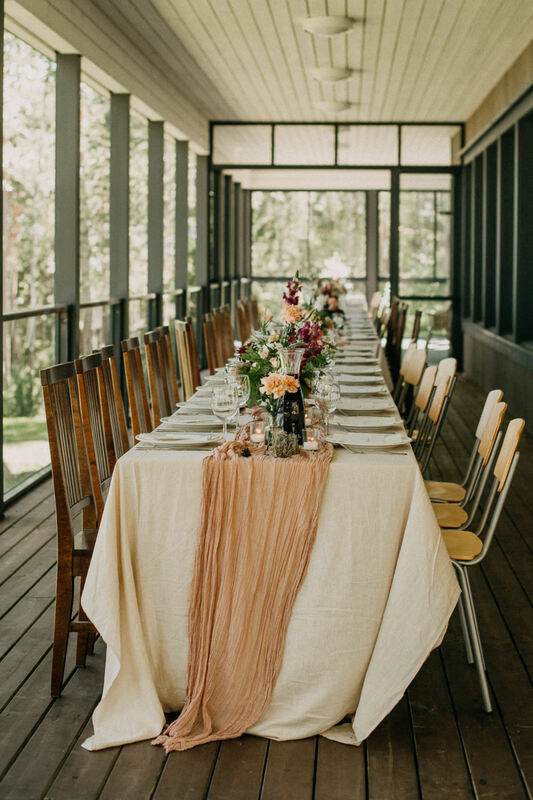 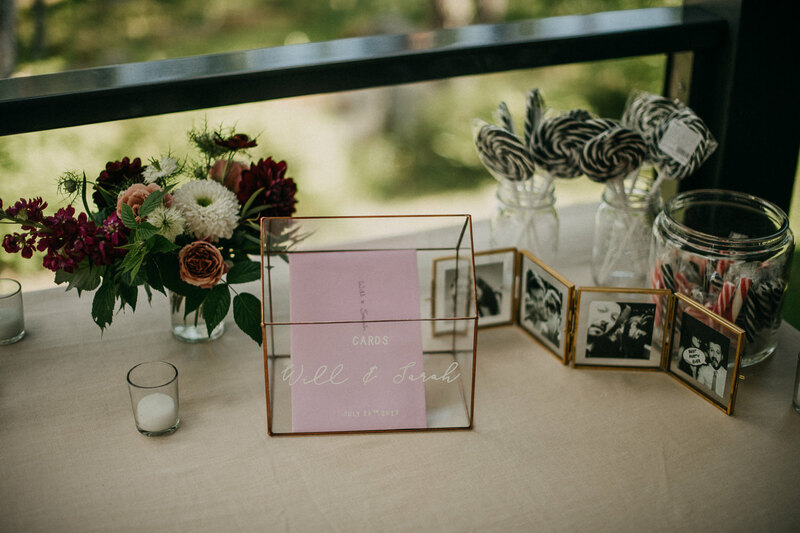 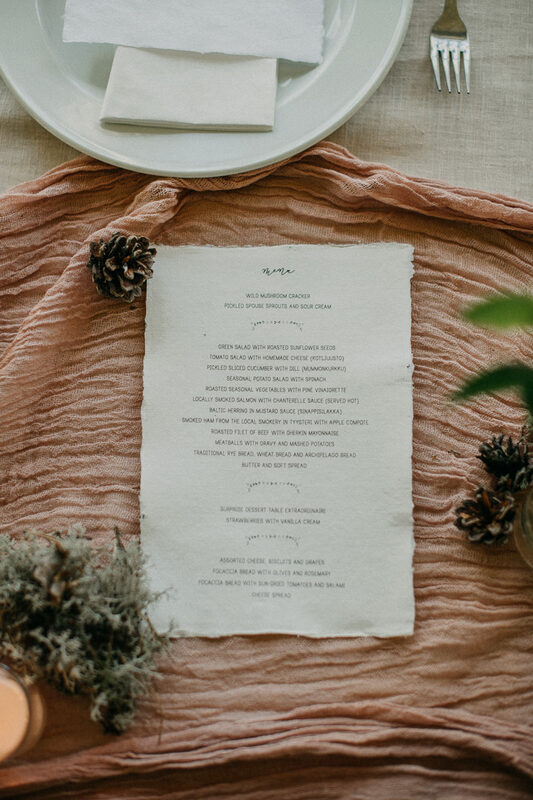 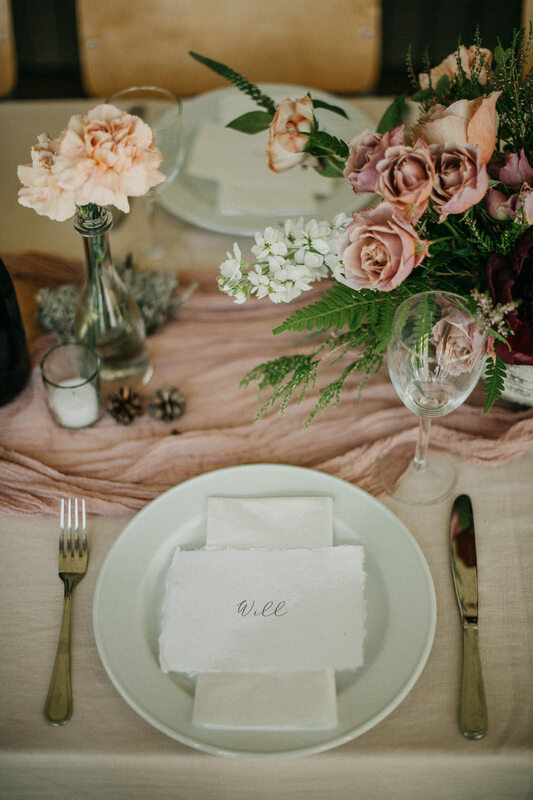 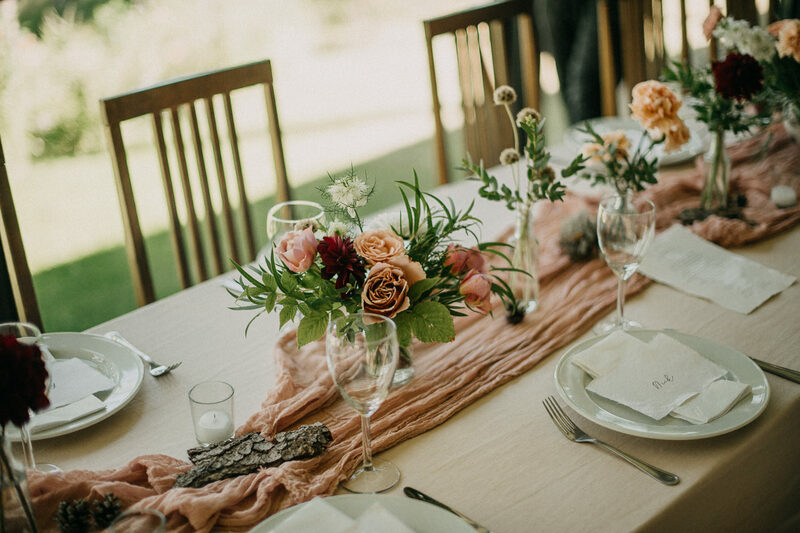 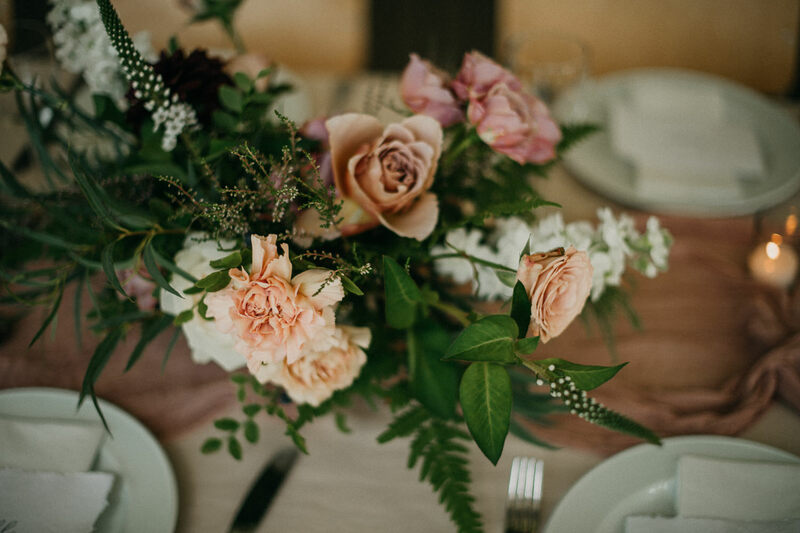 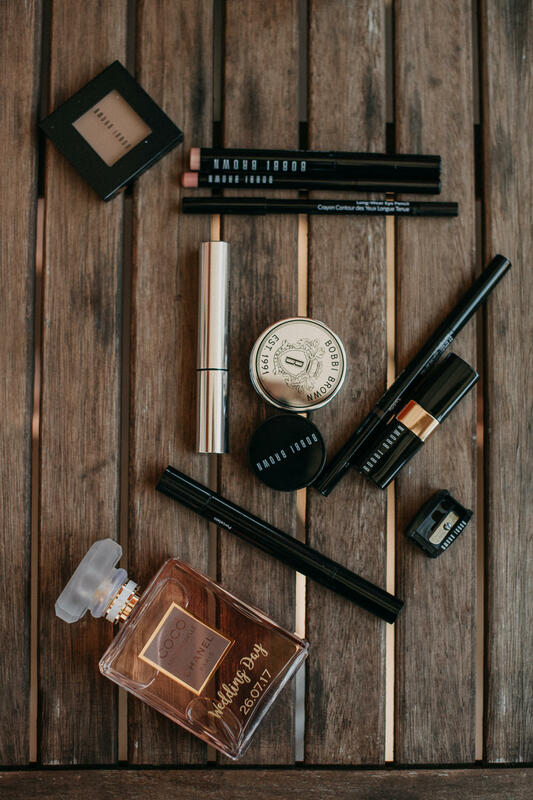 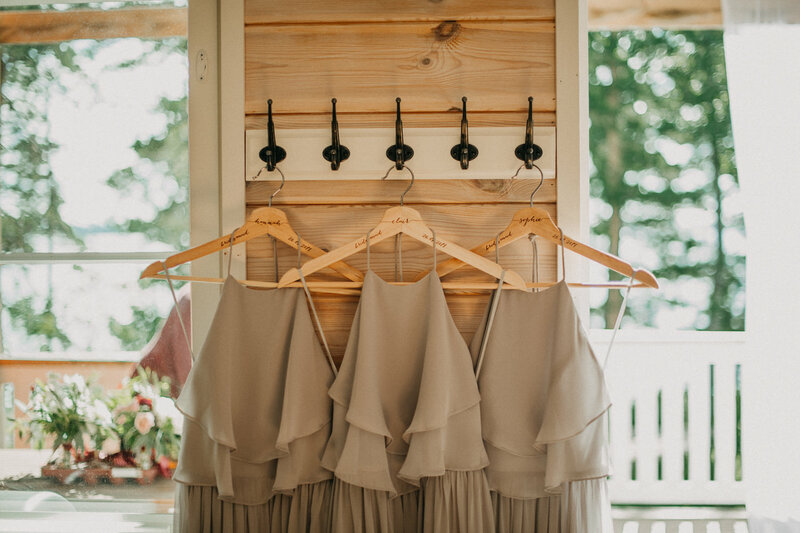 The day followed with a dinner that had the most beautiful styling done by Hey Look, and dance outside on the terrace under the never-setting summer sun. 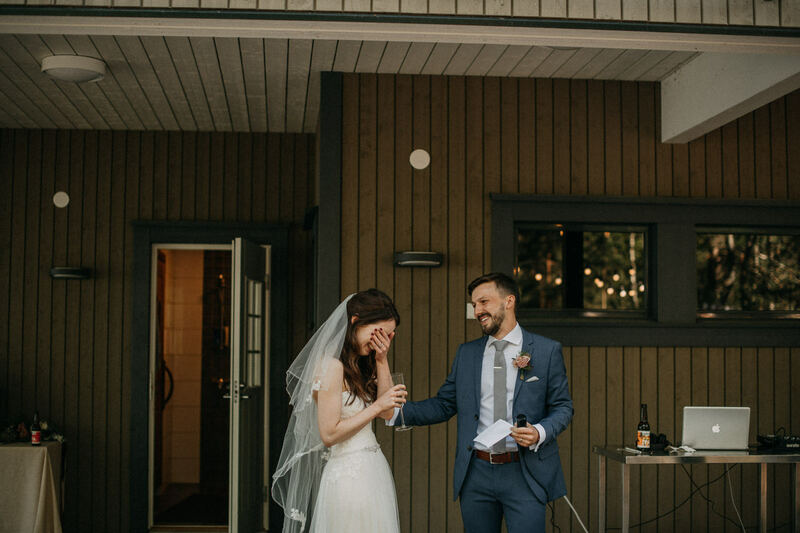 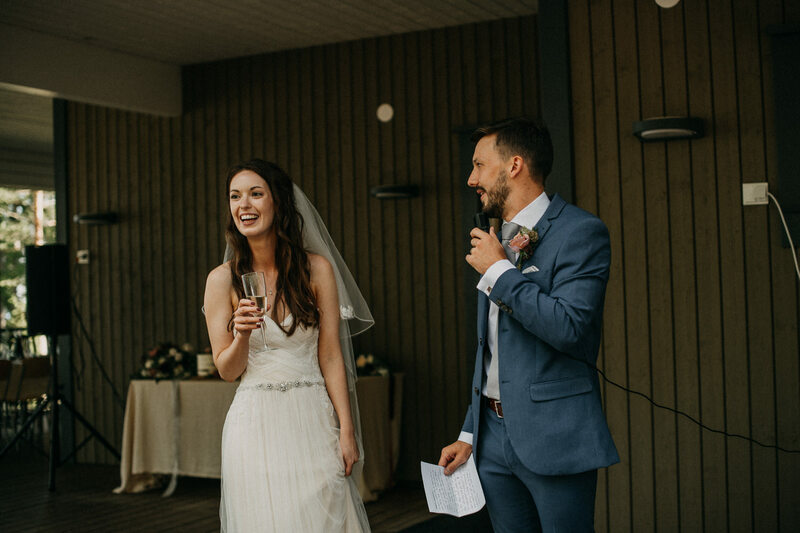 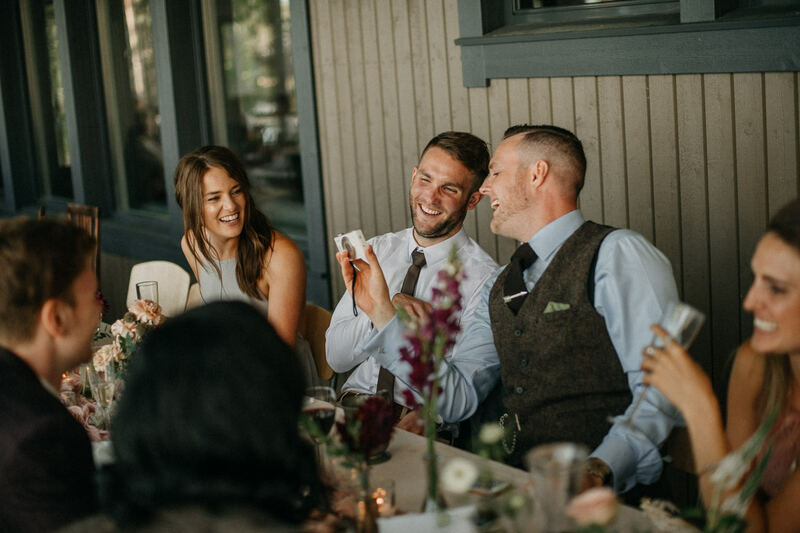 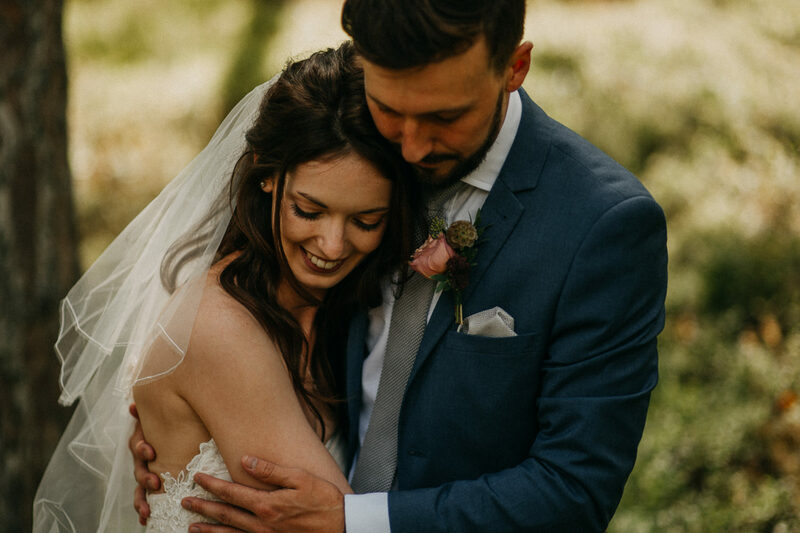 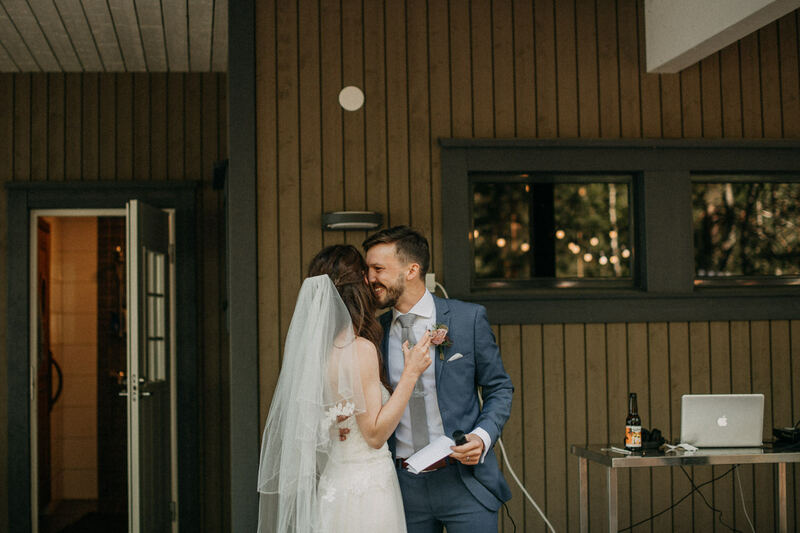 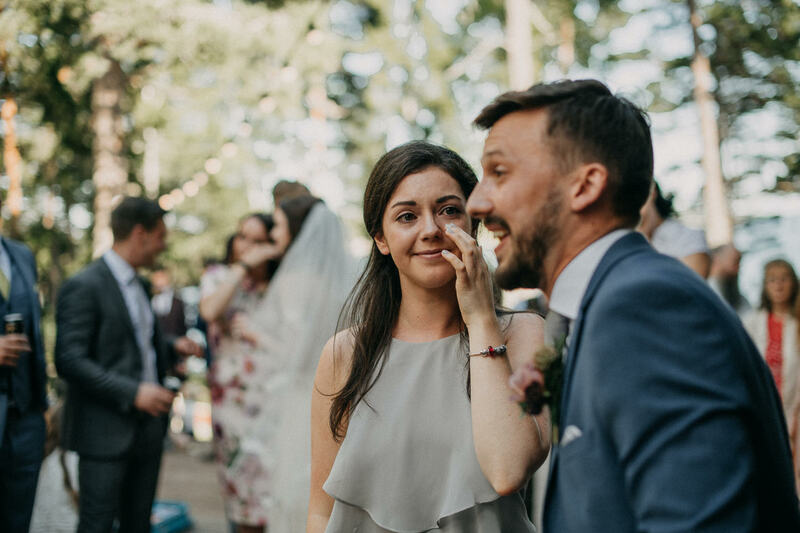 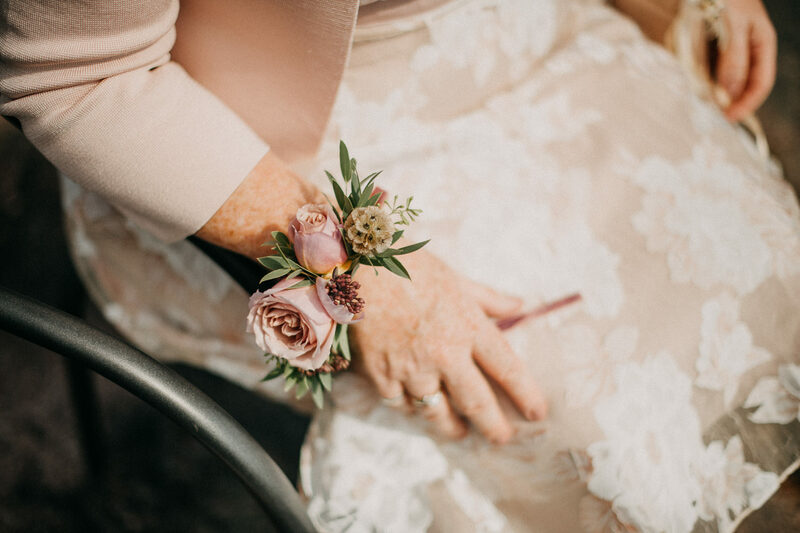 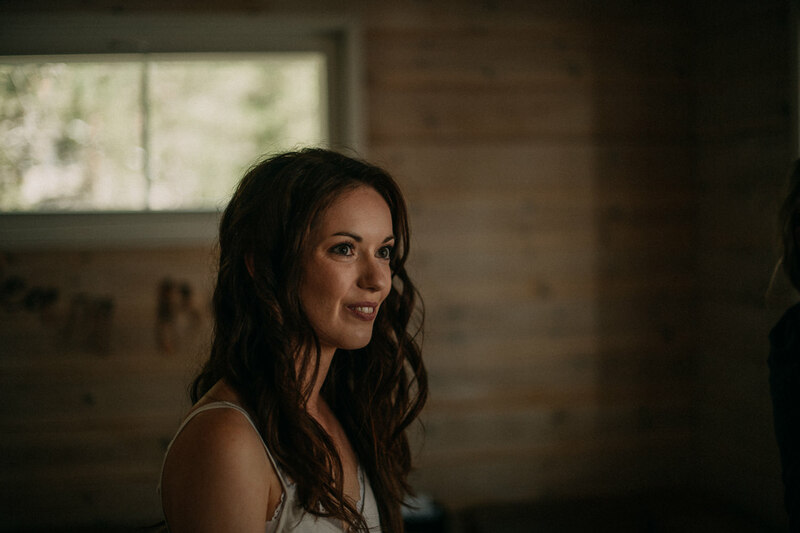 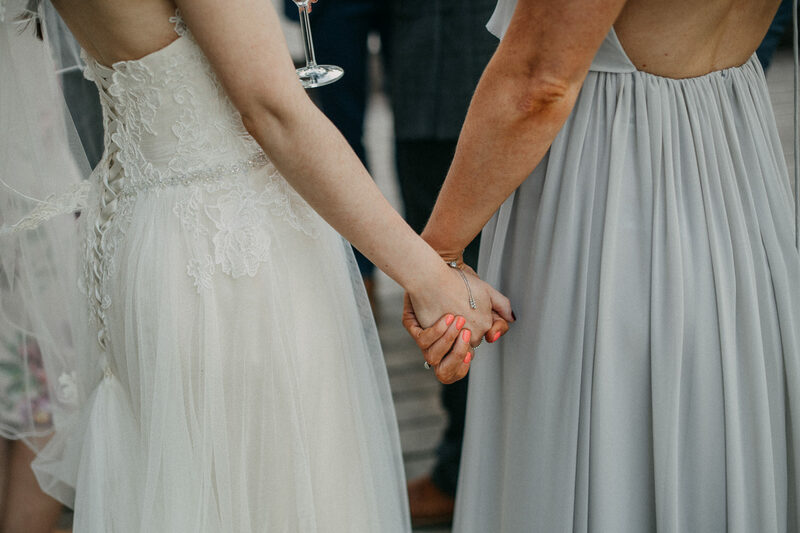 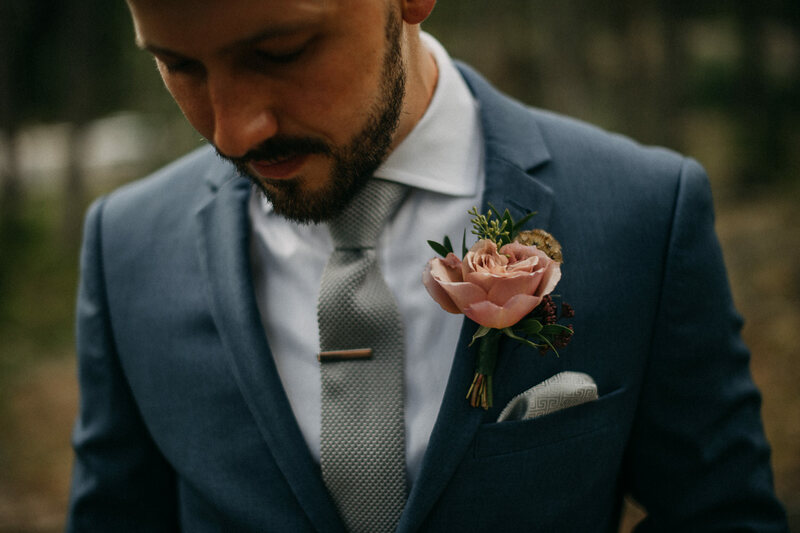 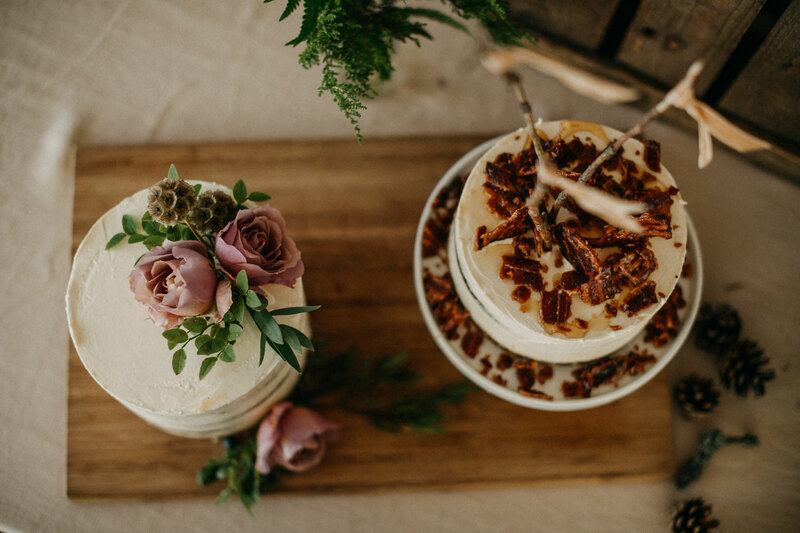 A huge thank you to Sarah and Will for welcoming me to document your beautiful day, and to Ed who let me tag a long as a second photographer!